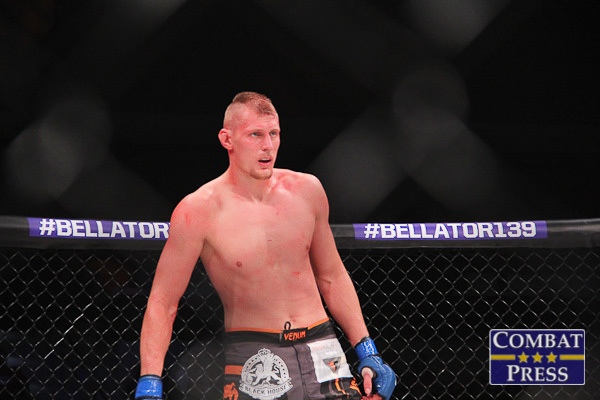 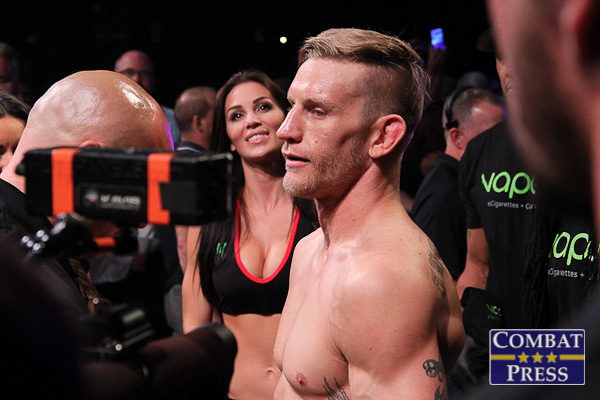 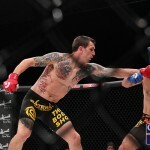 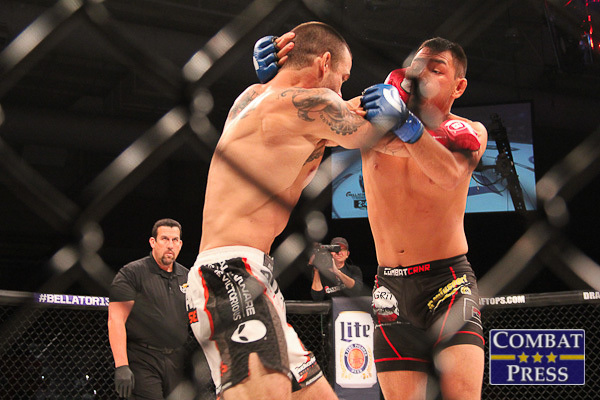 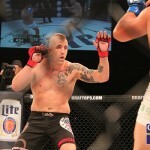 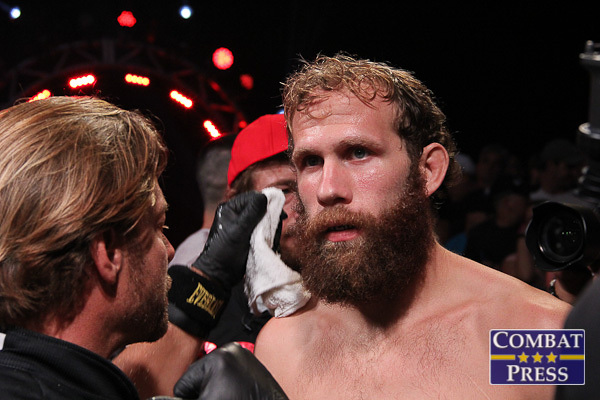 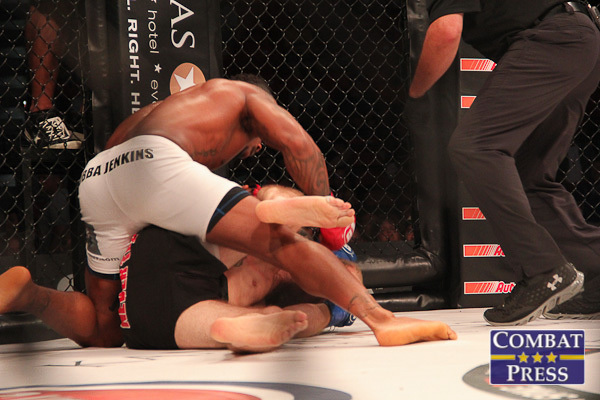 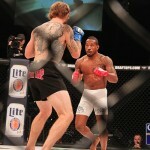 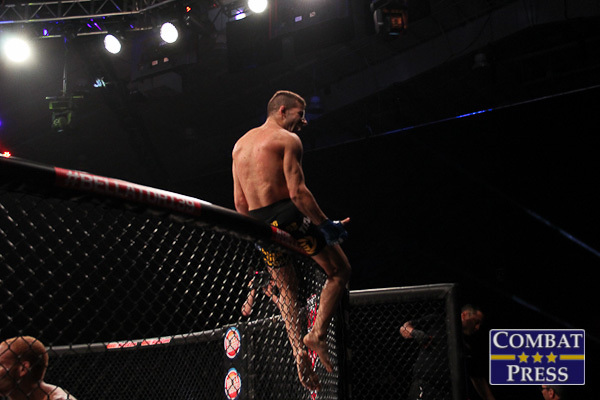 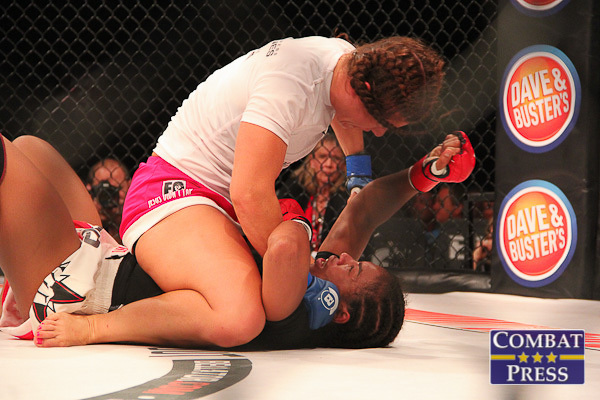 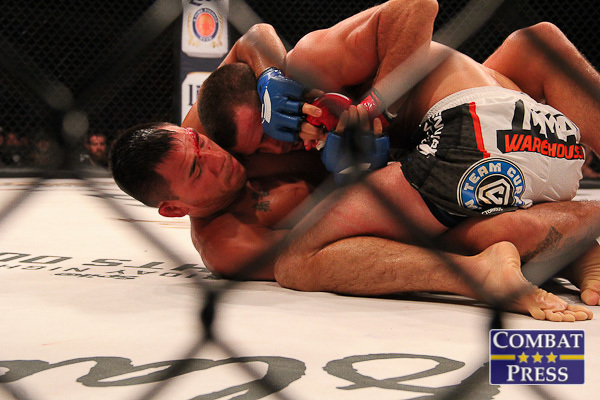 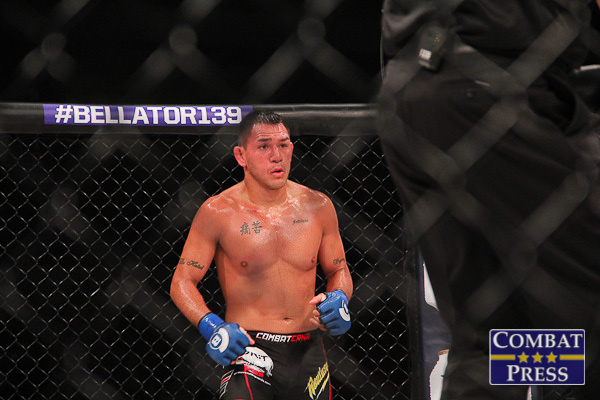 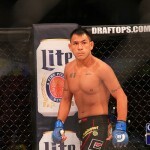 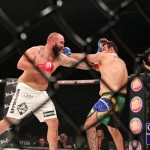 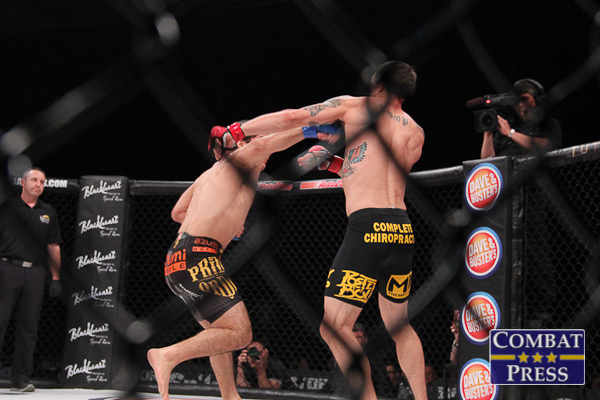 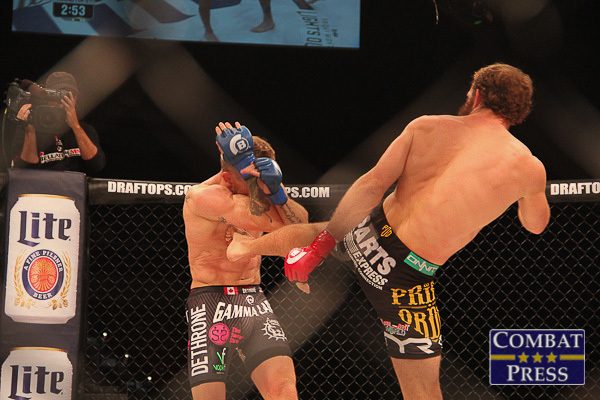 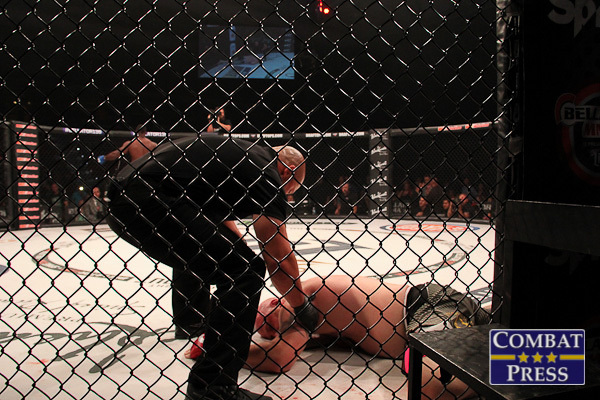 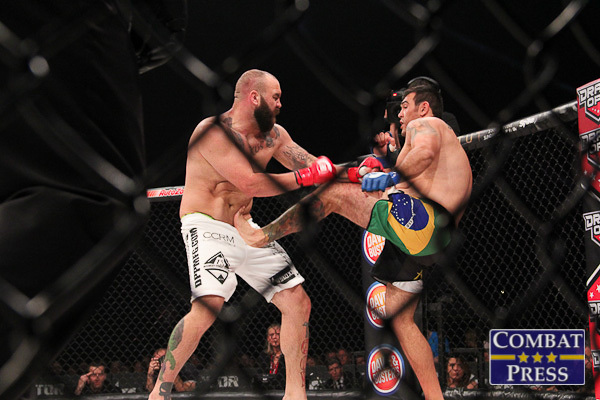 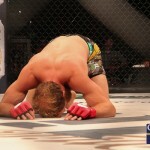 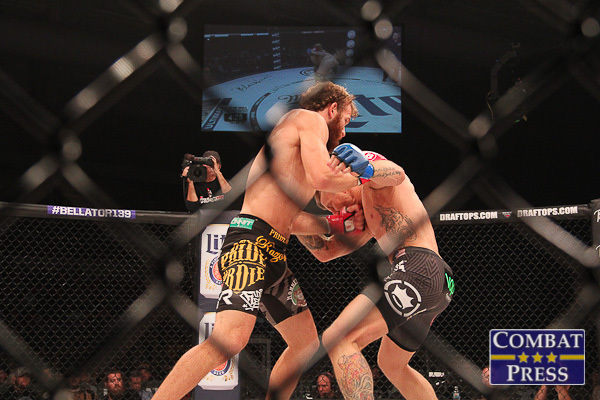 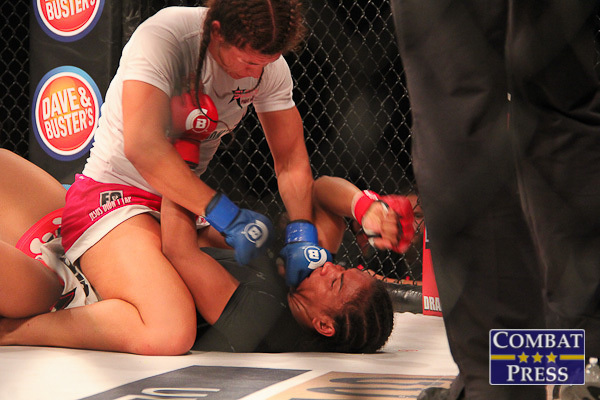 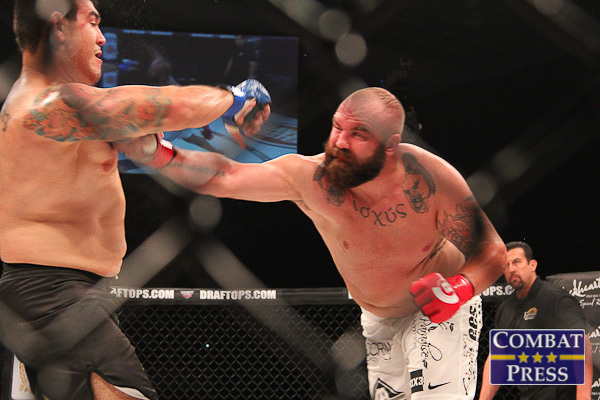 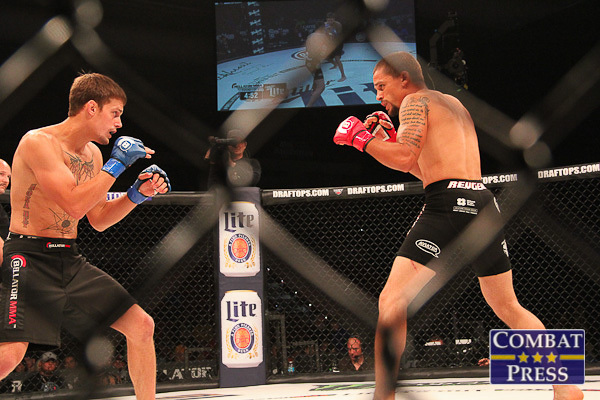 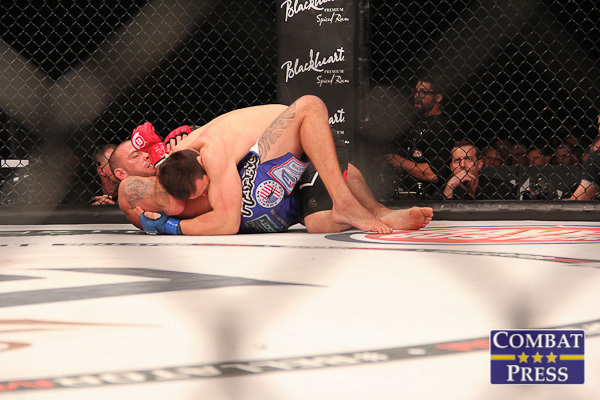 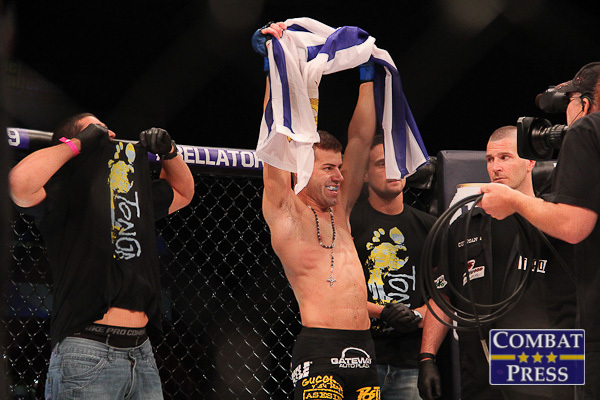 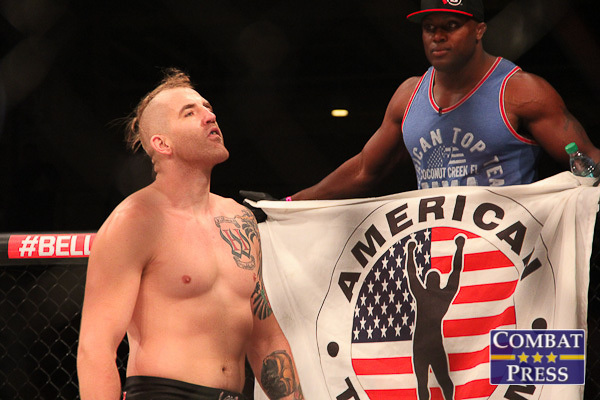 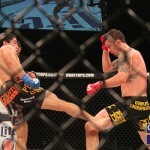 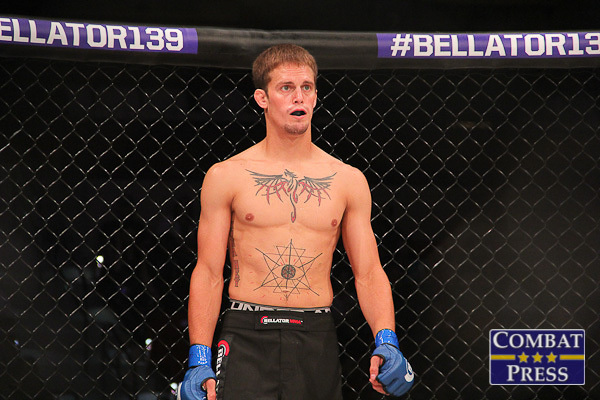 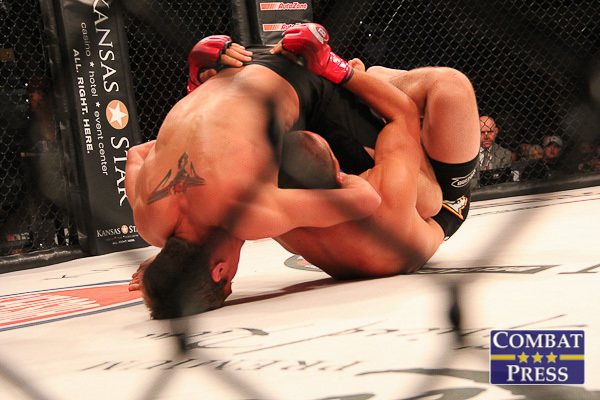 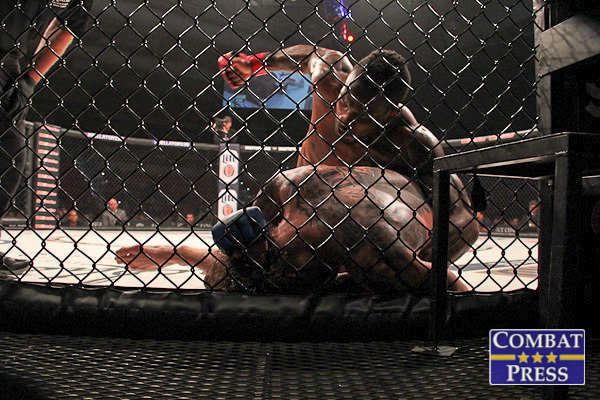 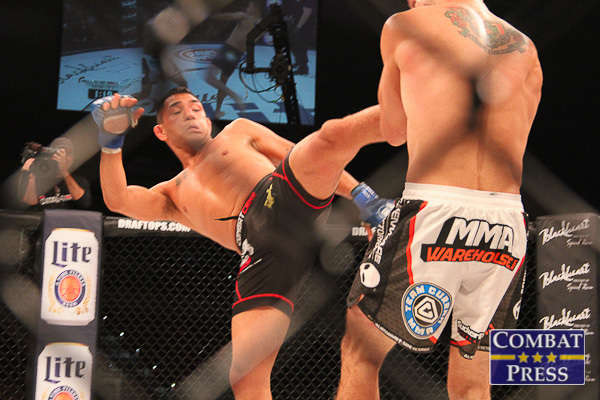 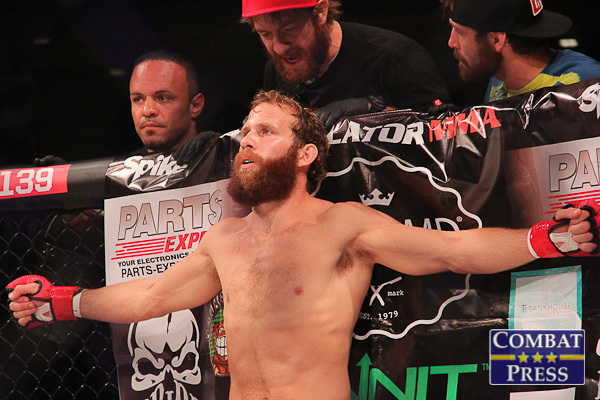 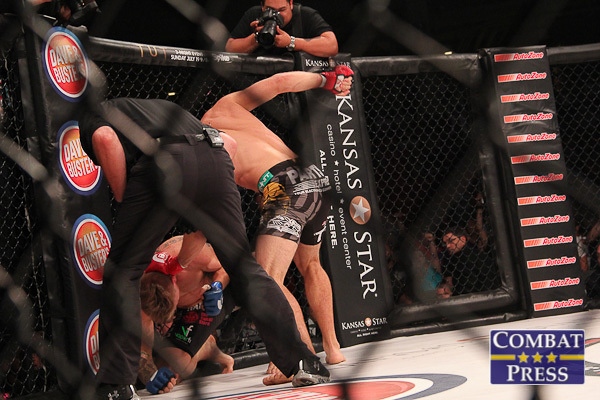 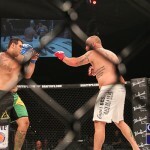 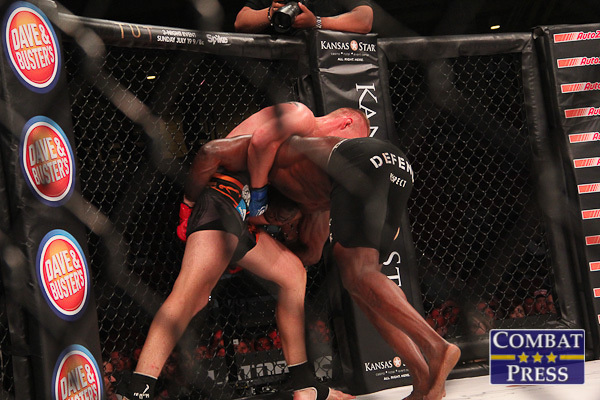 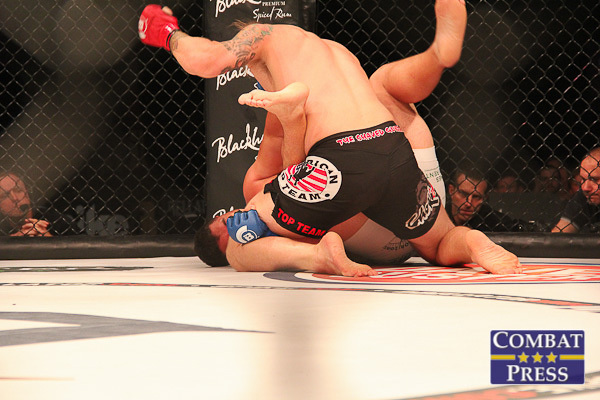 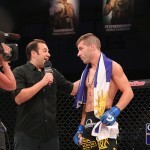 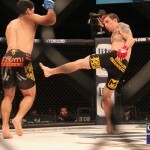 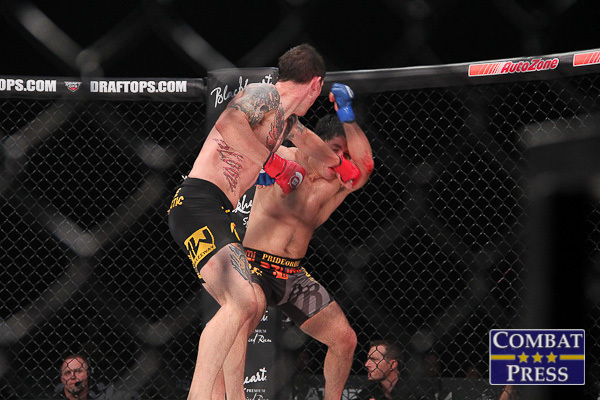 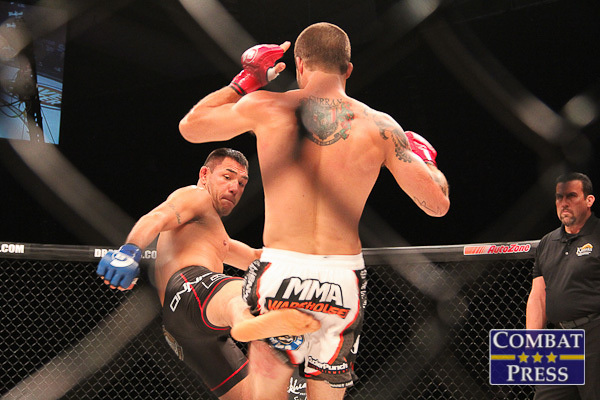 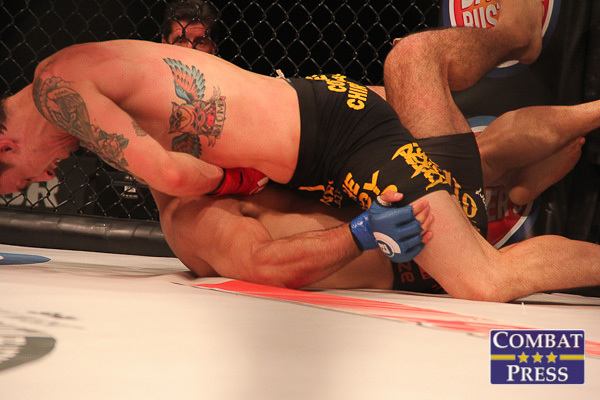 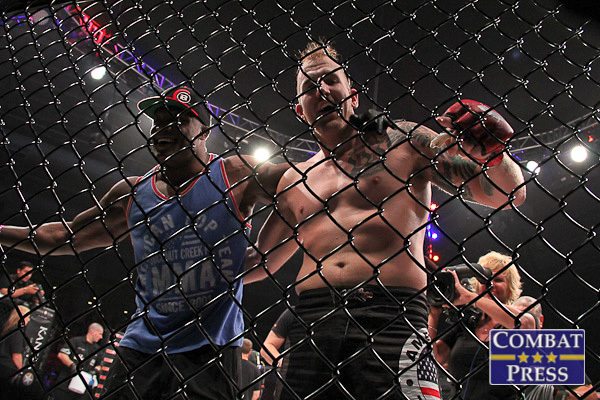 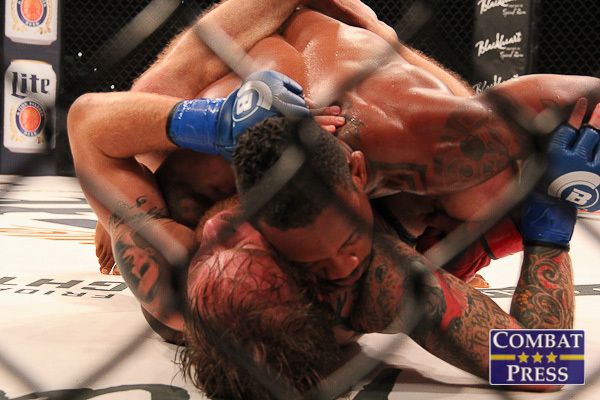 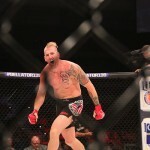 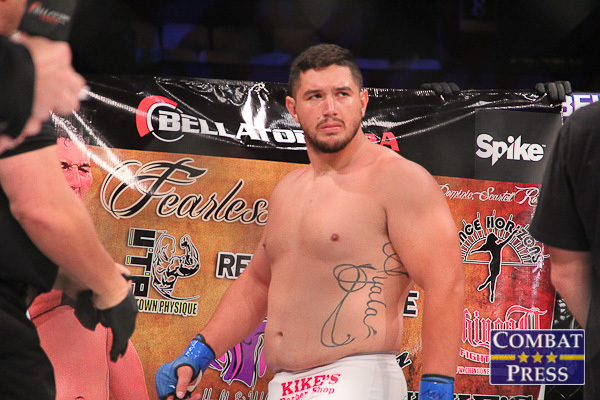 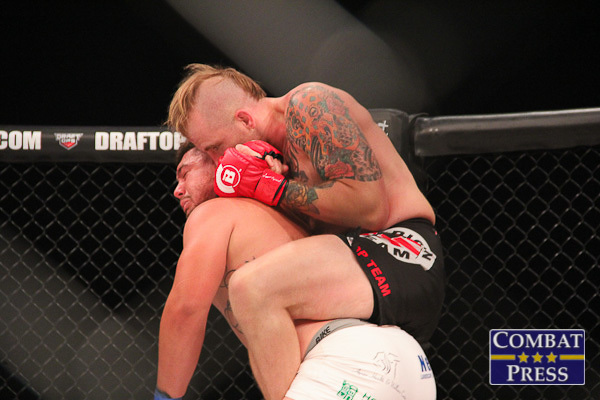 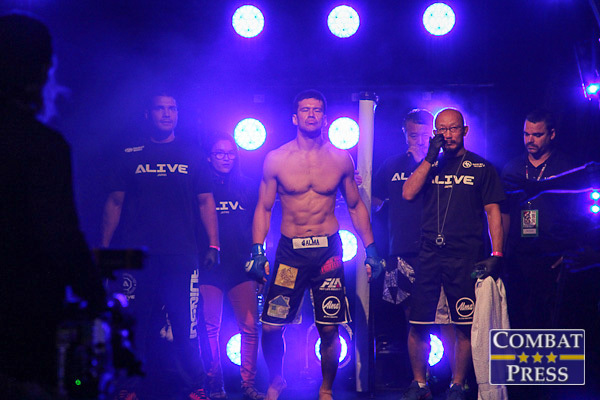 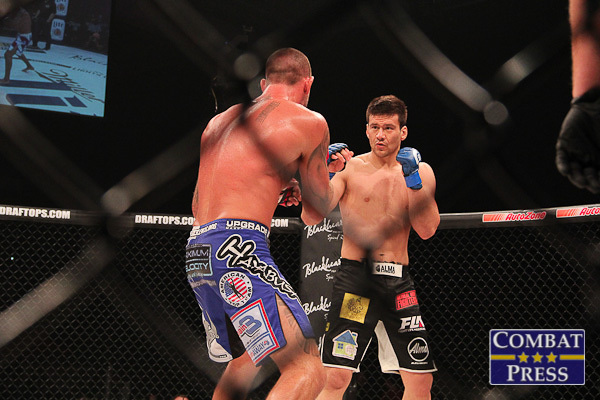 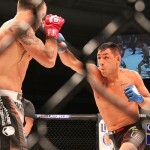 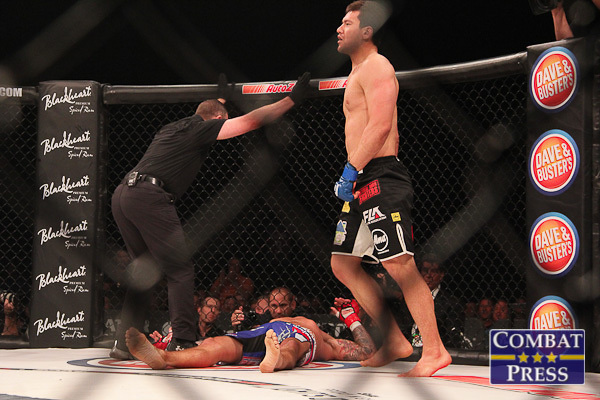 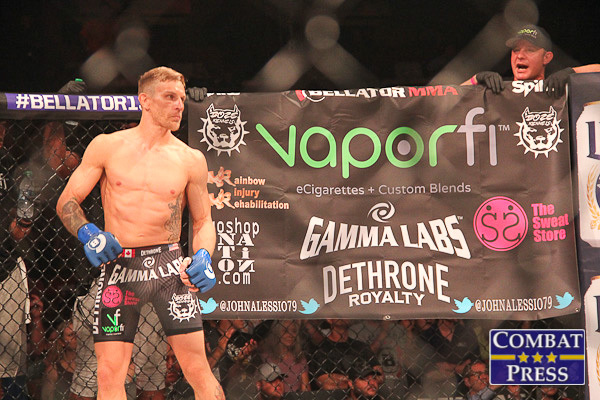 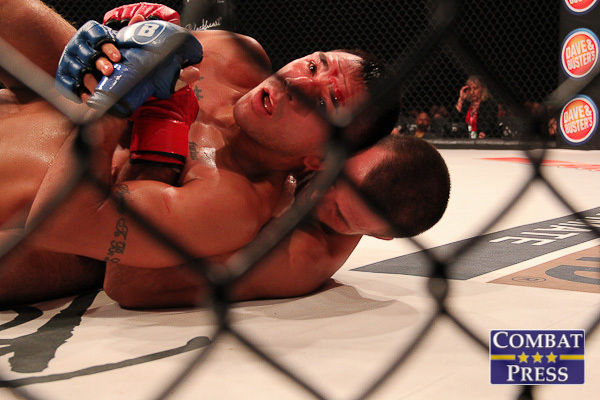 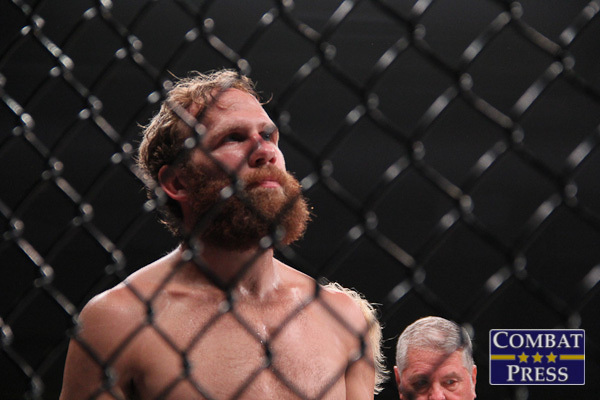 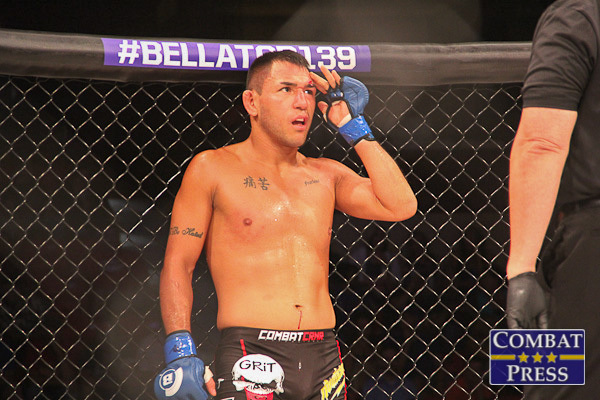 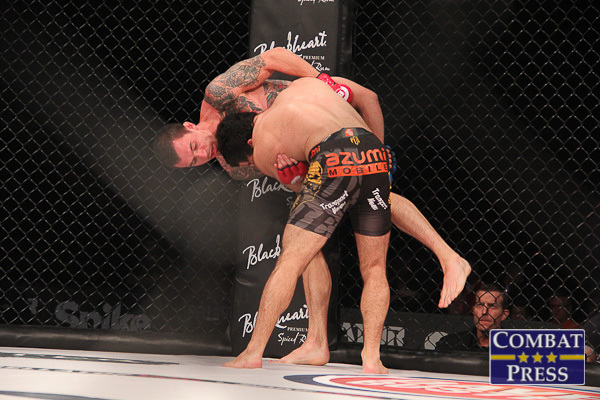 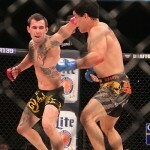 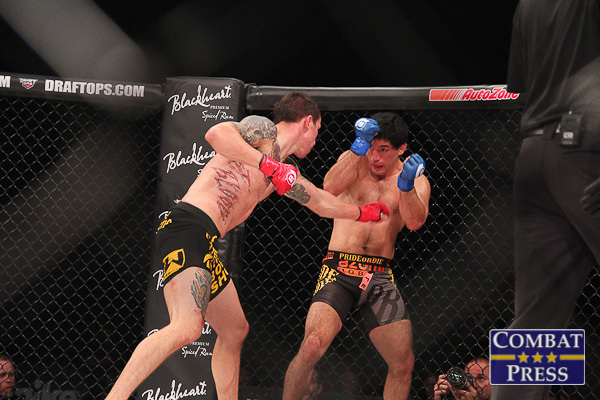 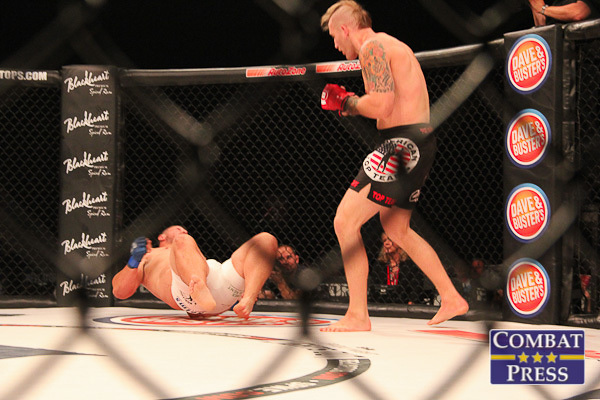 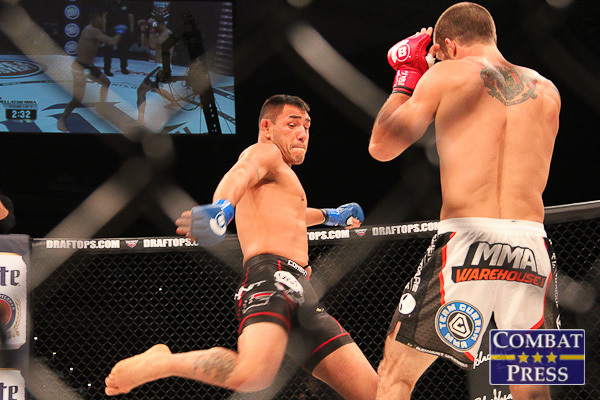 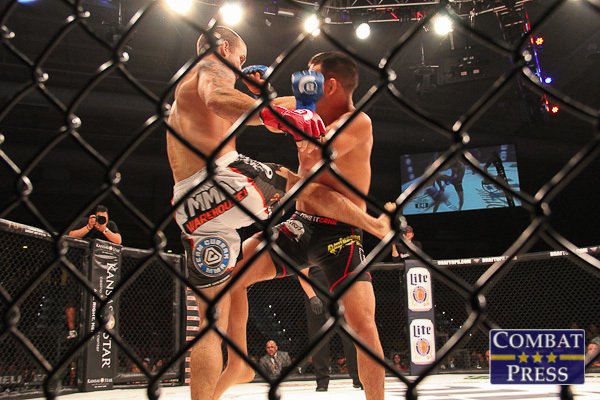 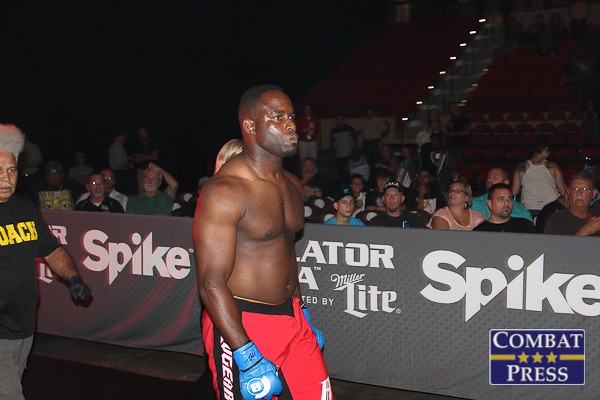 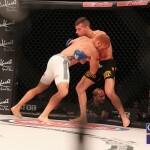 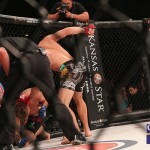 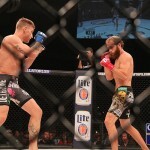 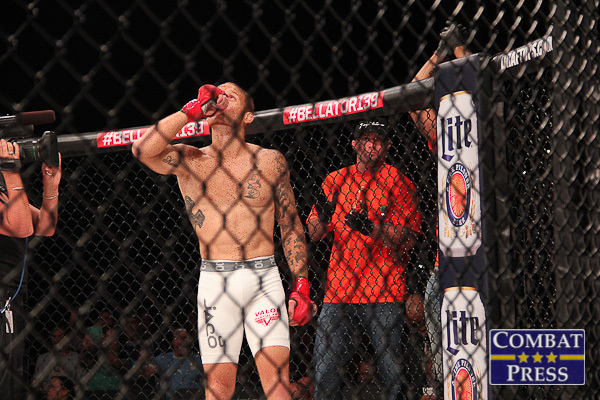 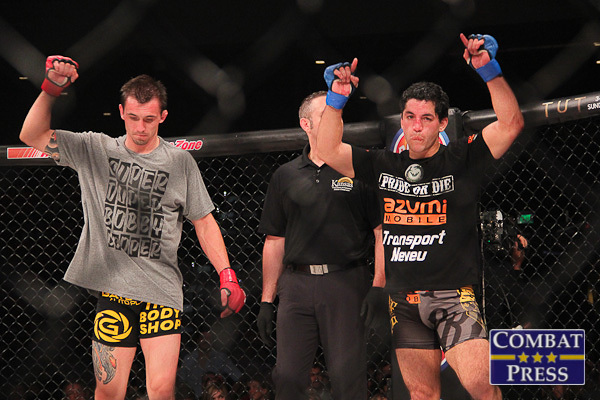 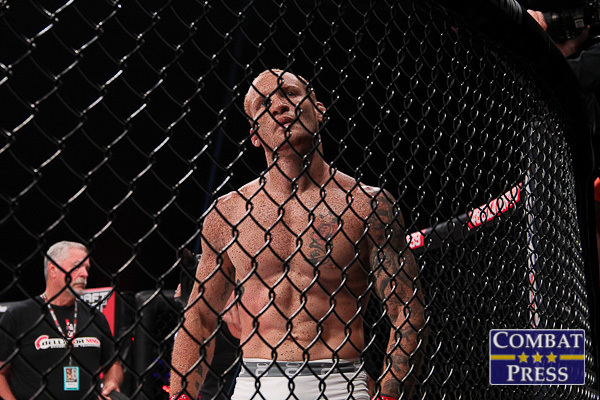 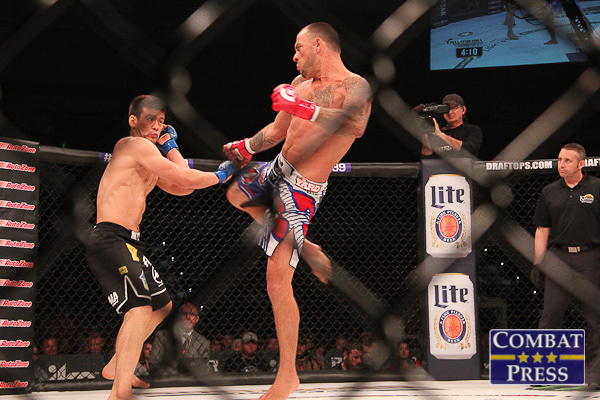 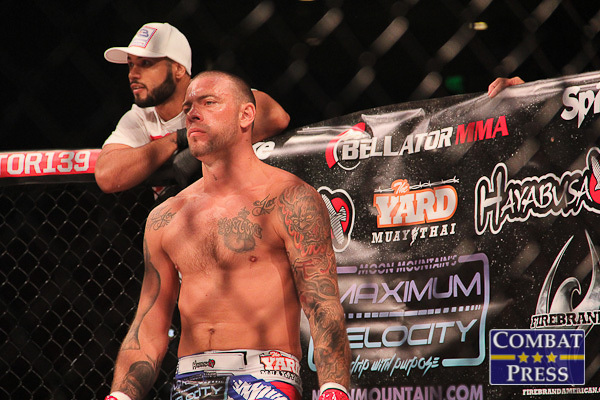 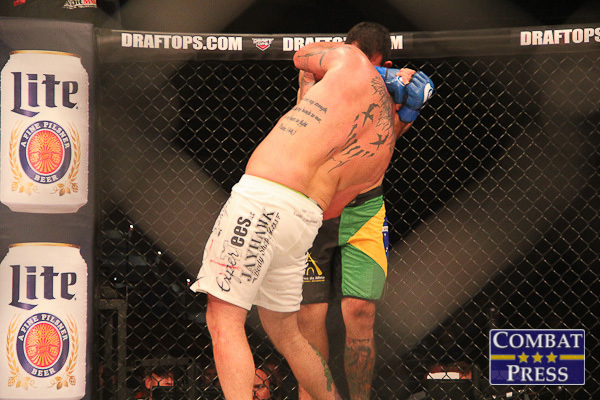 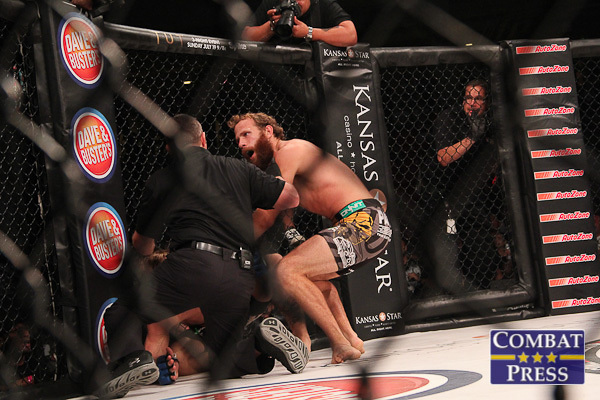 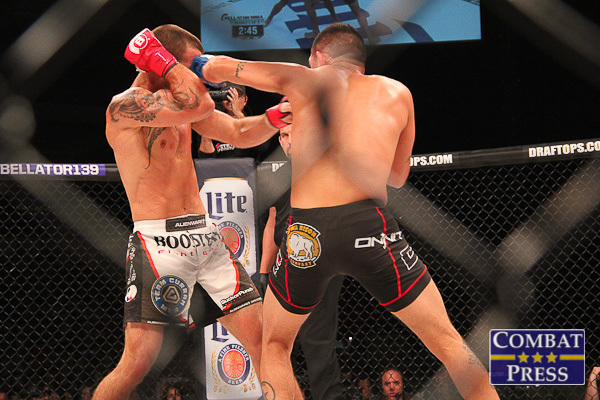 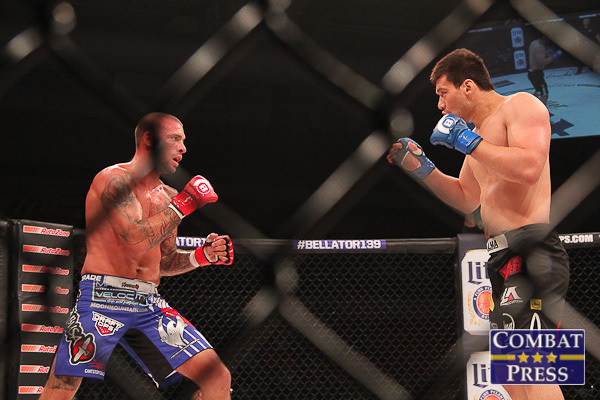 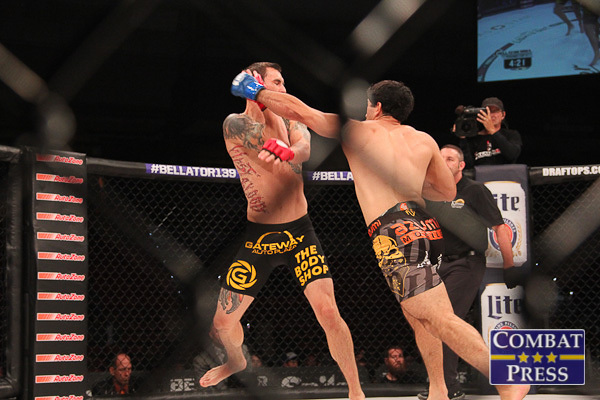 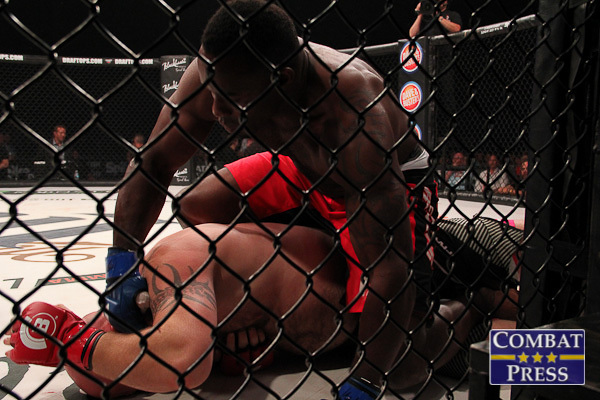 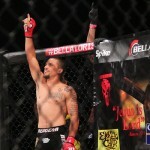 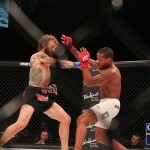 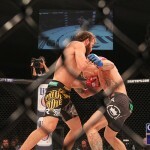 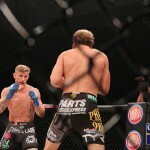 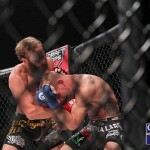 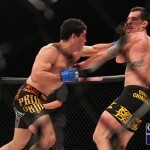 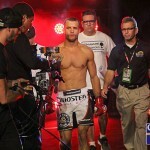 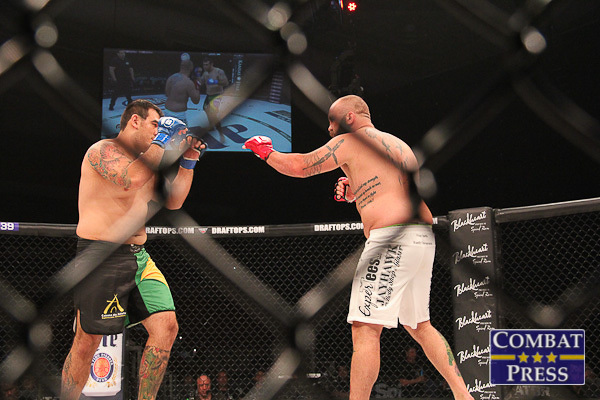 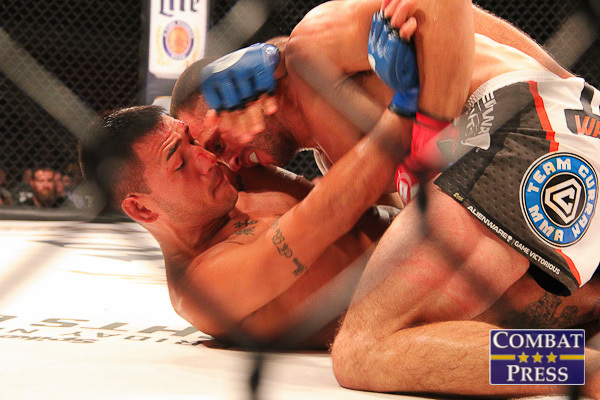 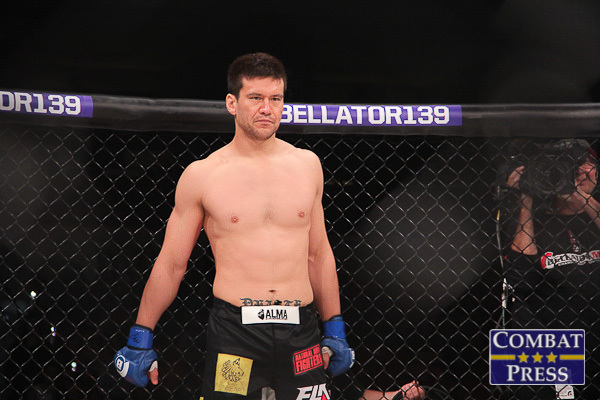 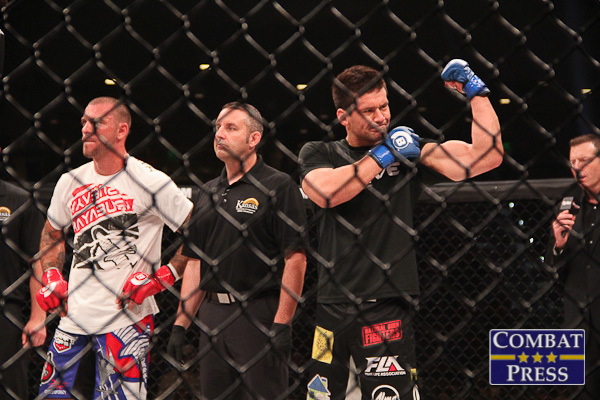 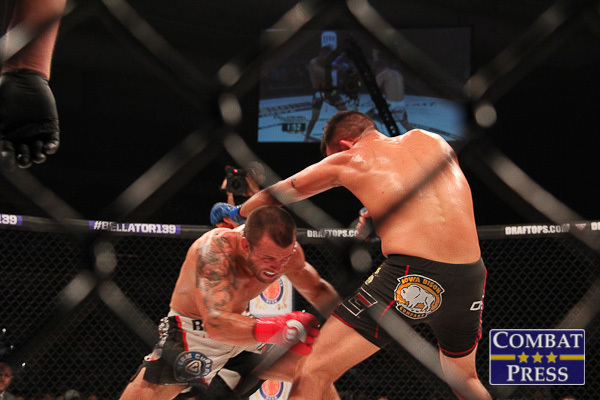 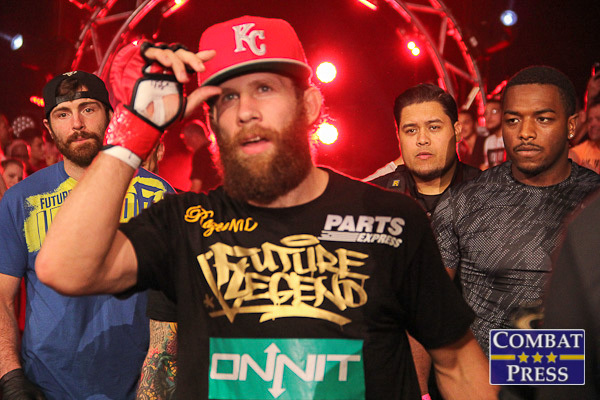 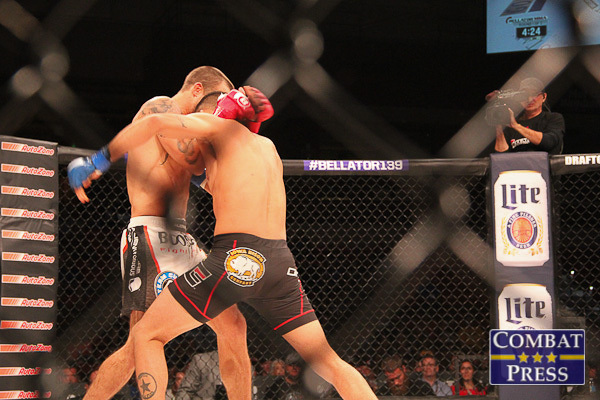 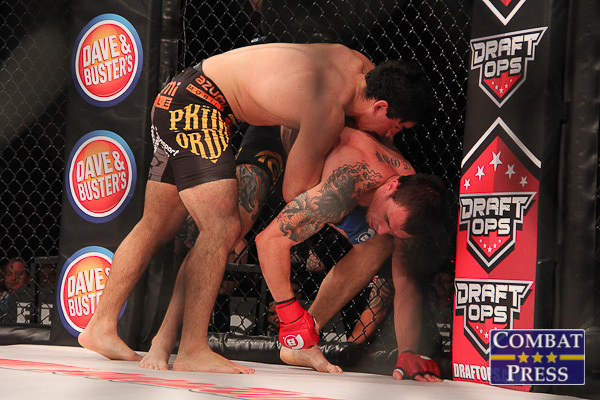 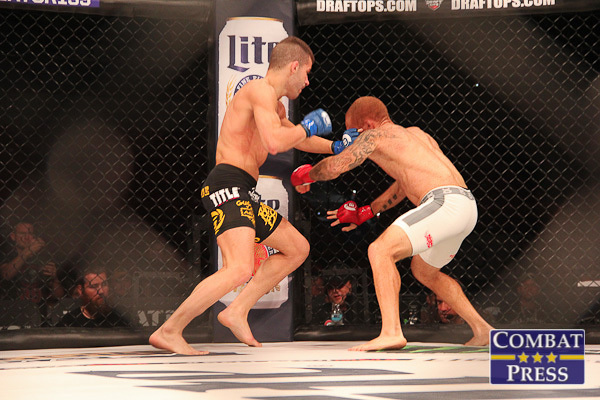 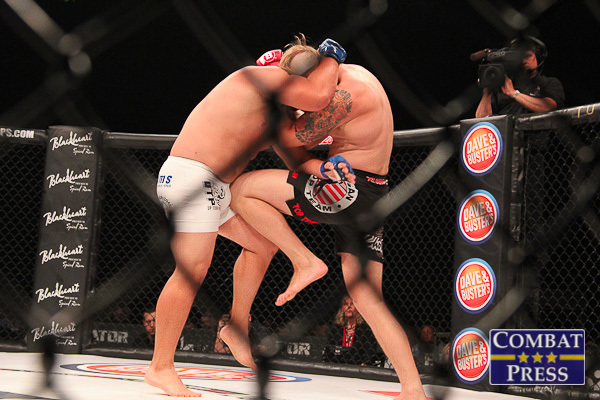 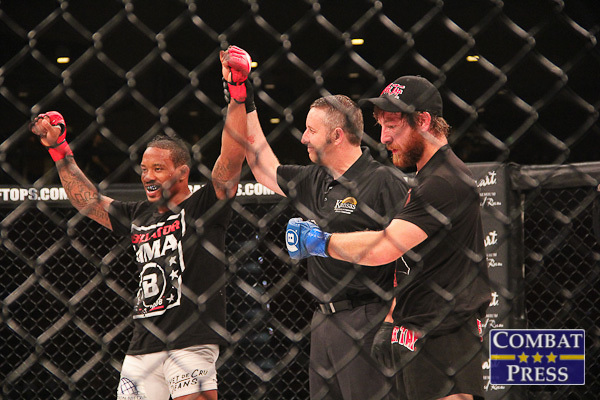 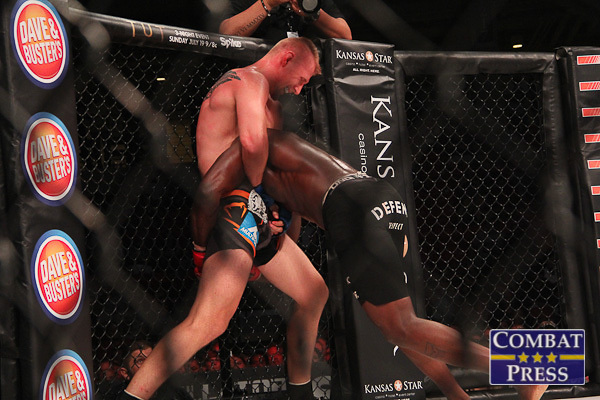 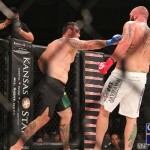 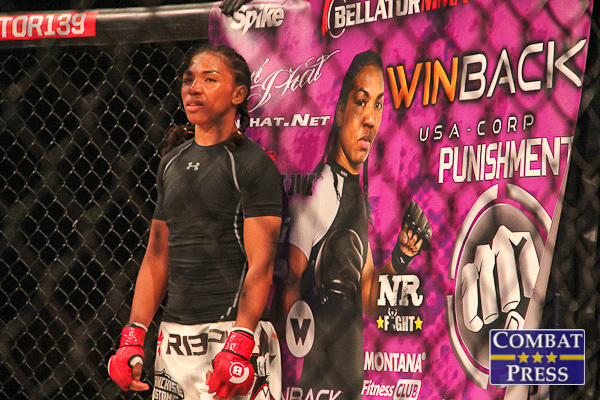 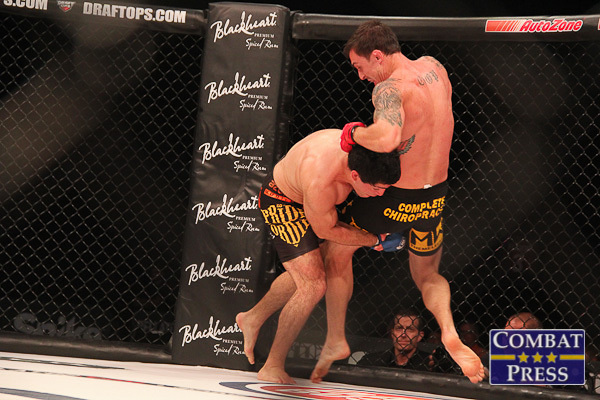 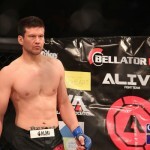 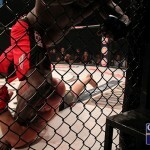 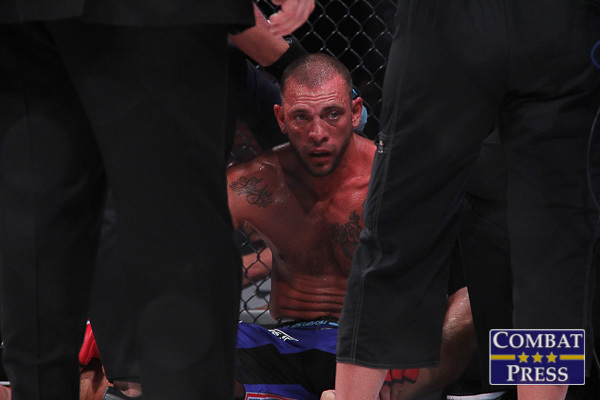 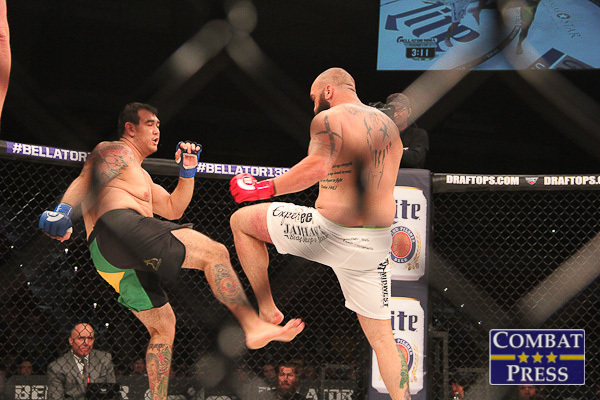 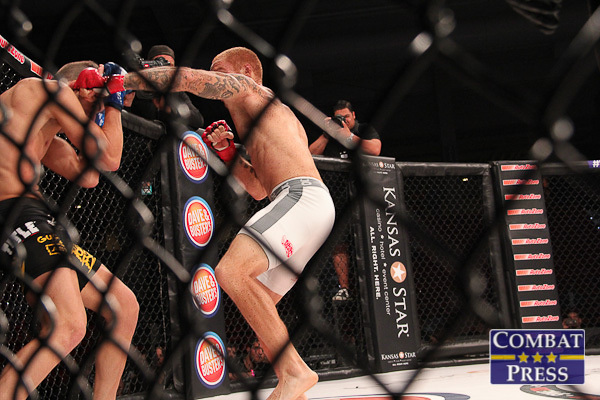 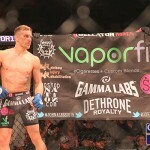 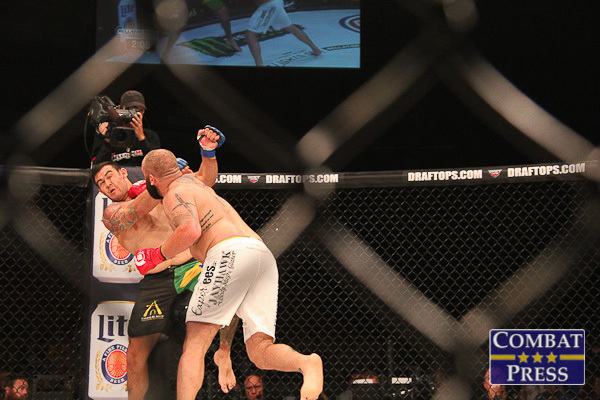 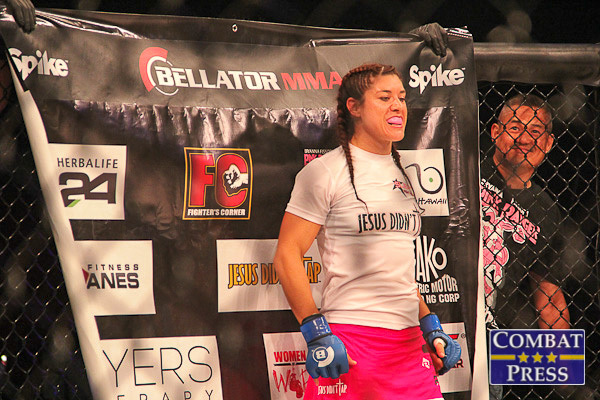 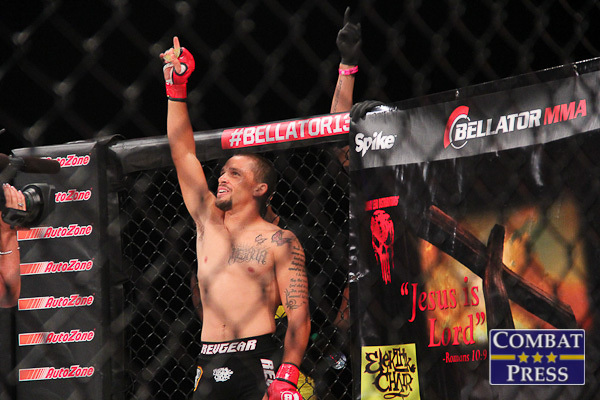 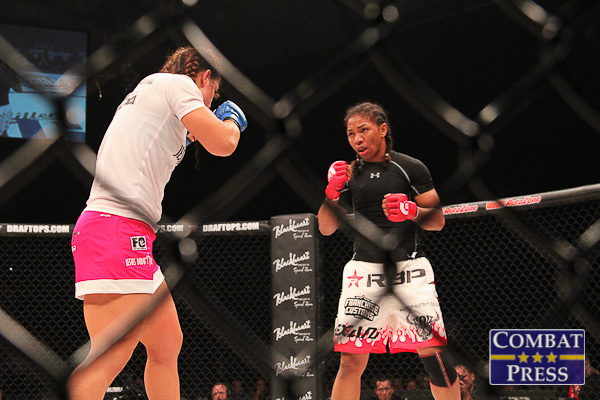 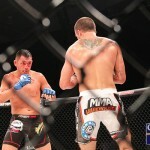 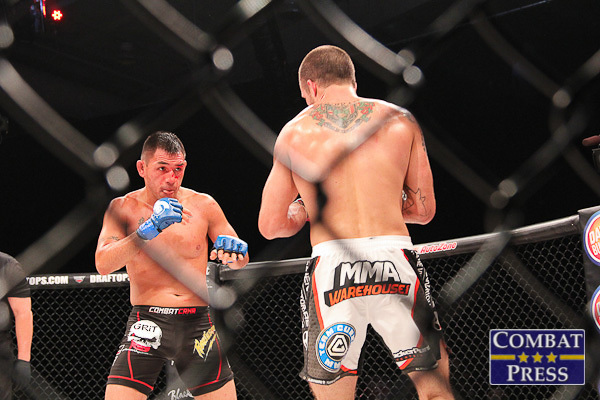 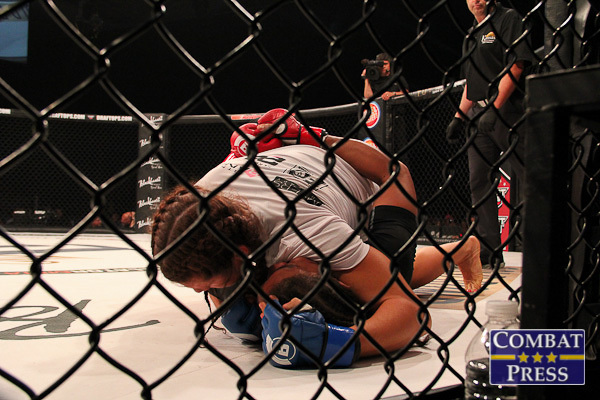 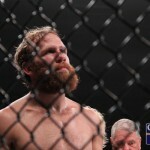 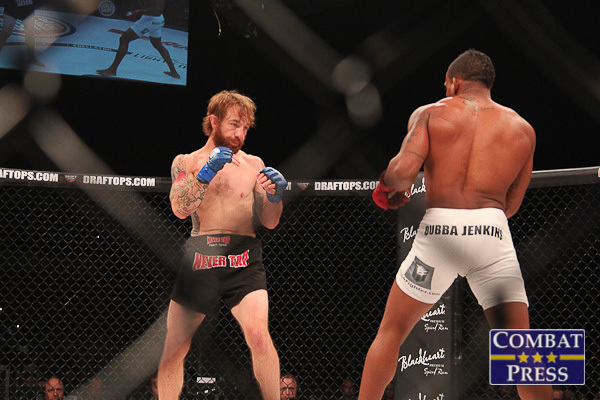 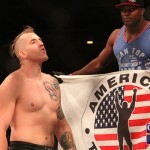 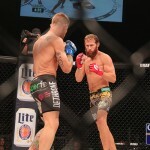 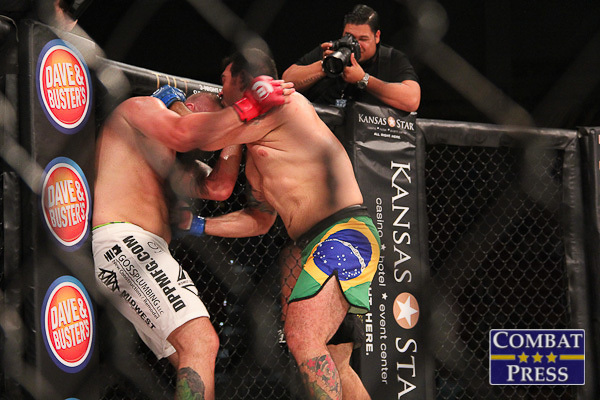 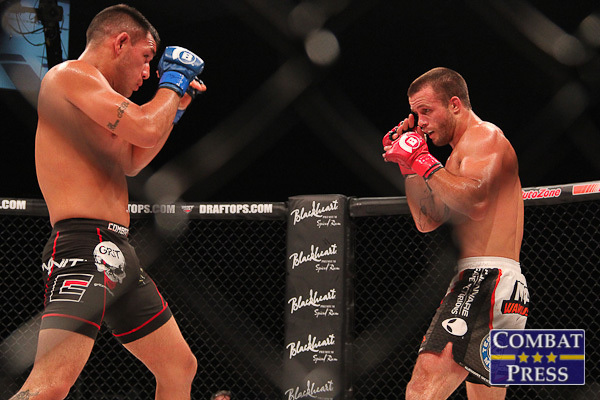 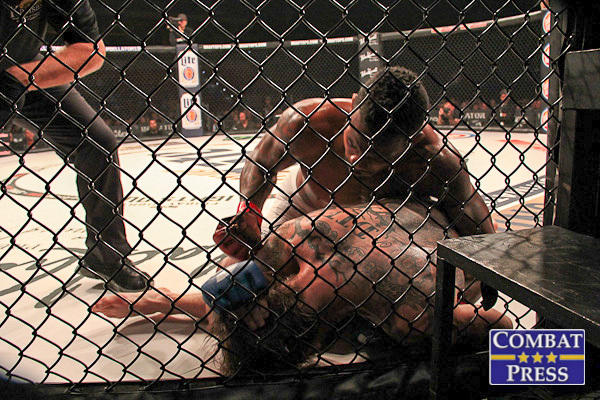 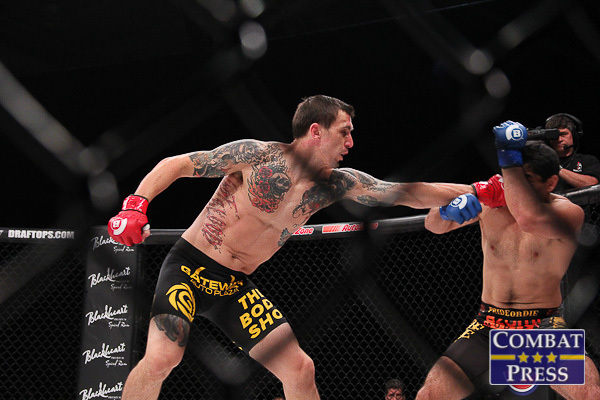 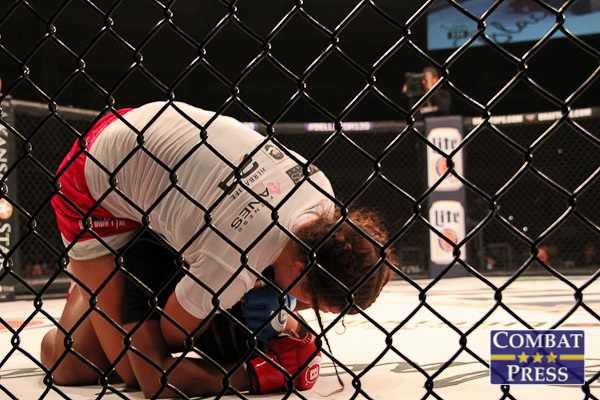 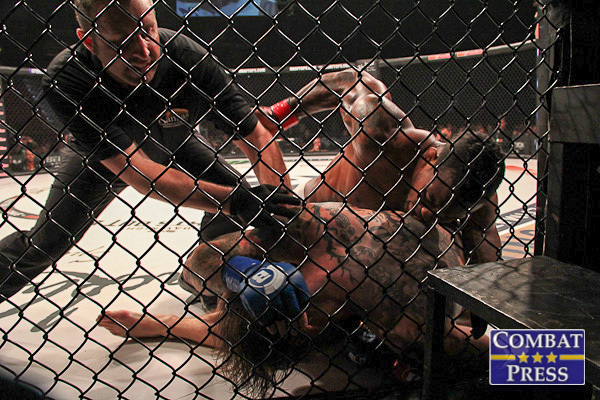 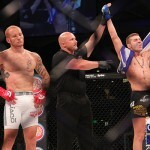 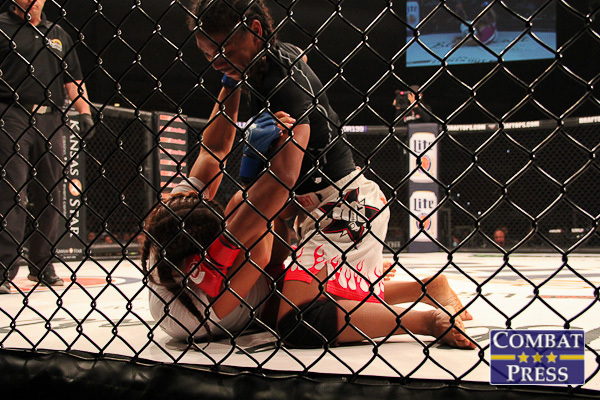 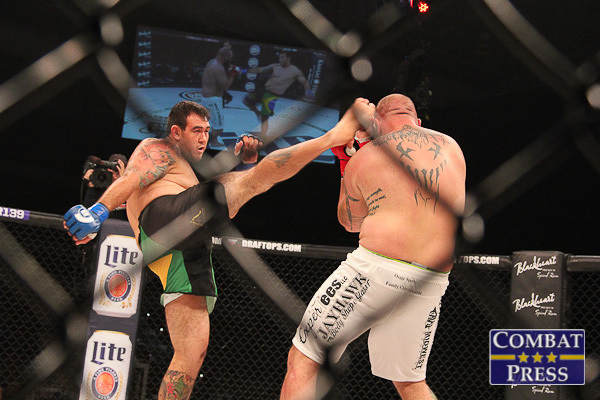 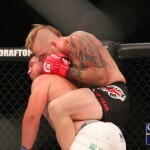 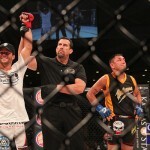 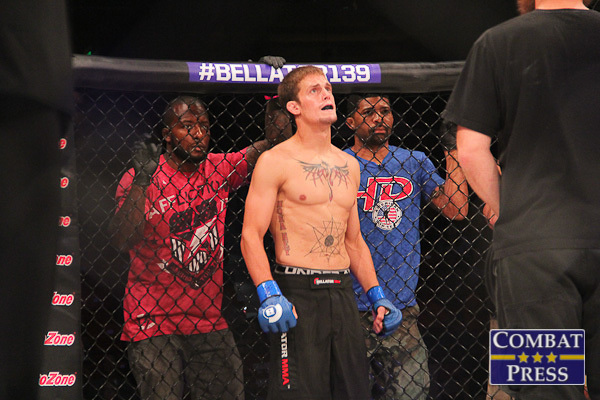 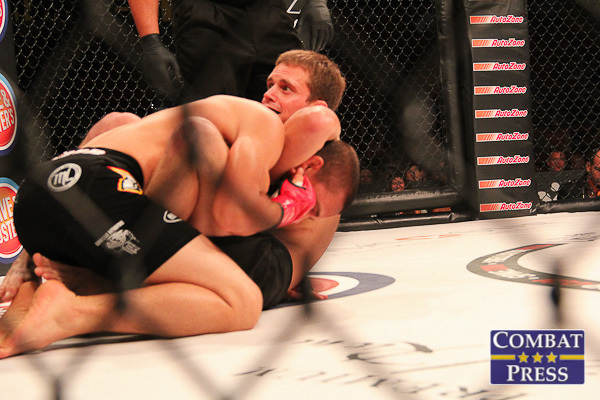 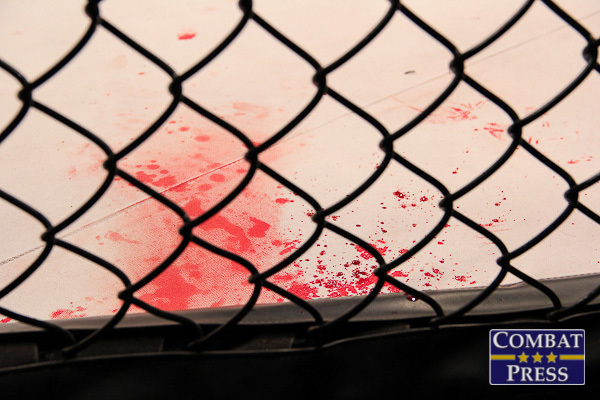 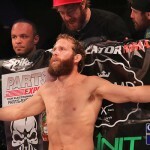 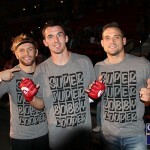 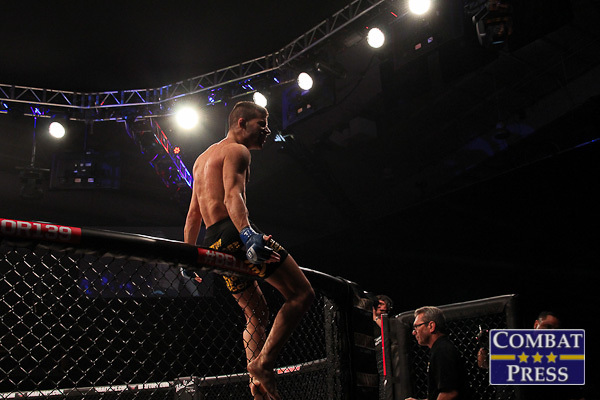 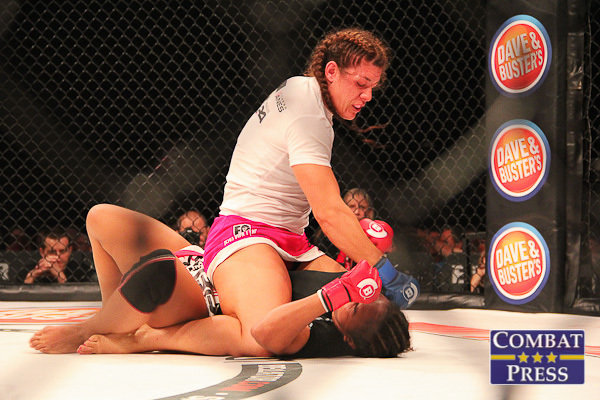 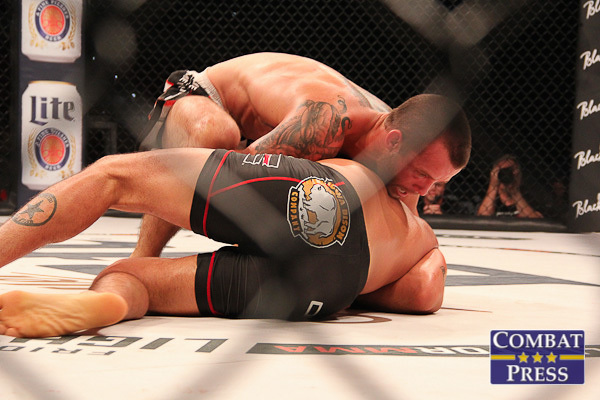 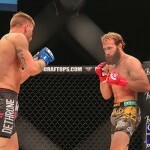 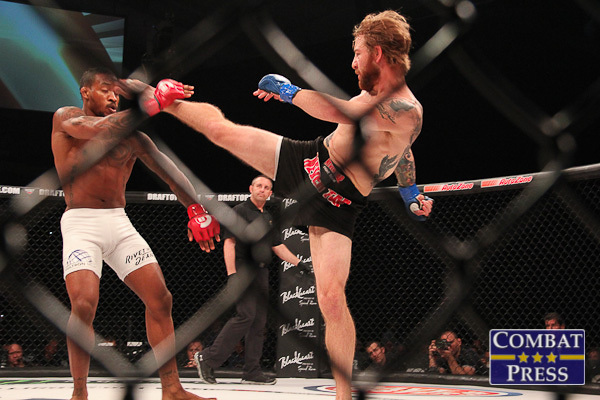 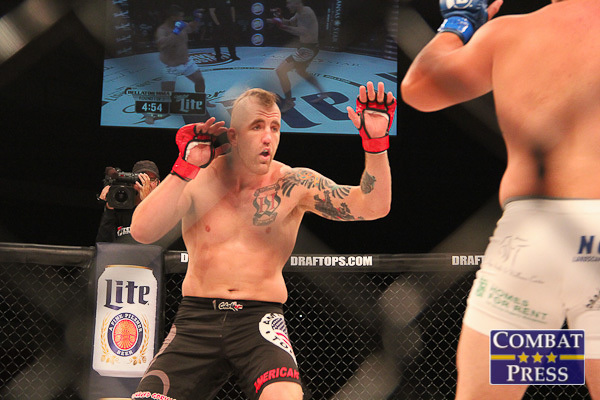 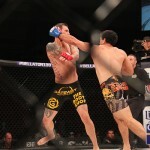 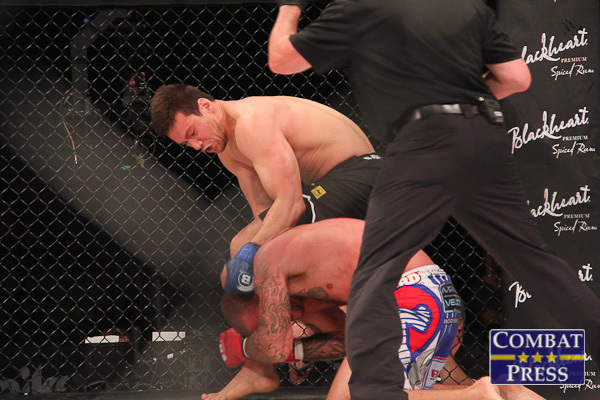 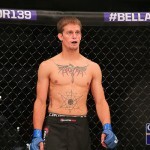 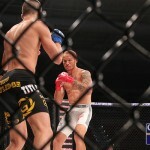 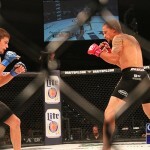 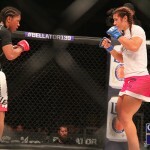 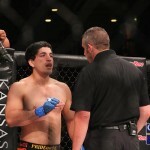 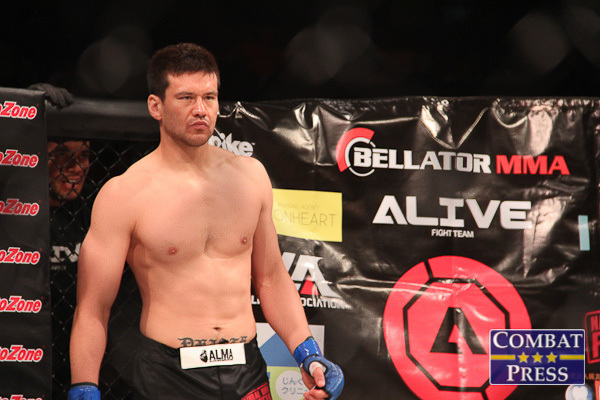 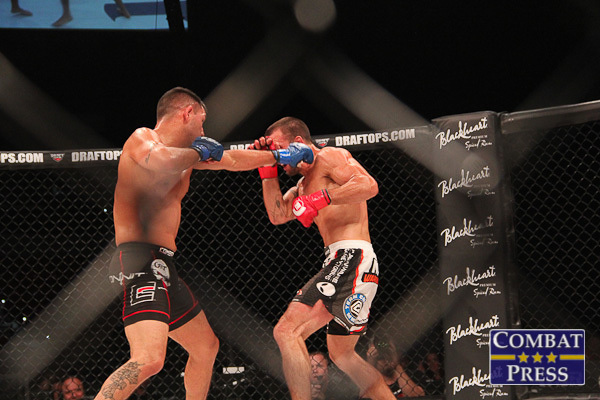 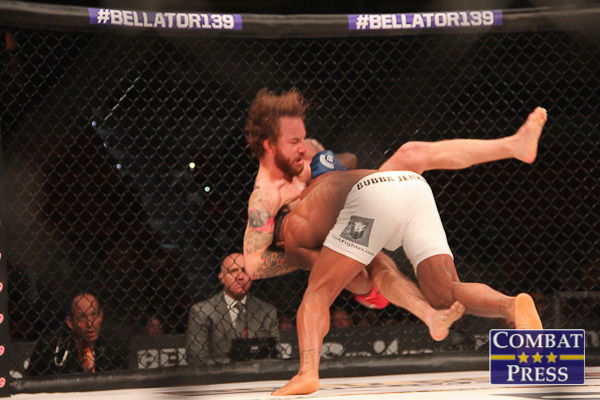 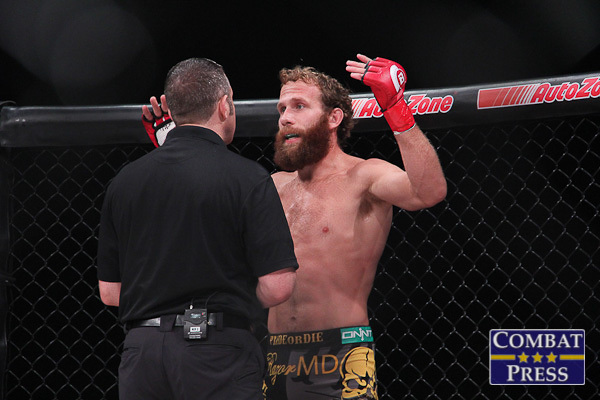 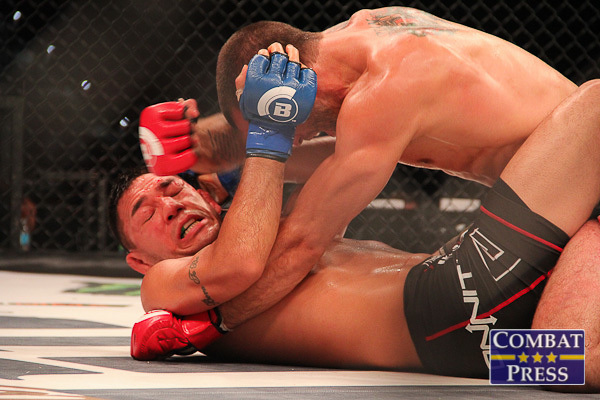 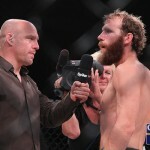 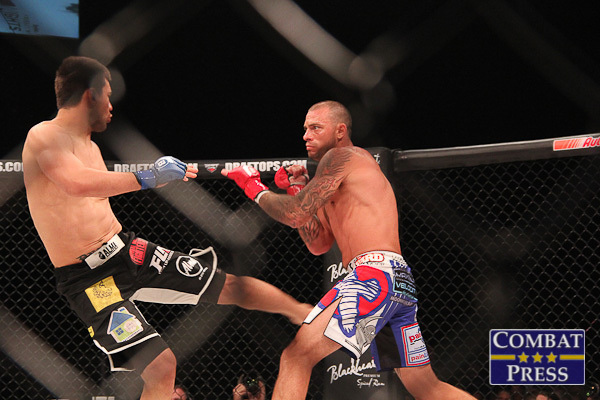 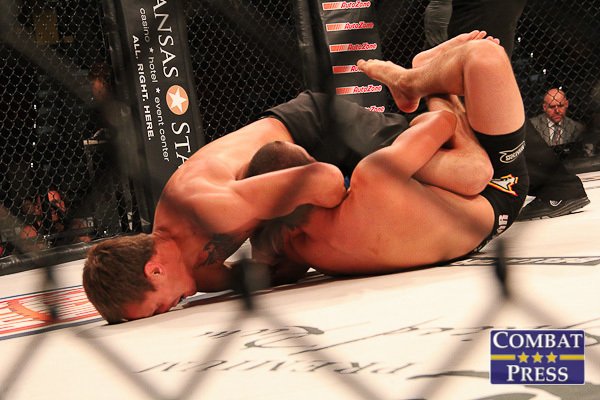 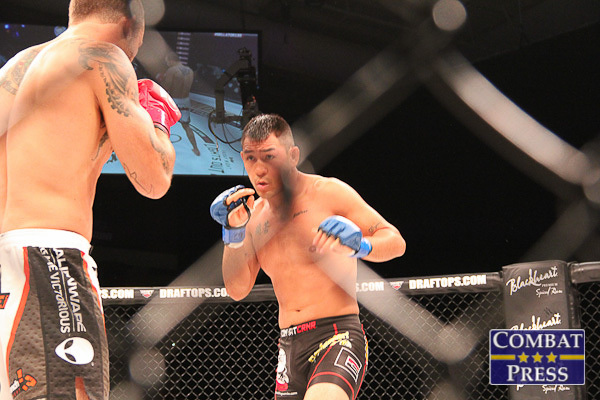 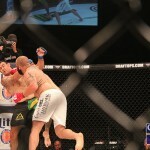 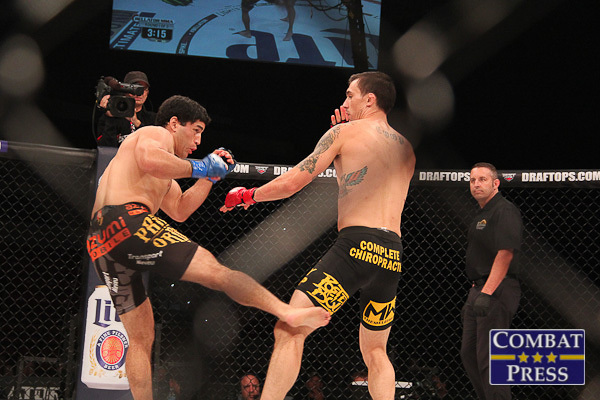 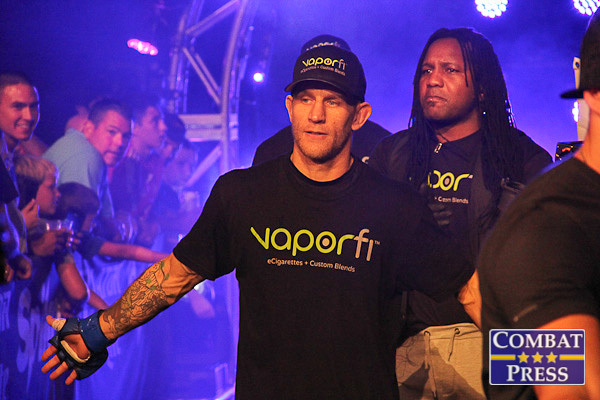 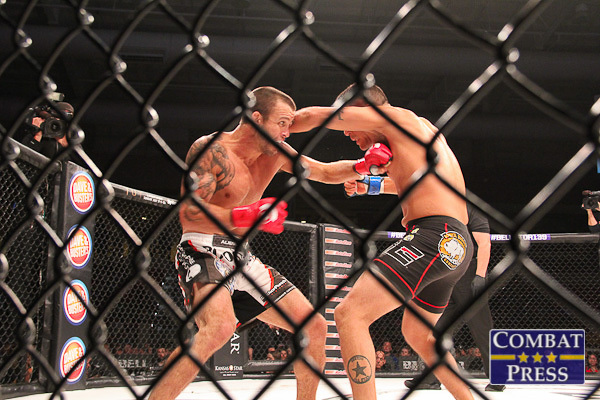 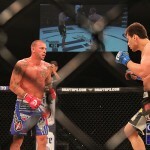 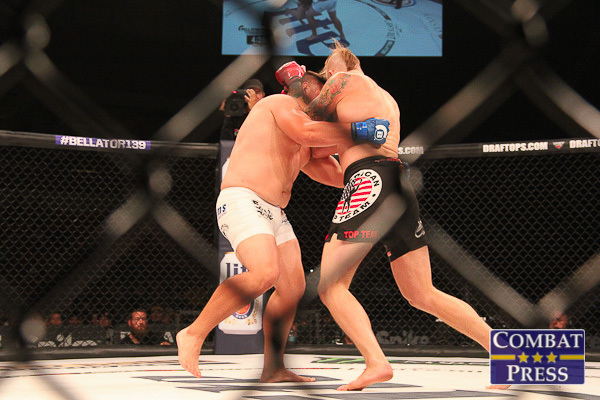 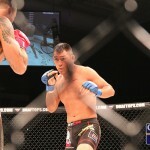 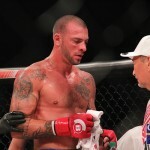 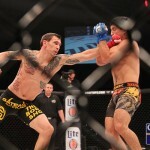 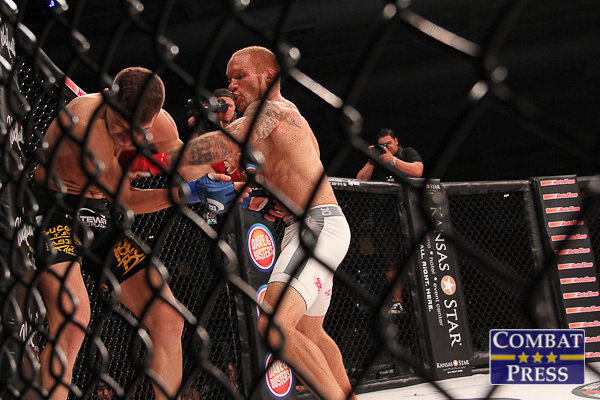 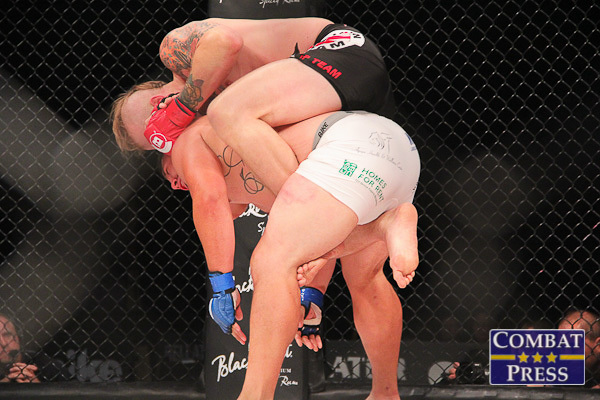 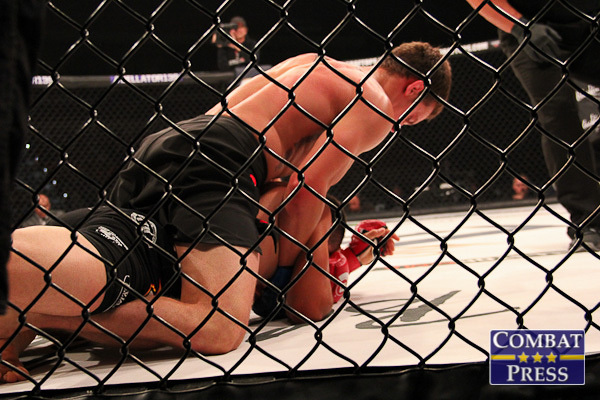 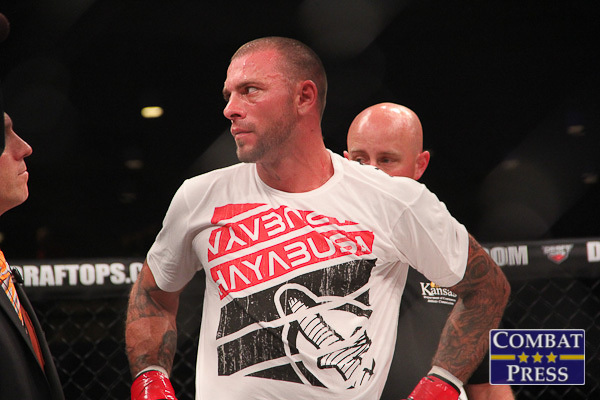 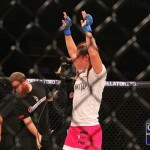 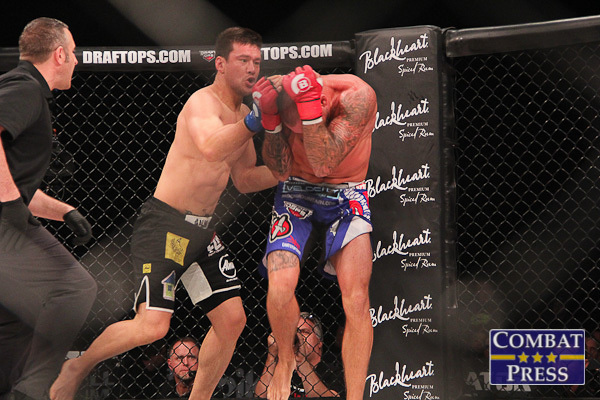 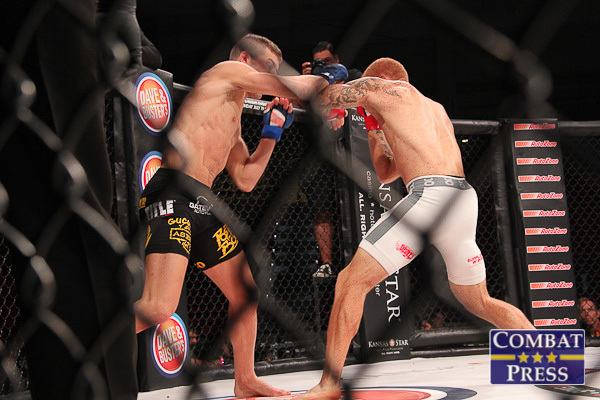 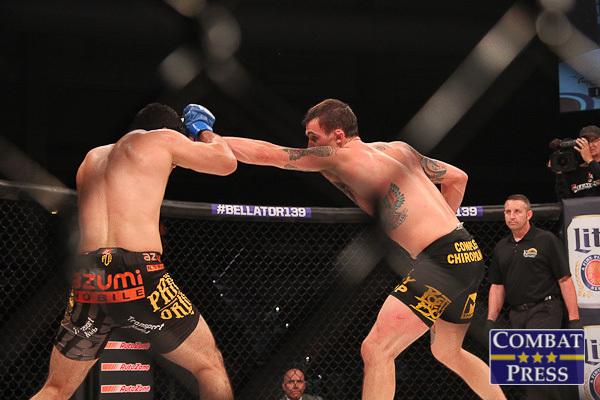 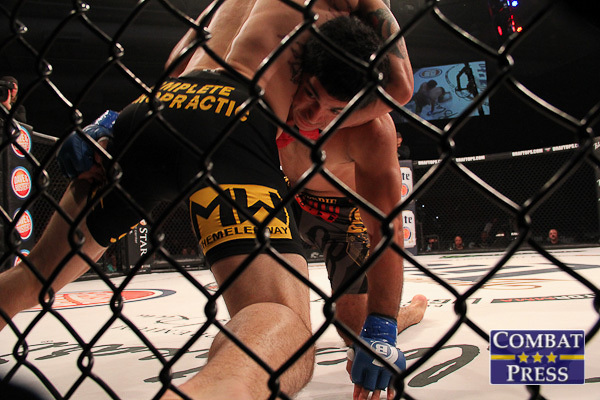 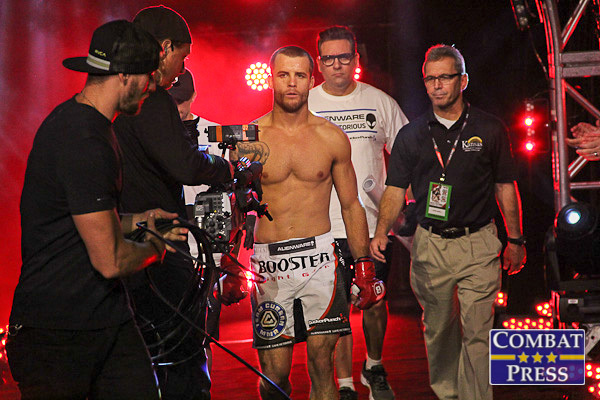 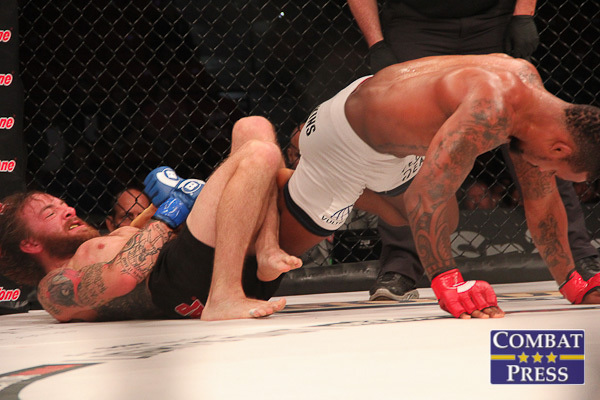 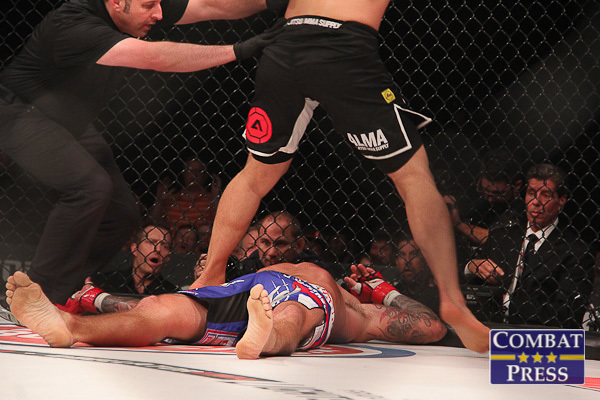 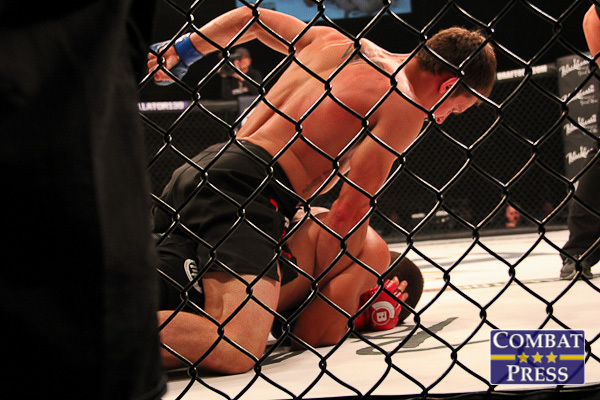 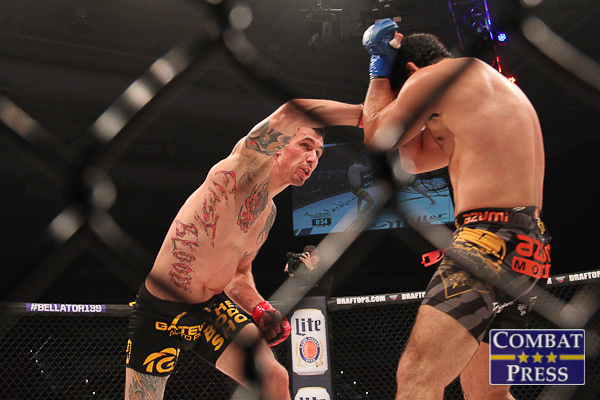 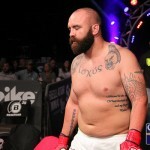 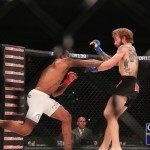 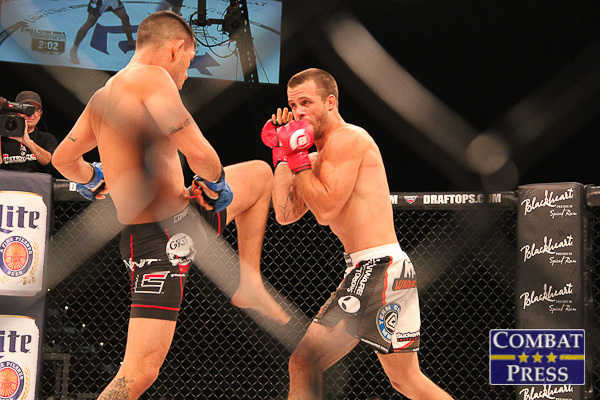 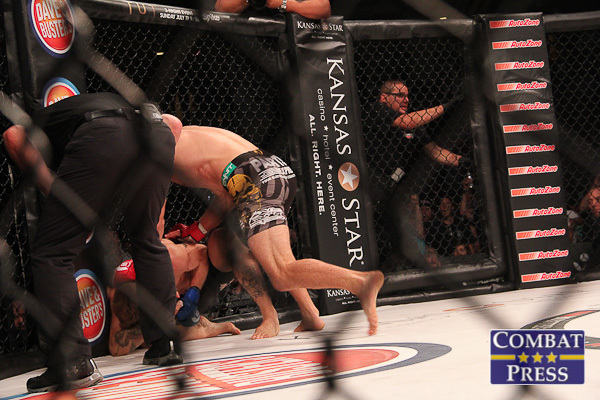 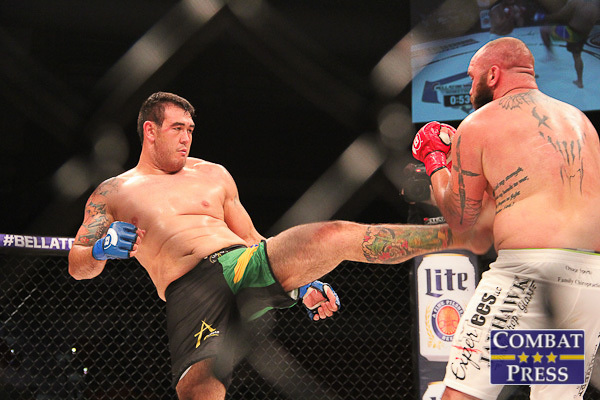 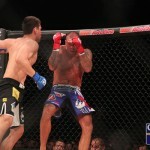 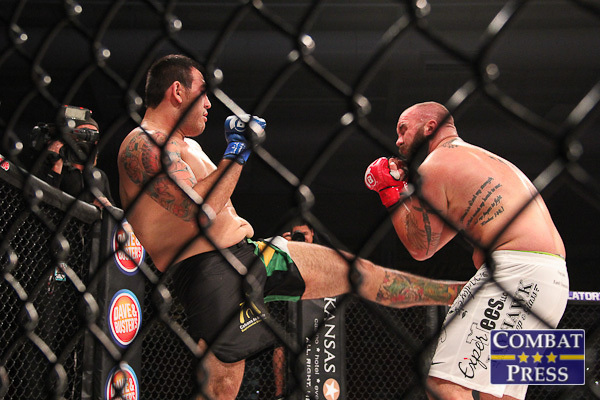 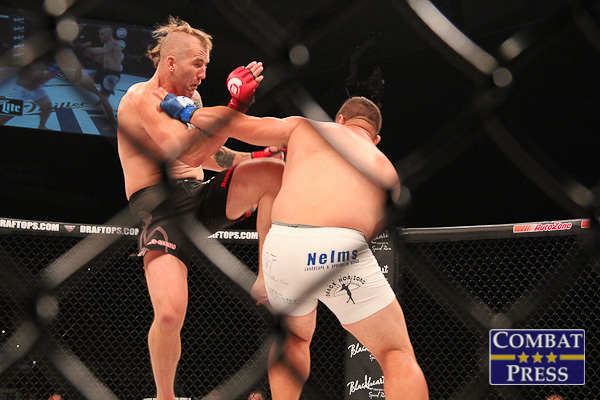 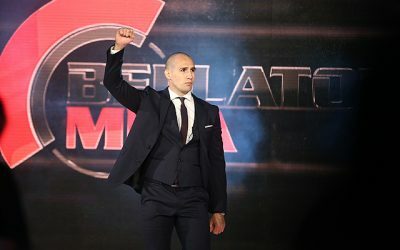 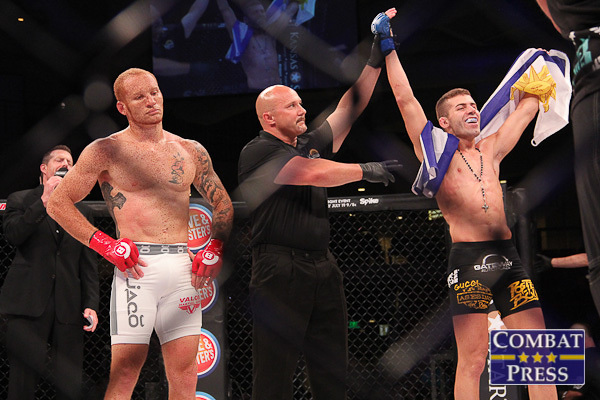 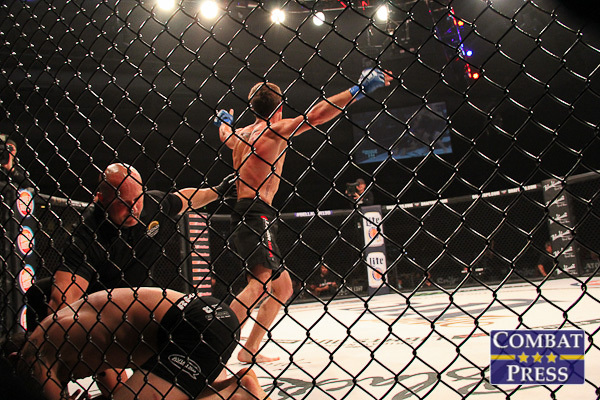 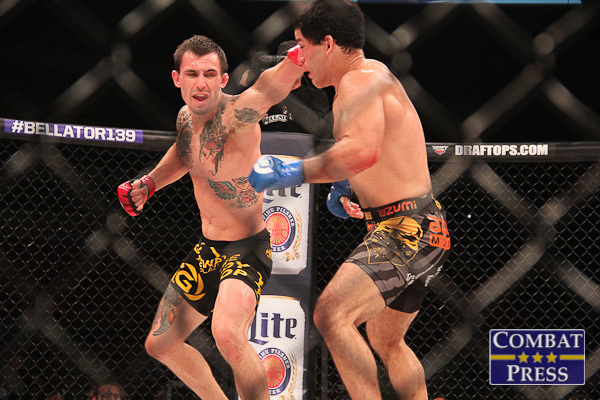 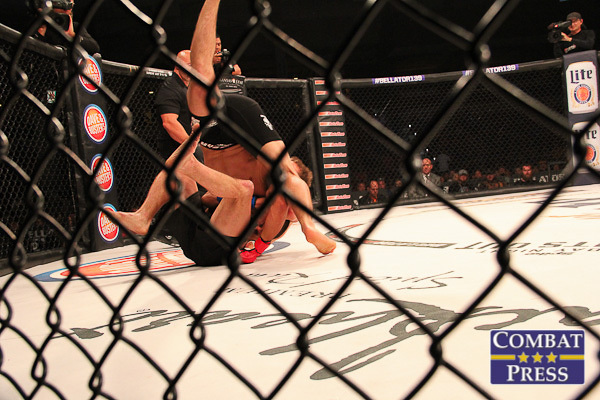 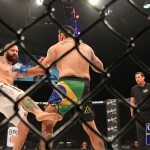 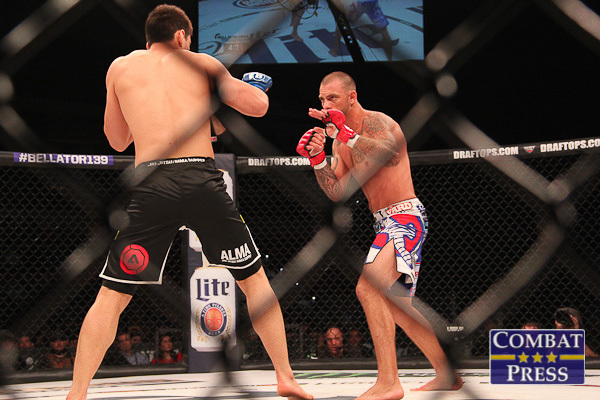 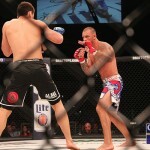 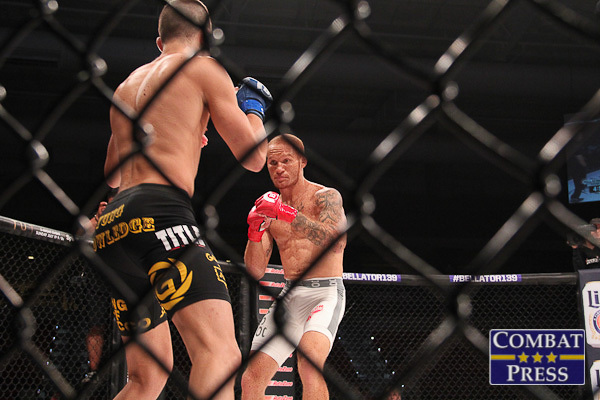 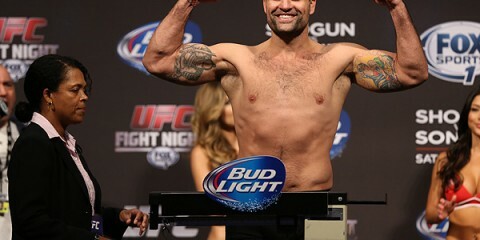 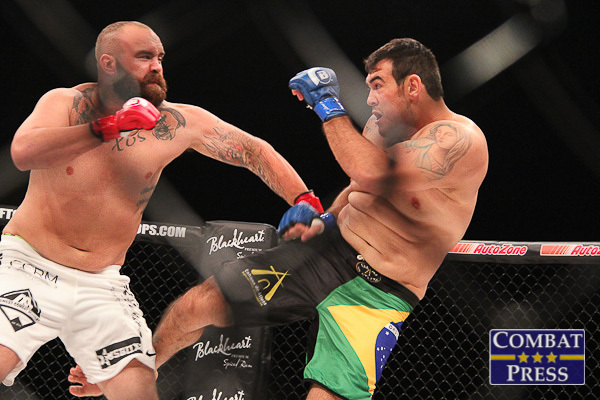 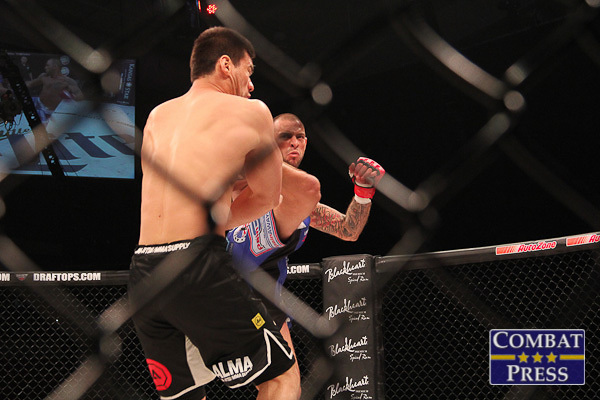 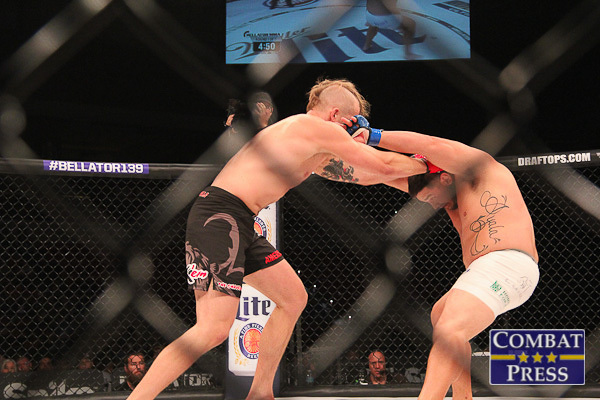 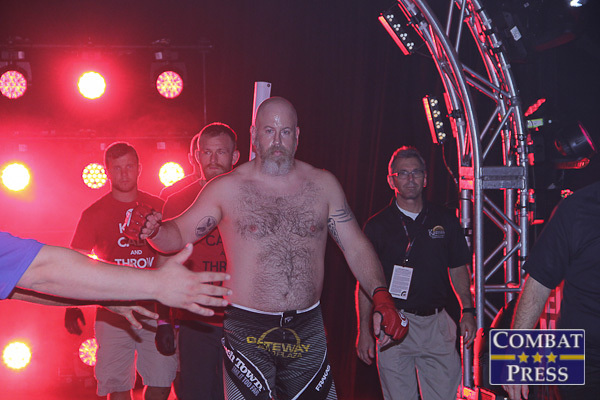 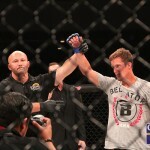 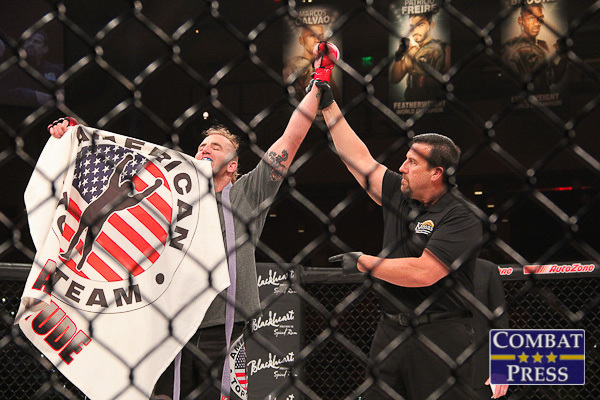 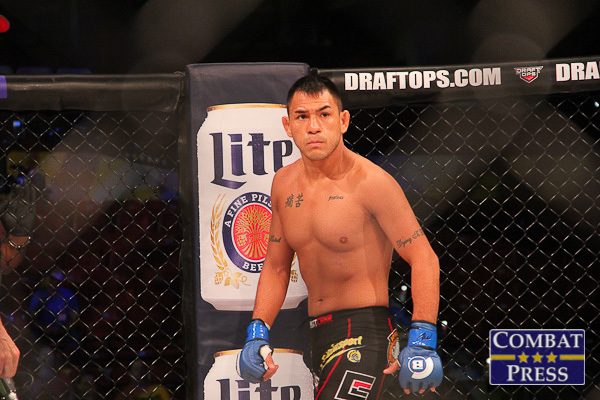 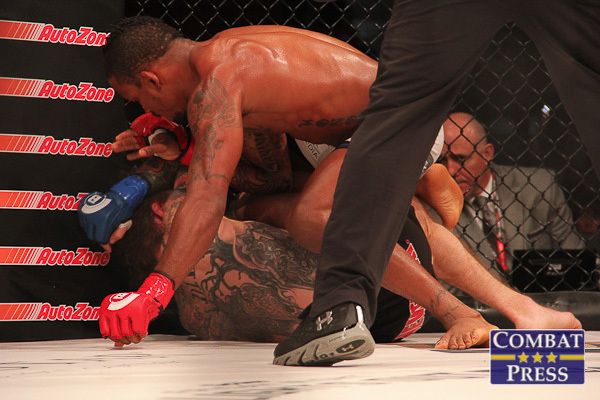 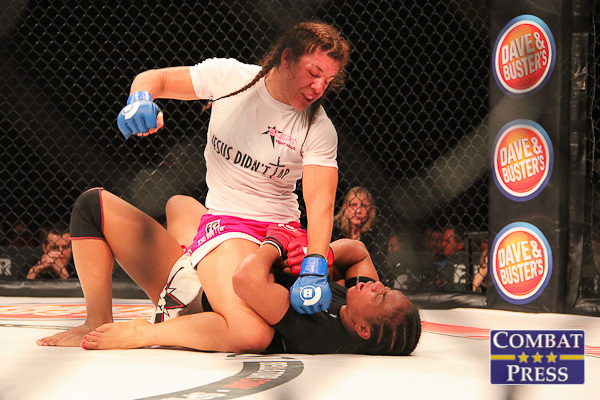 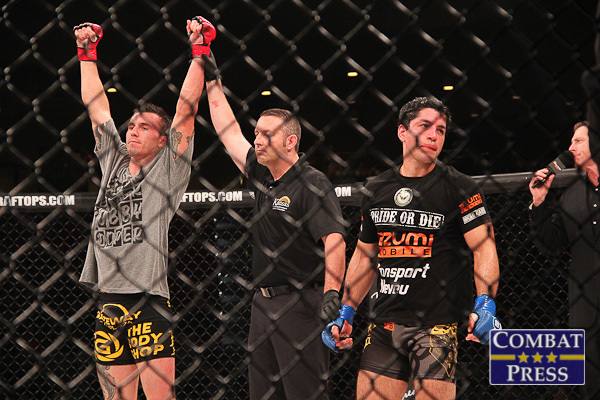 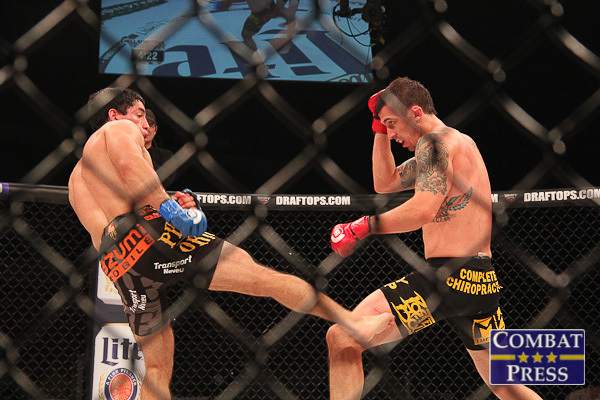 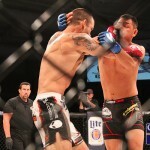 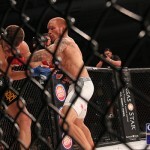 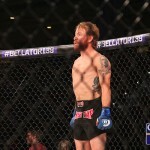 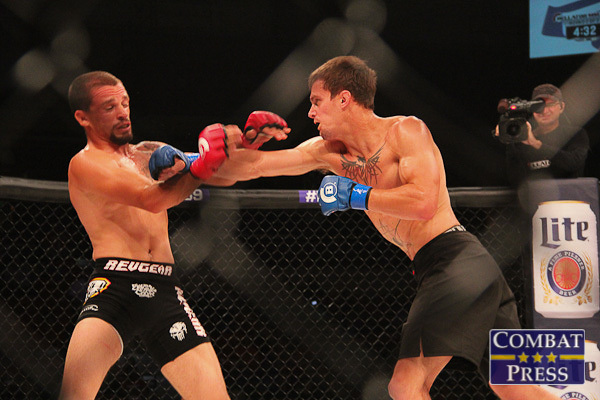 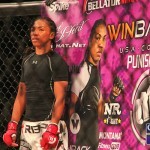 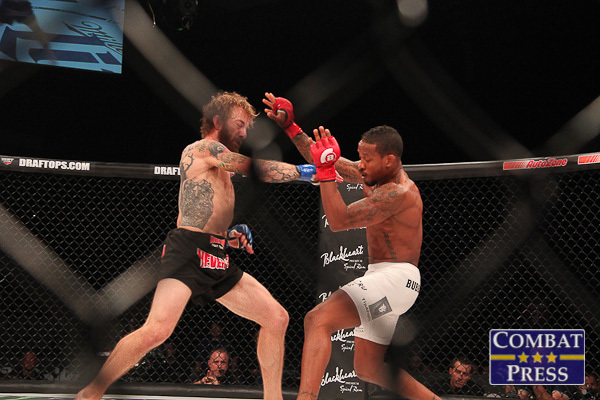 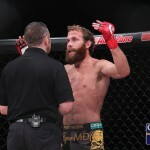 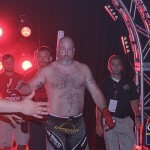 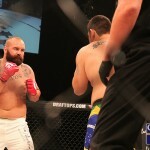 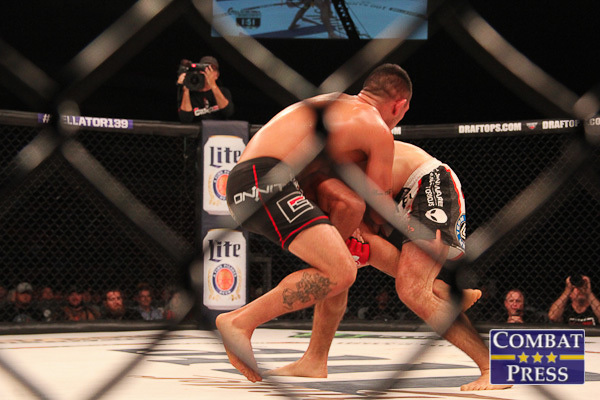 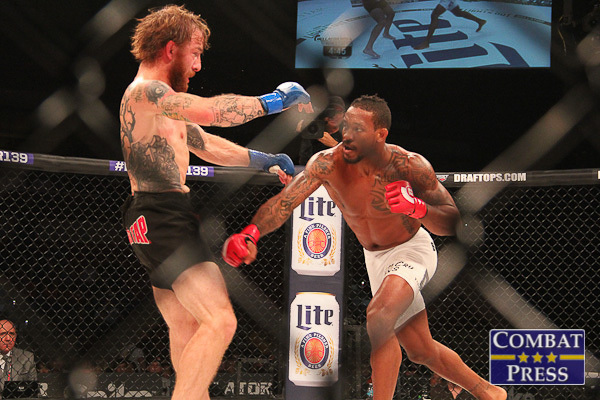 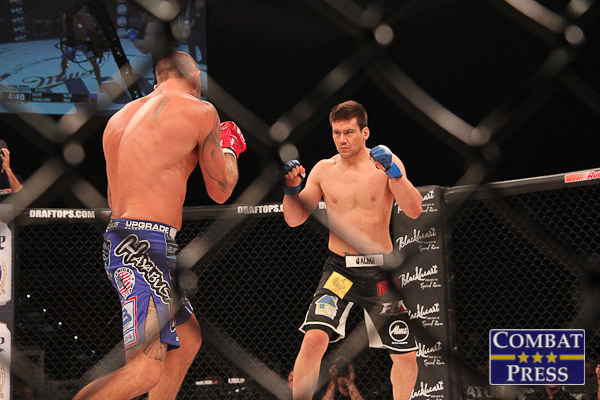 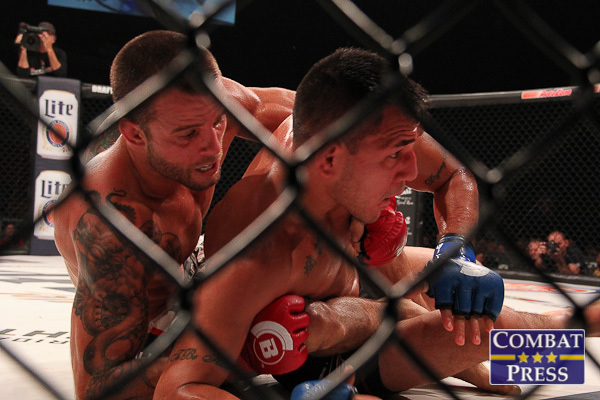 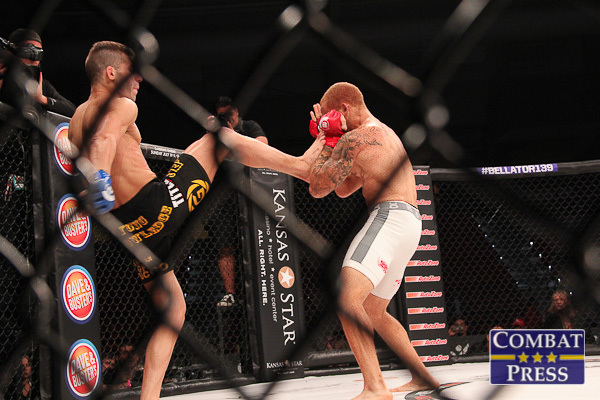 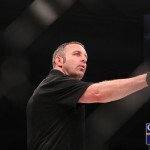 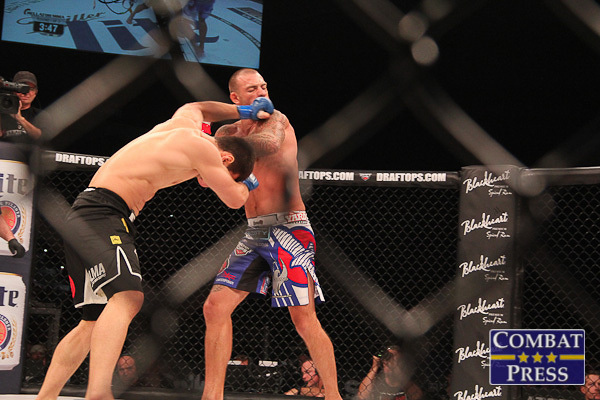 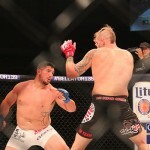 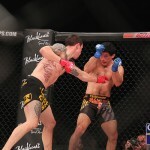 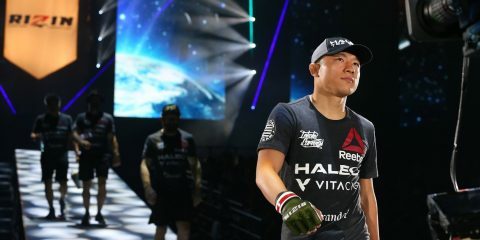 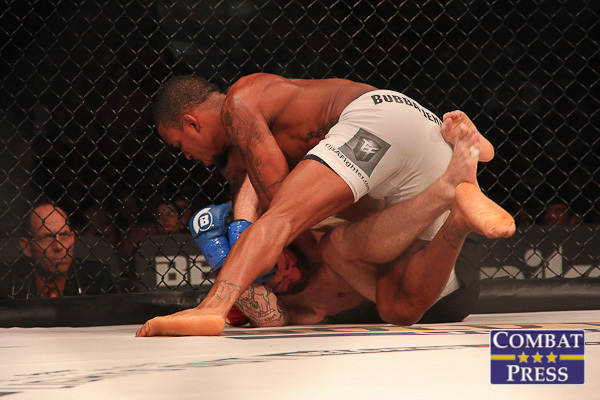 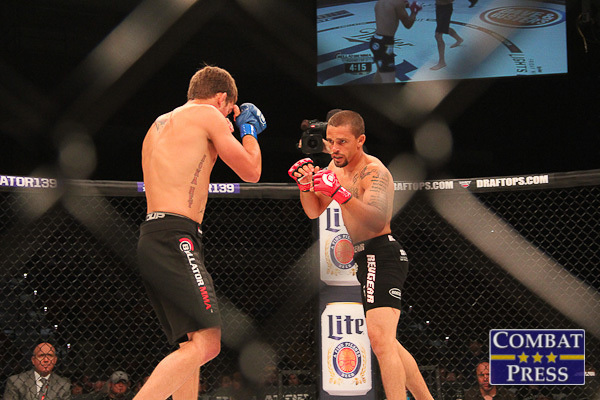 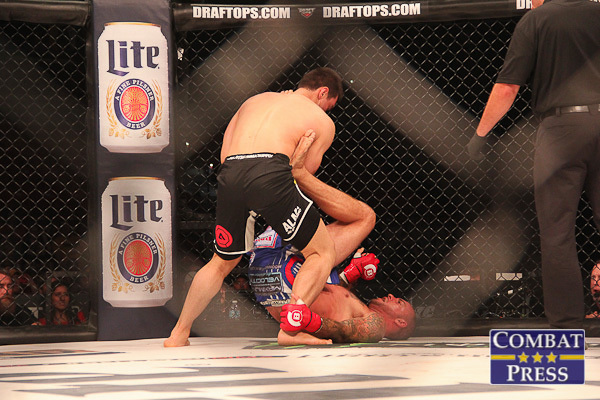 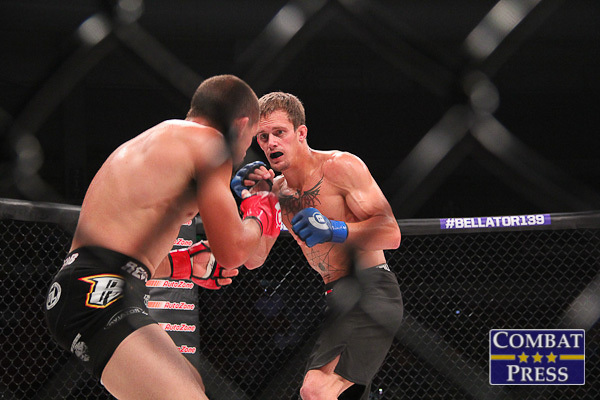 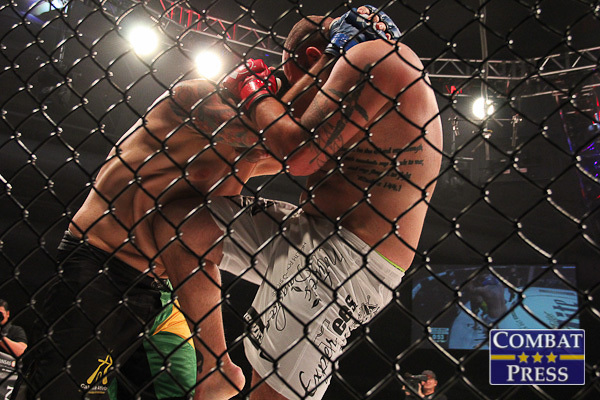 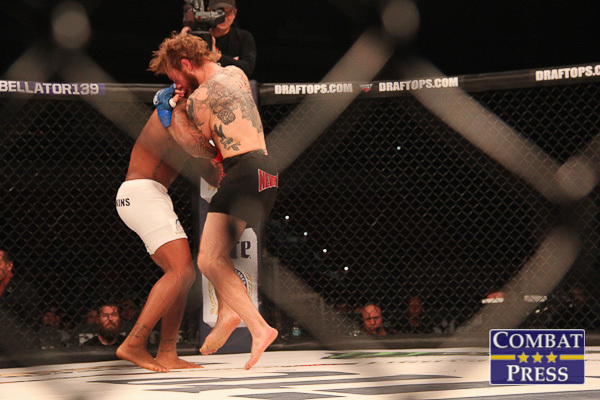 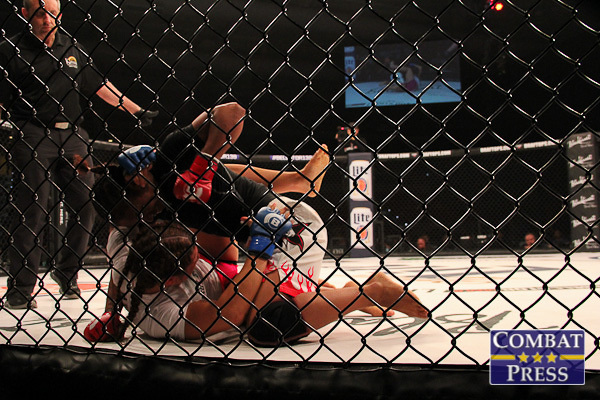 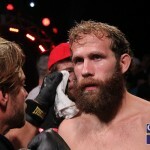 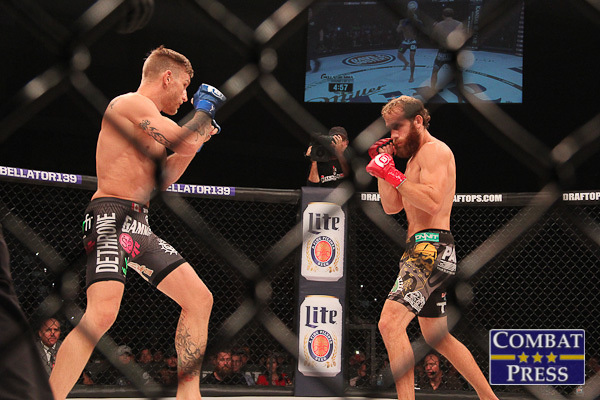 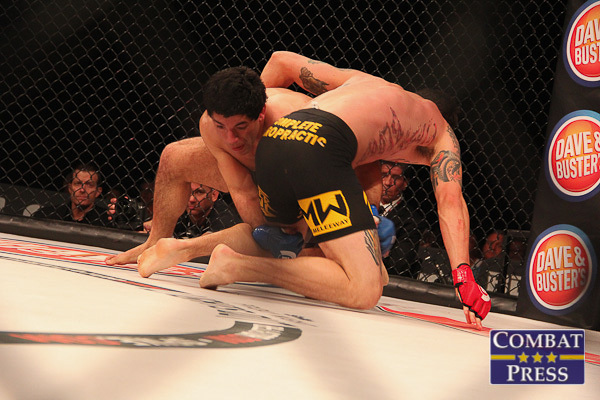 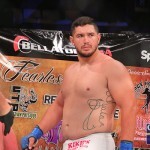 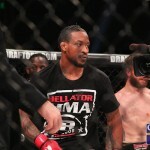 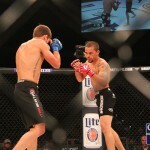 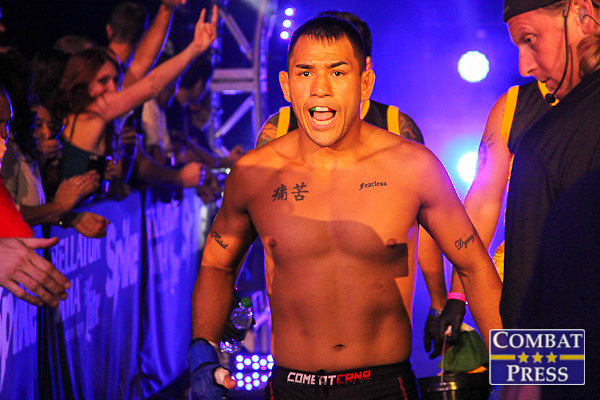 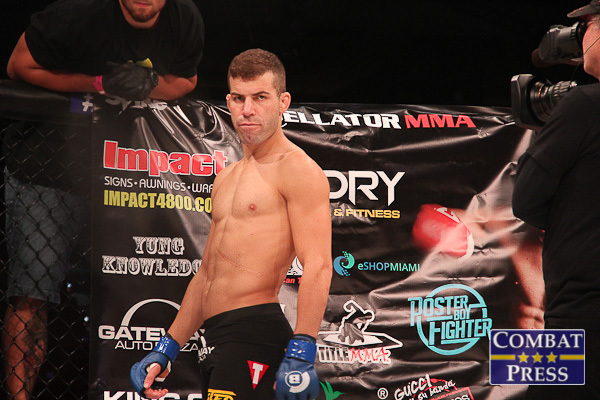 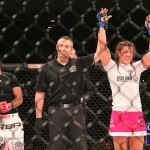 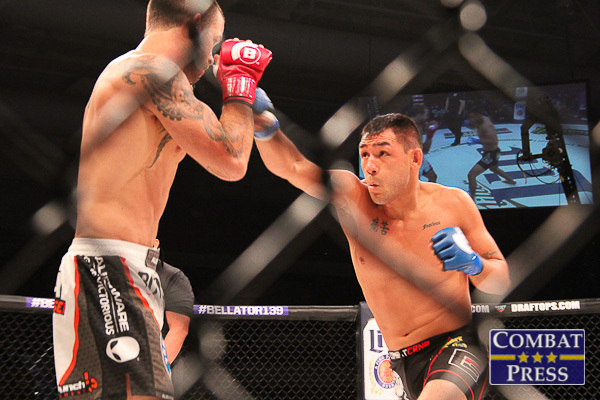 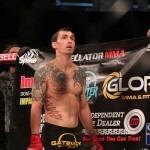 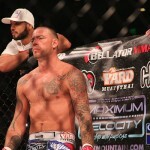 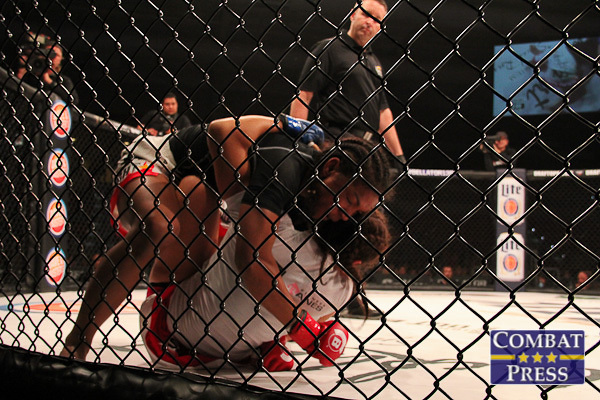 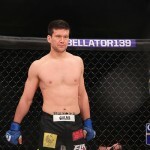 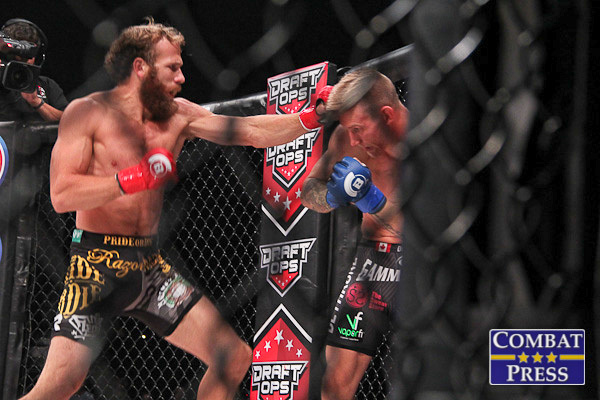 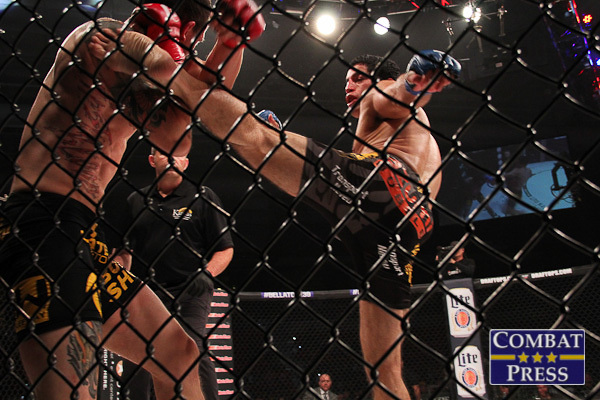 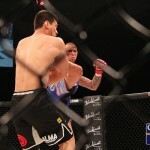 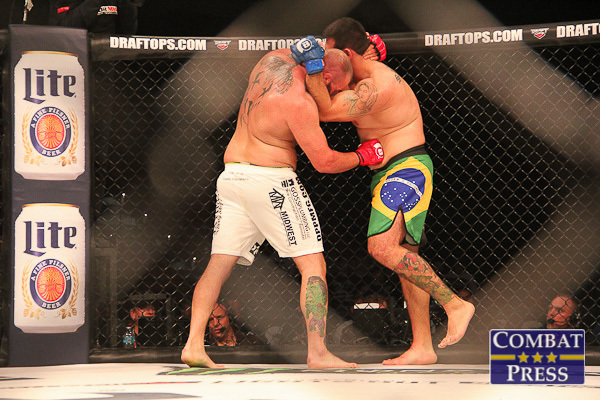 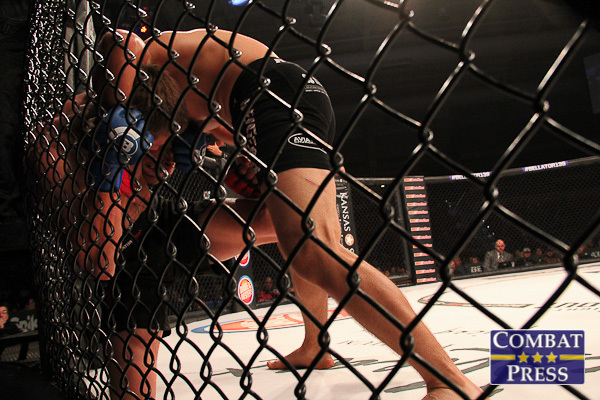 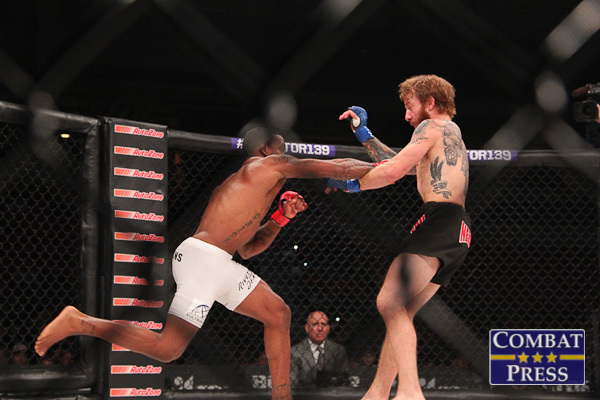 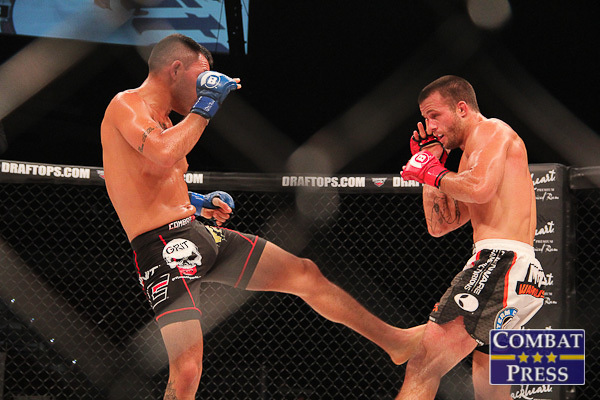 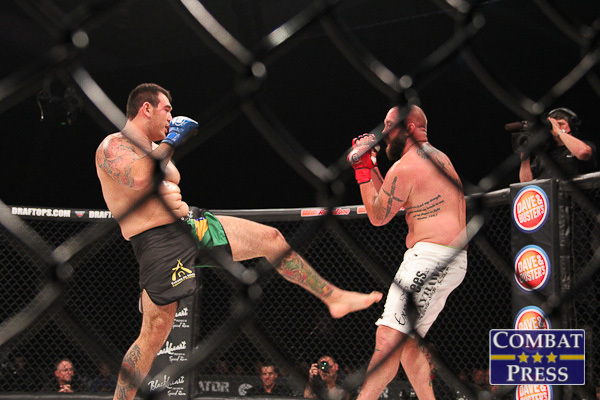 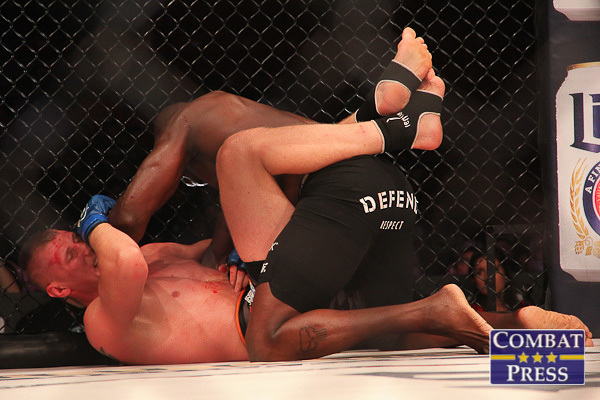 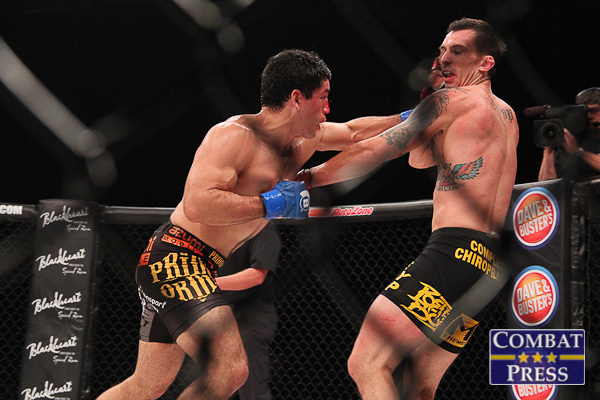 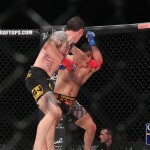 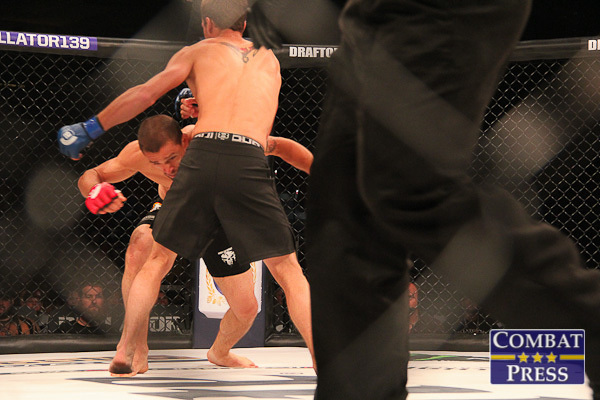 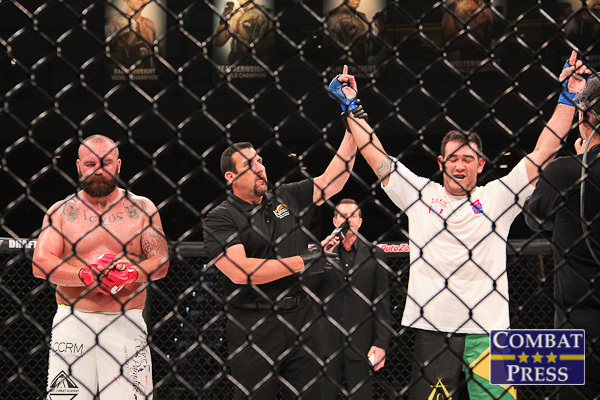 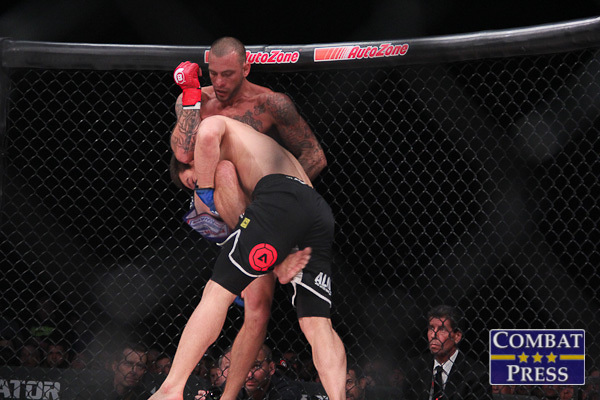 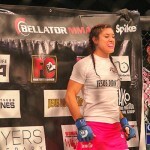 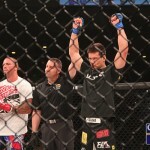 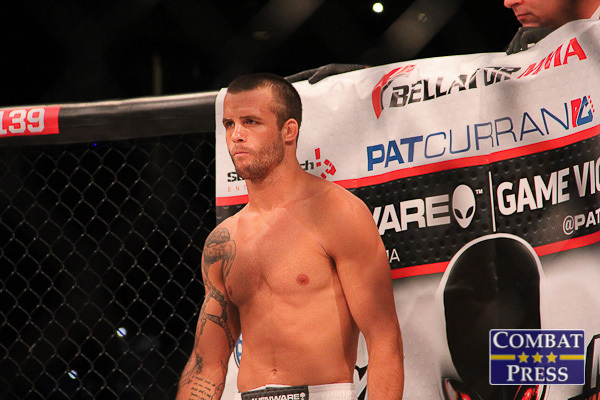 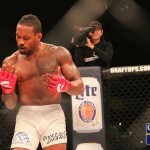 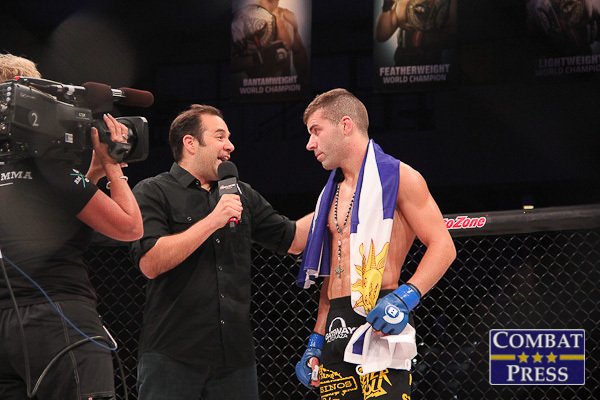 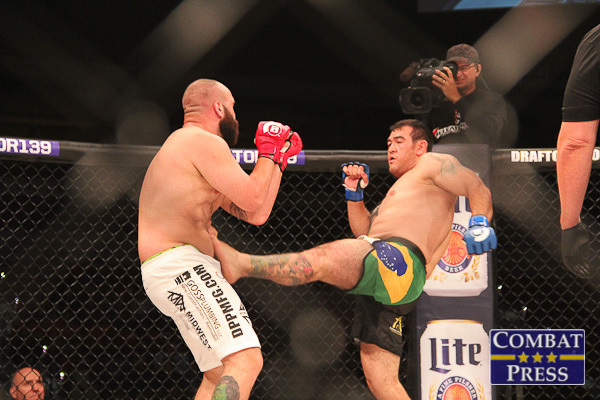 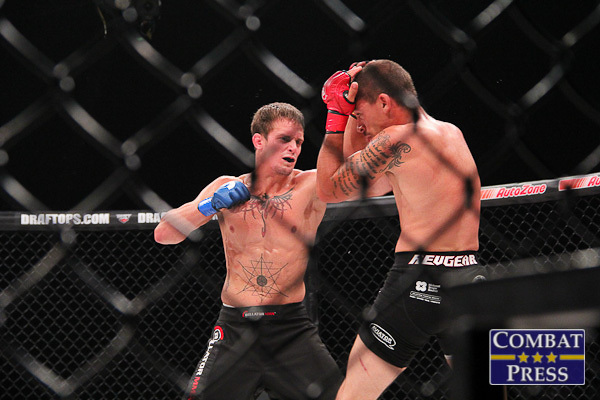 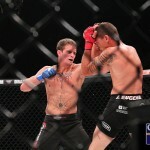 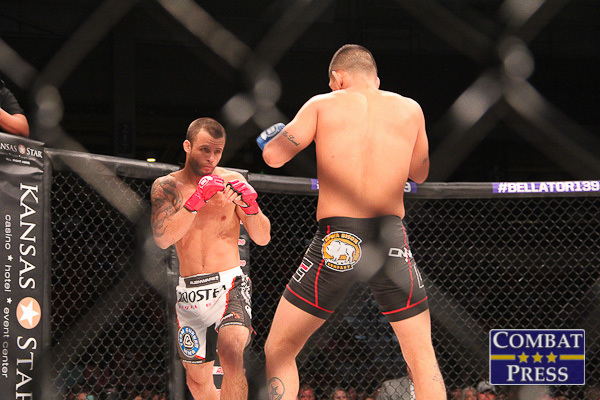 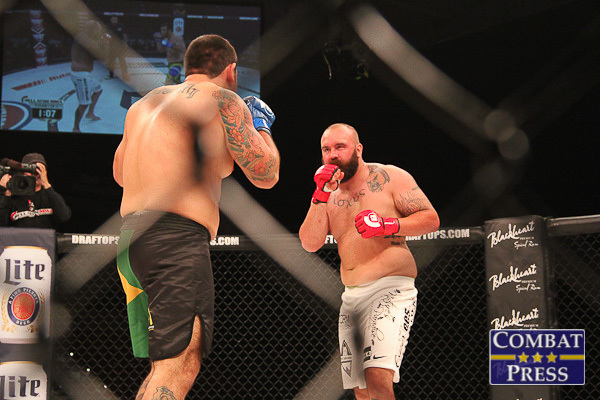 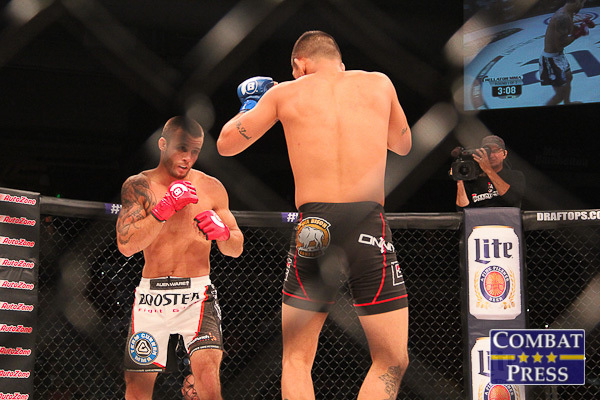 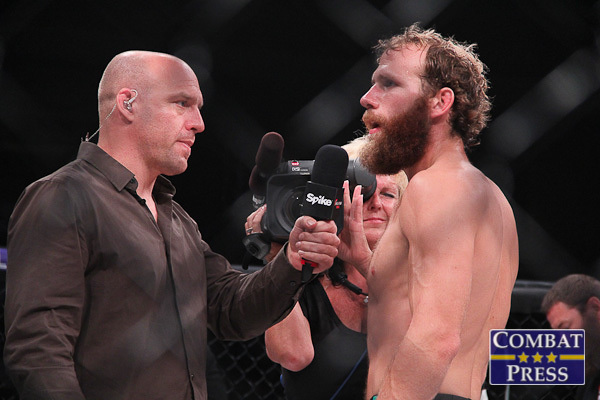 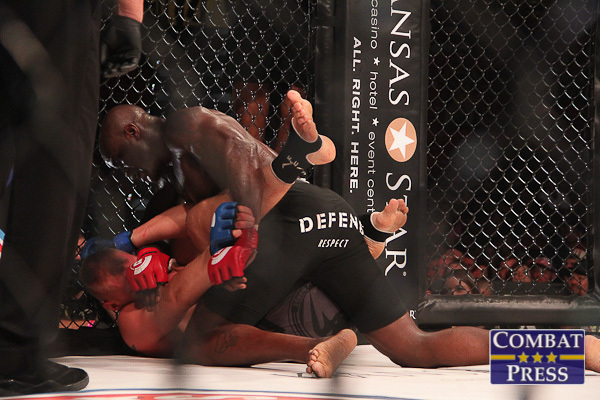 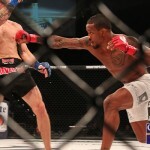 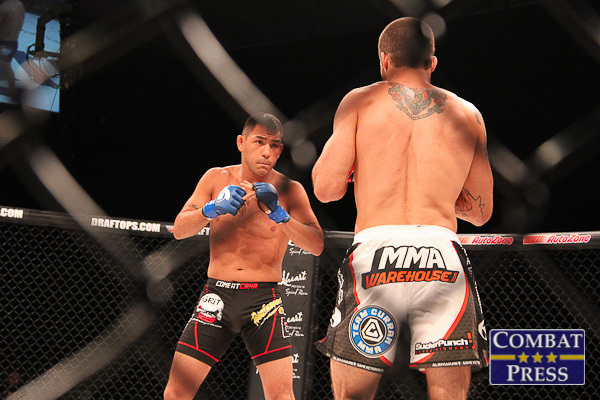 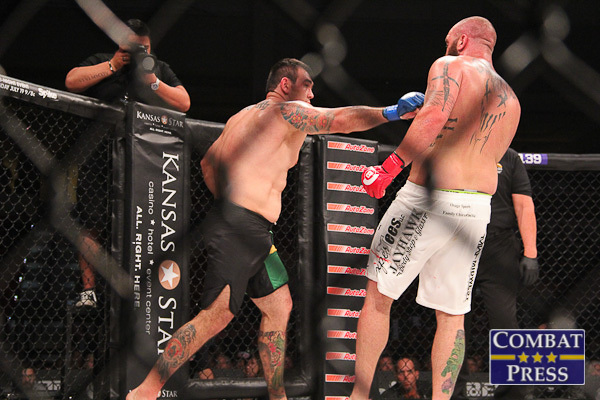 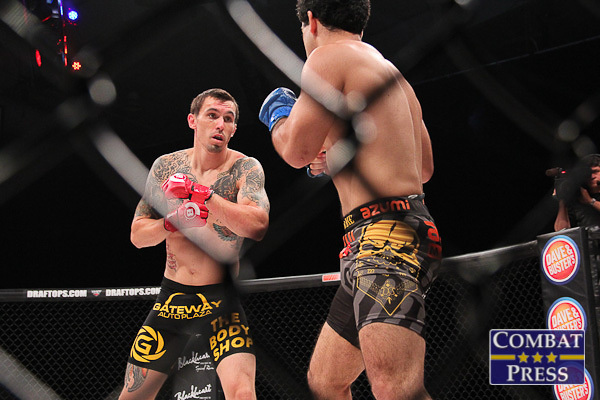 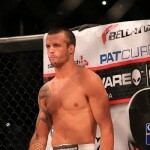 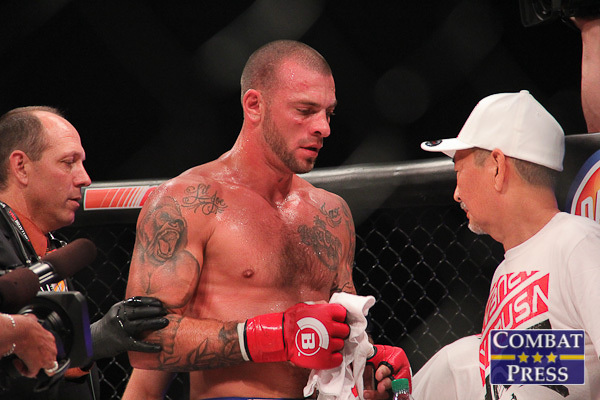 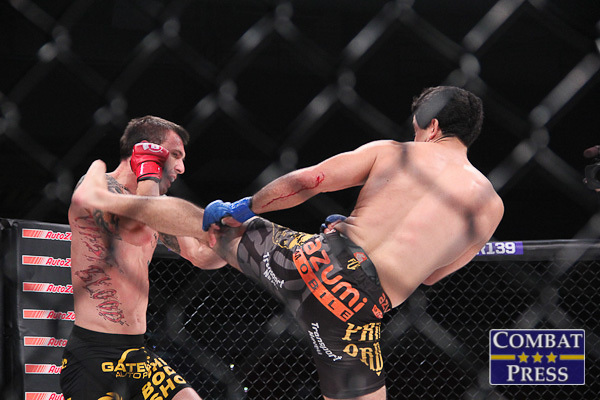 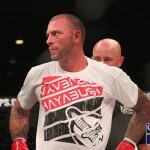 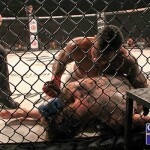 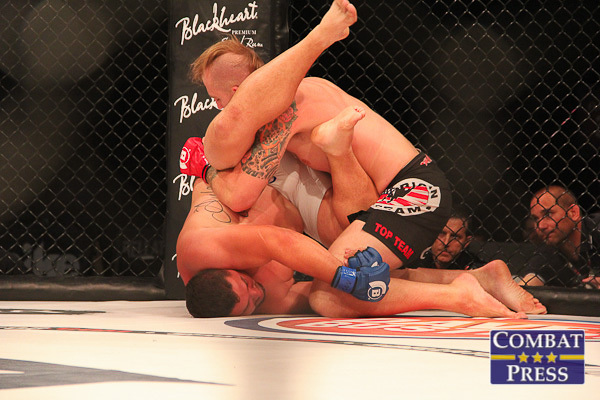 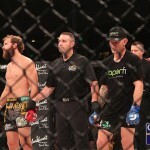 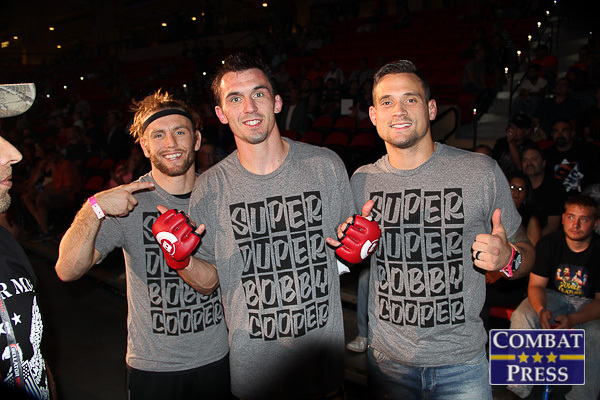 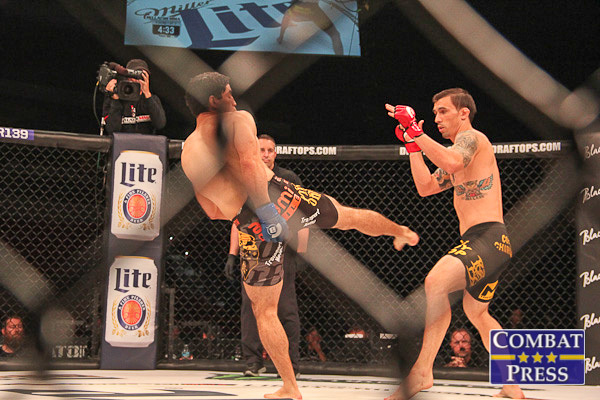 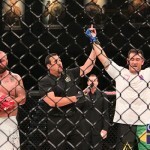 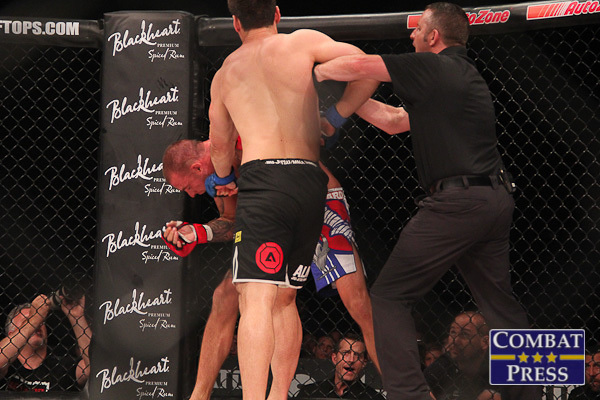 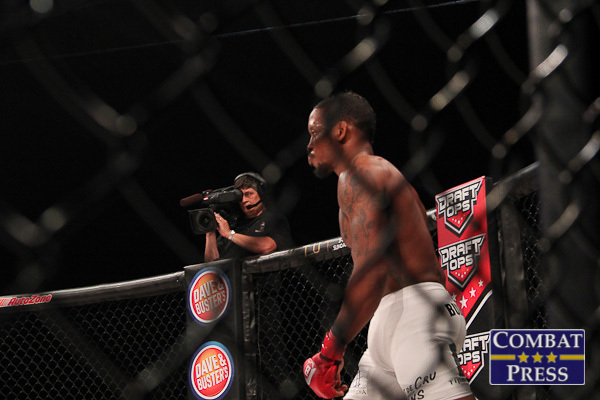 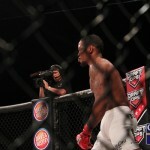 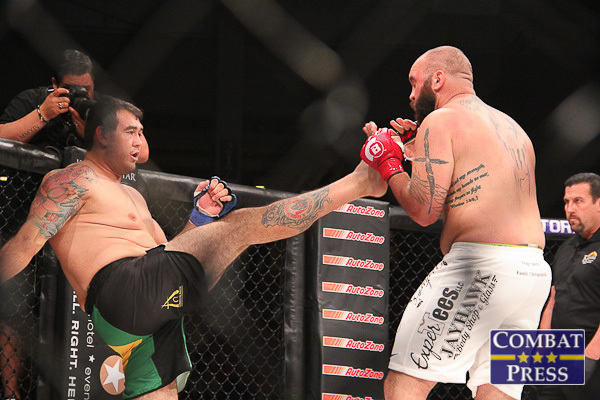 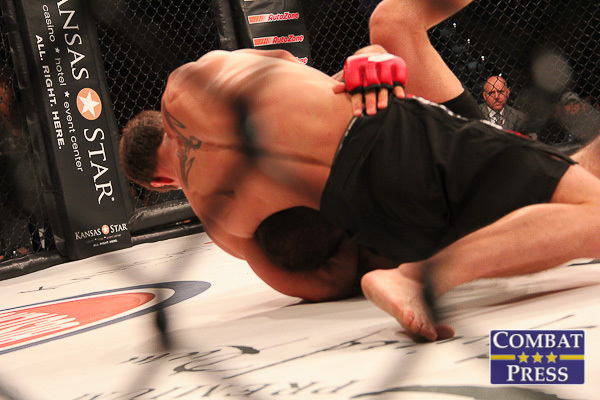 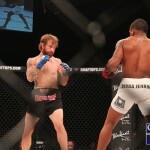 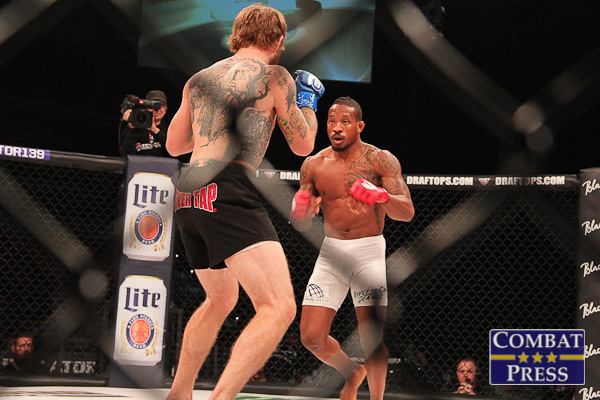 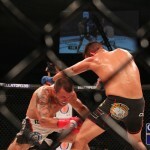 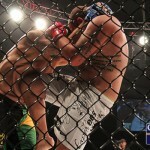 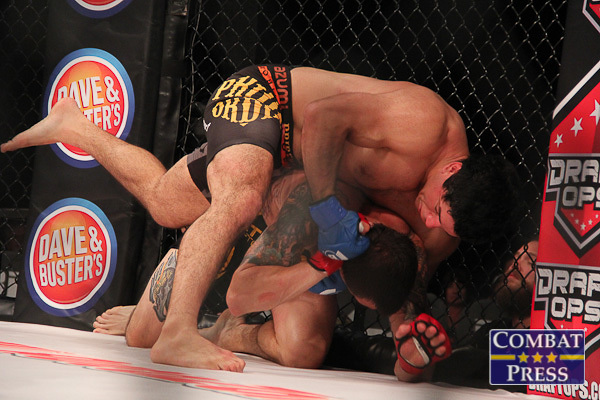 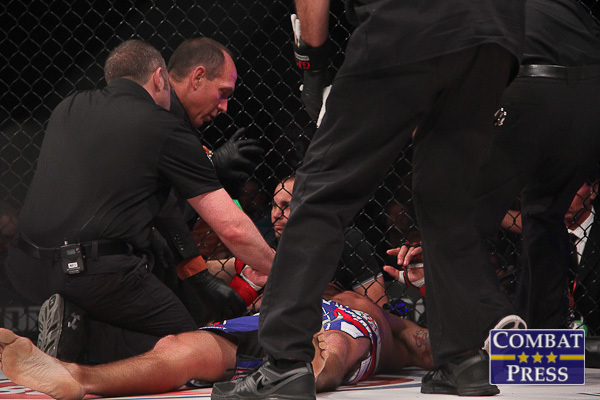 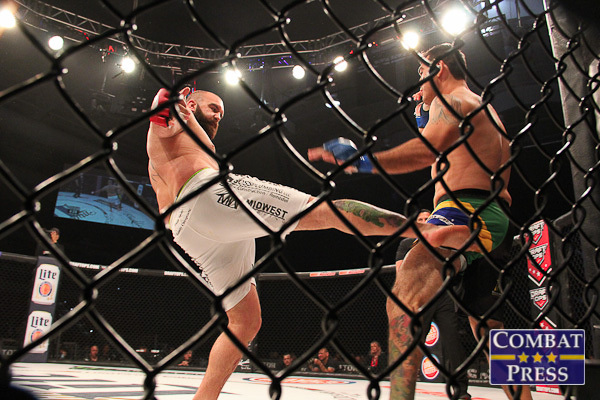 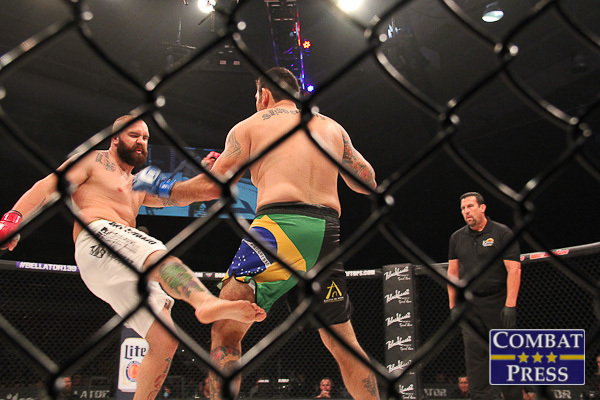 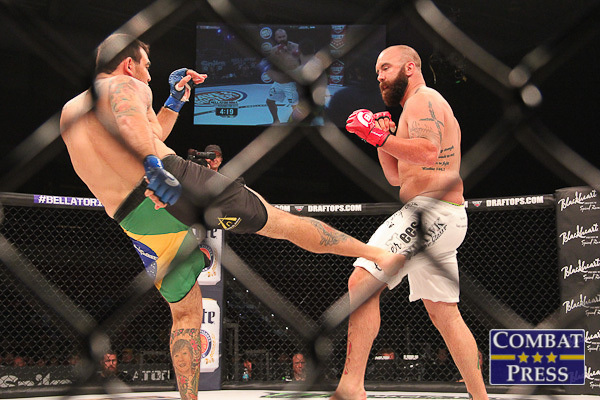 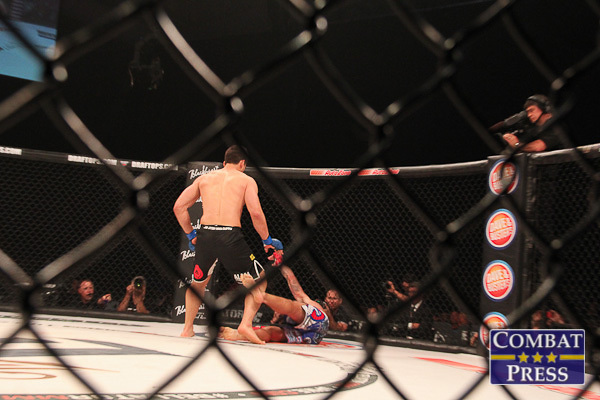 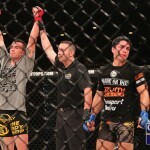 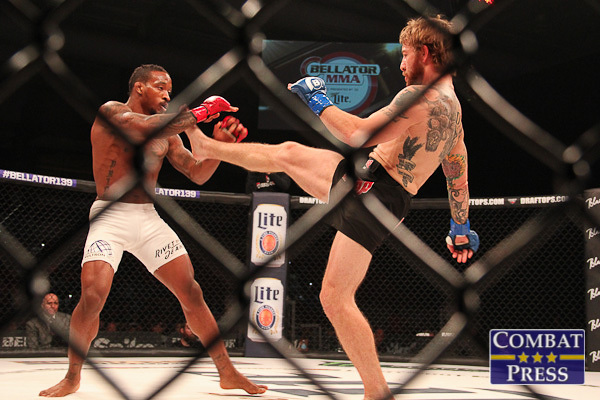 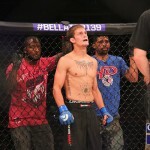 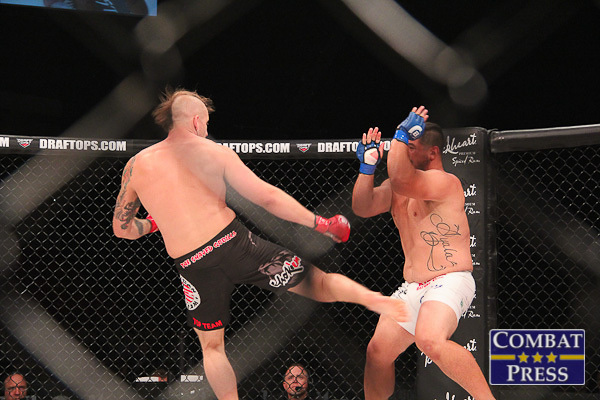 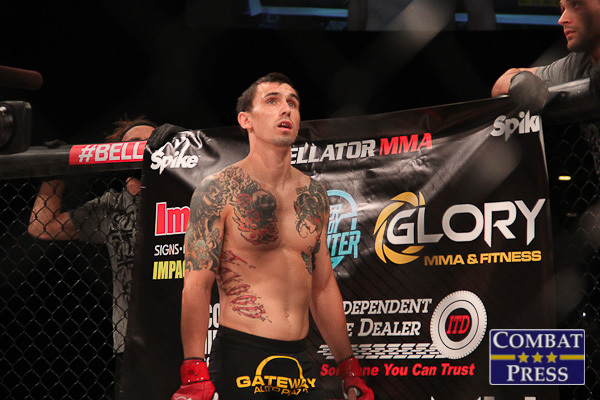 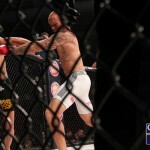 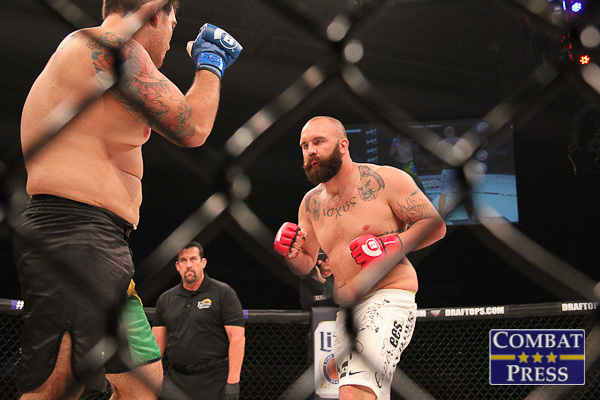 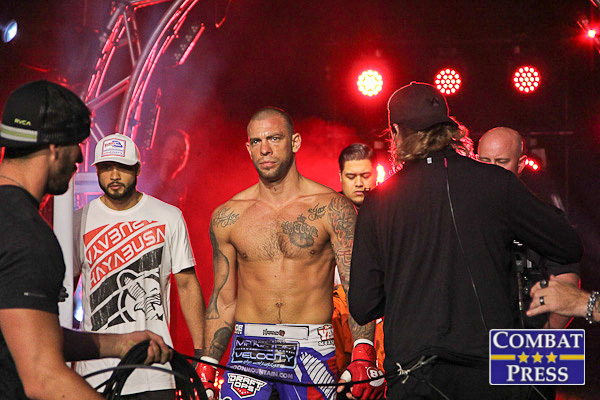 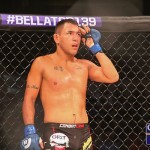 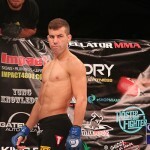 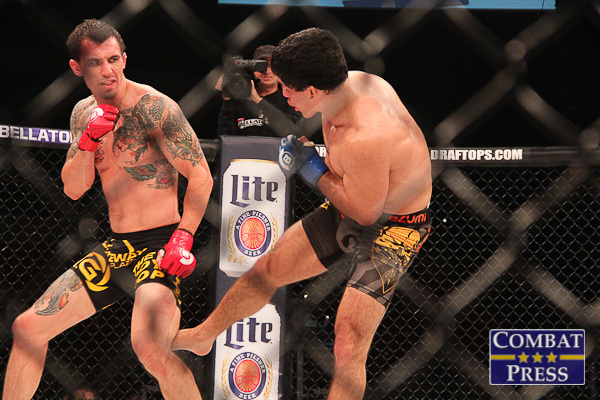 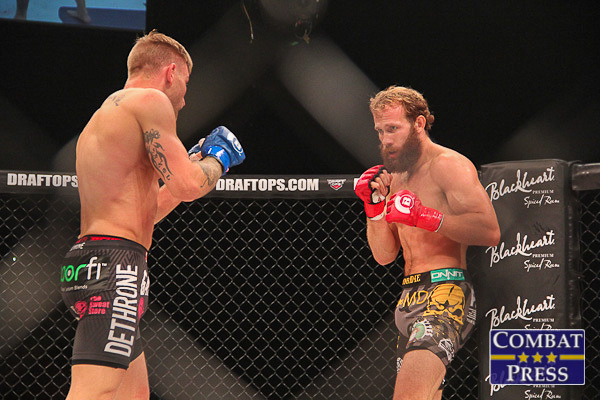 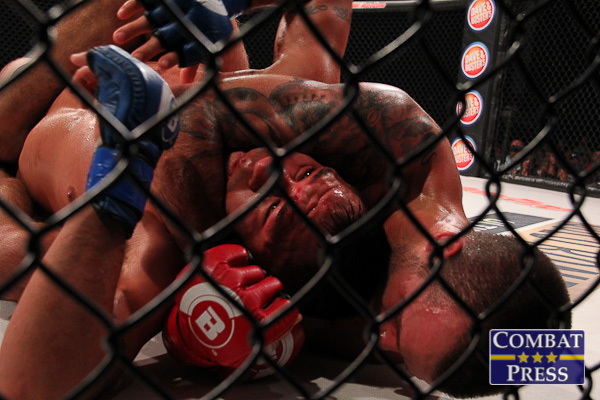 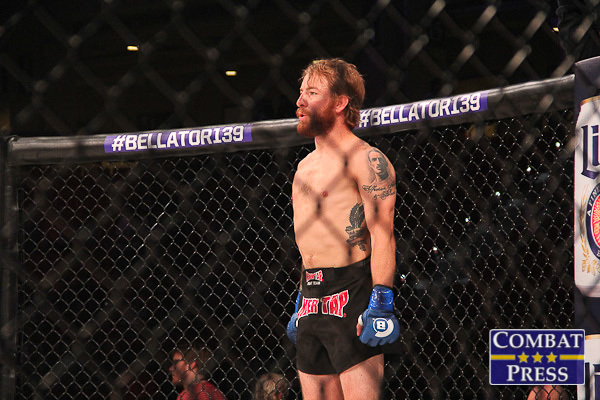 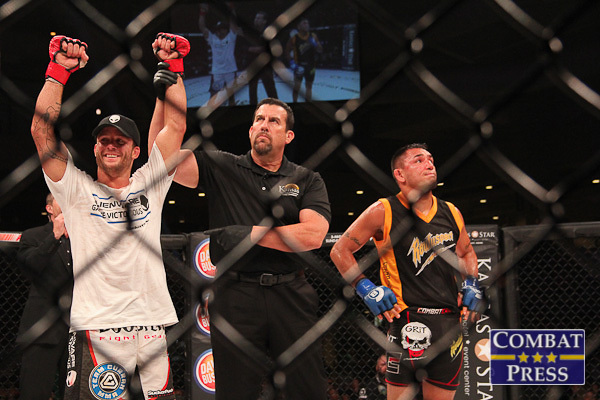 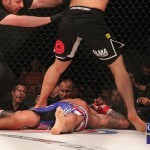 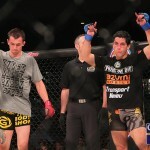 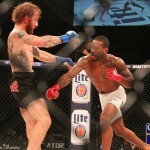 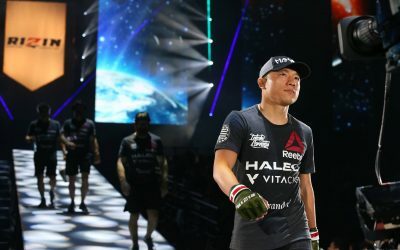 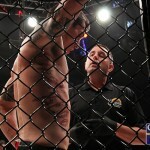 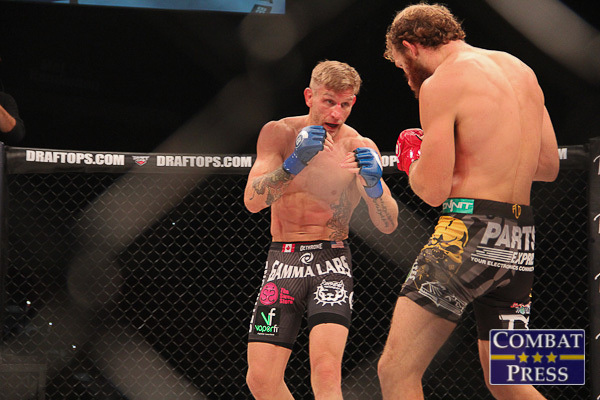 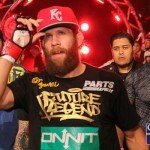 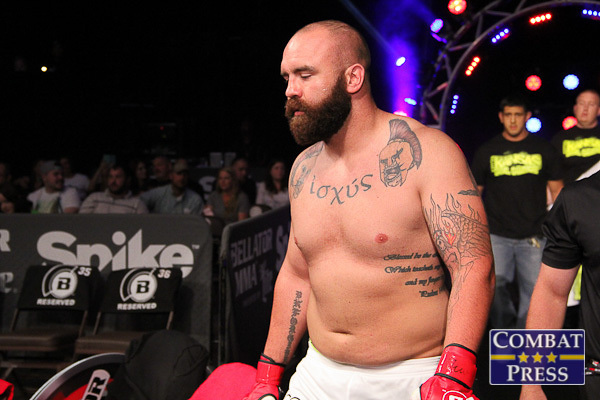 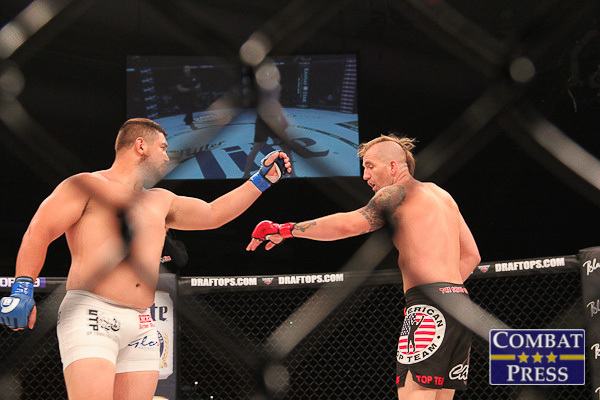 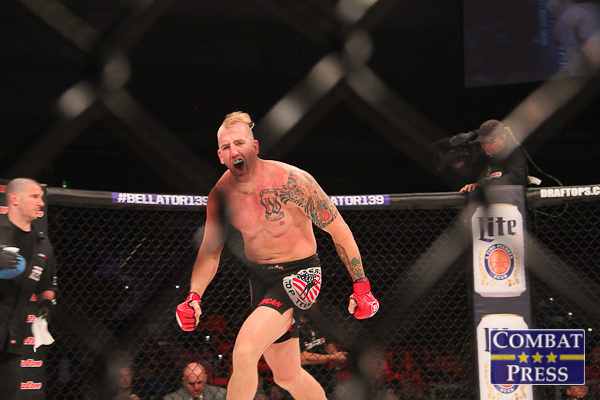 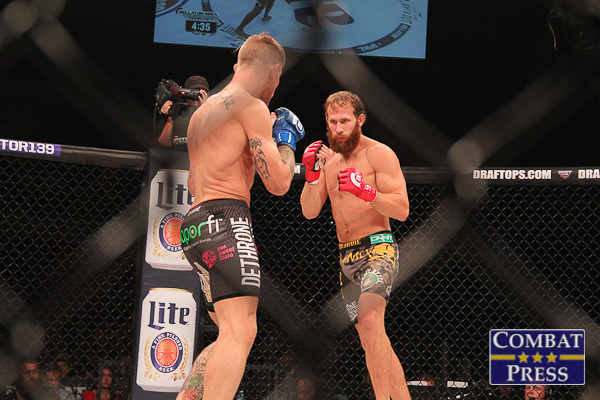 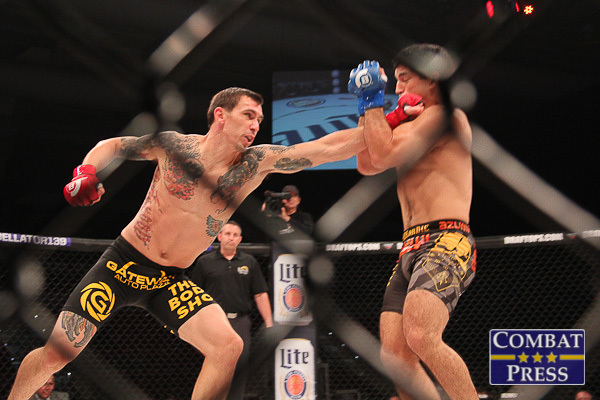 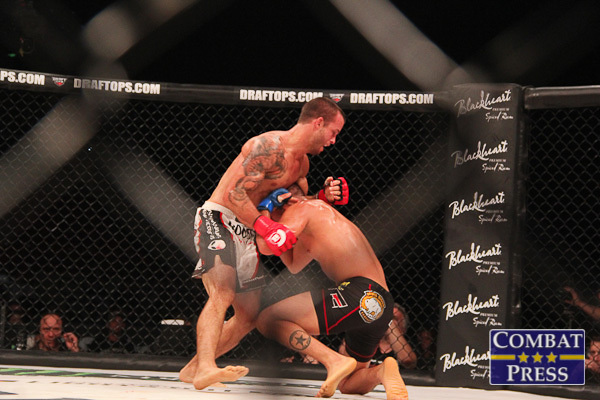 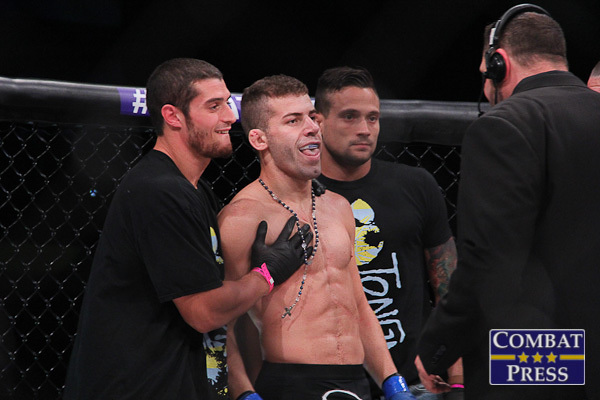 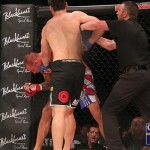 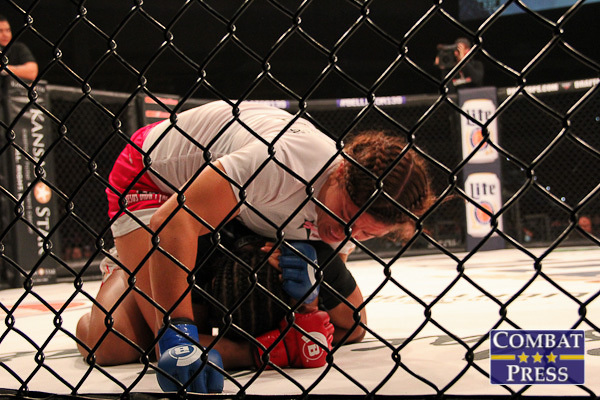 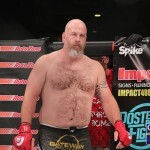 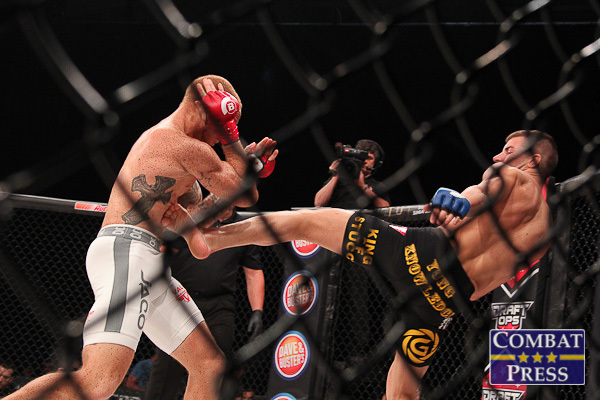 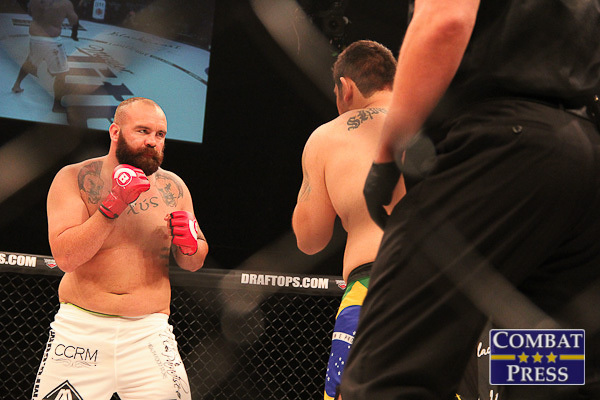 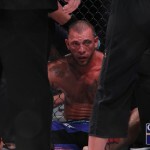 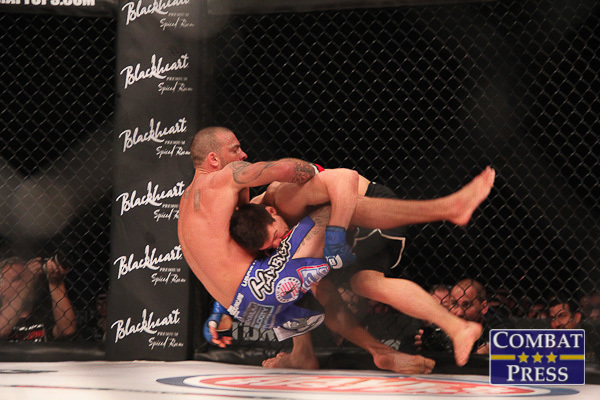 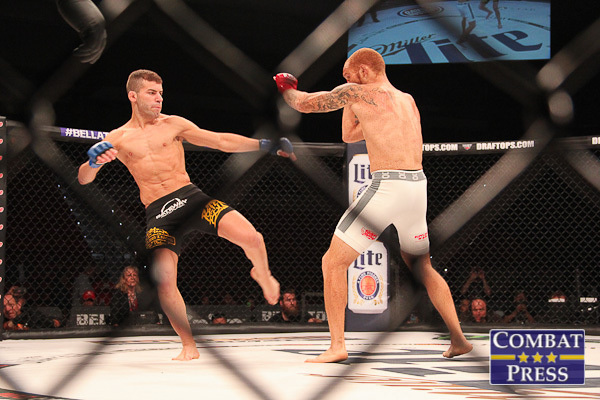 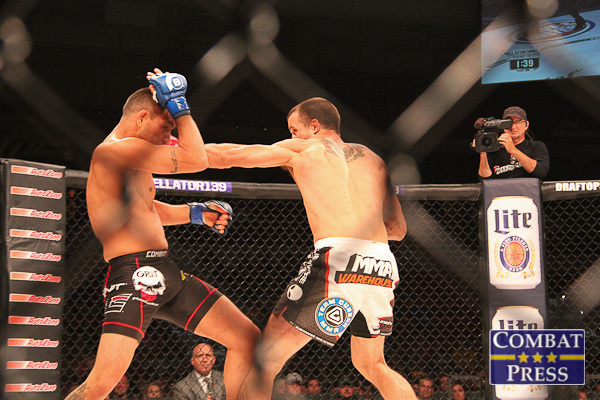 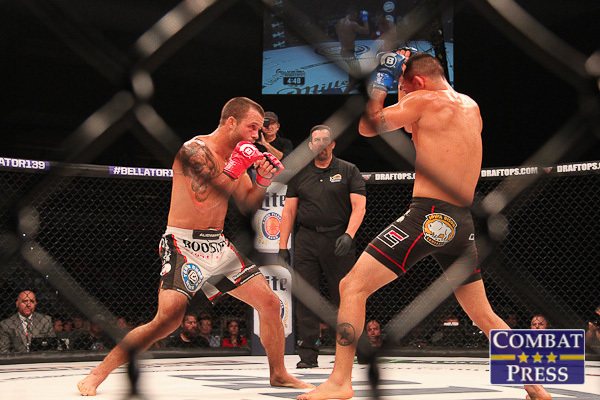 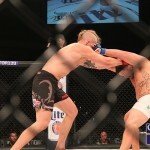 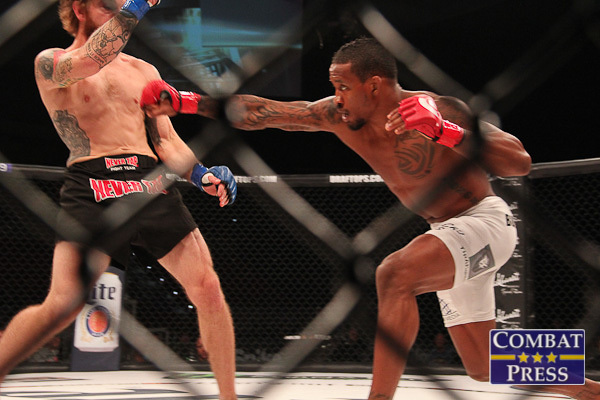 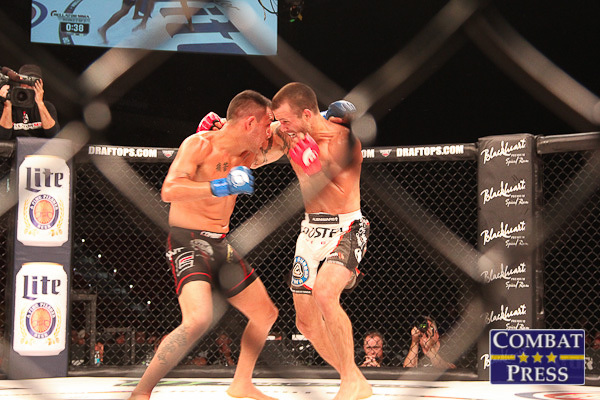 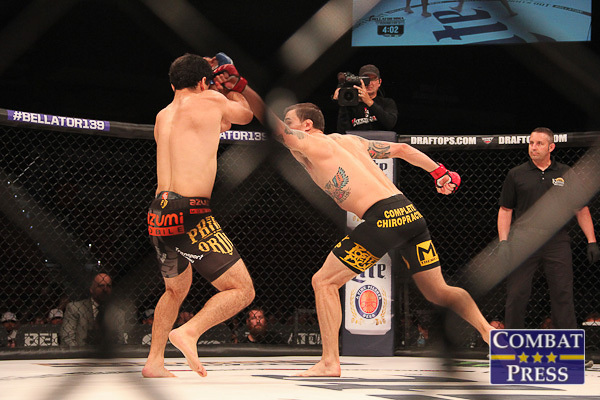 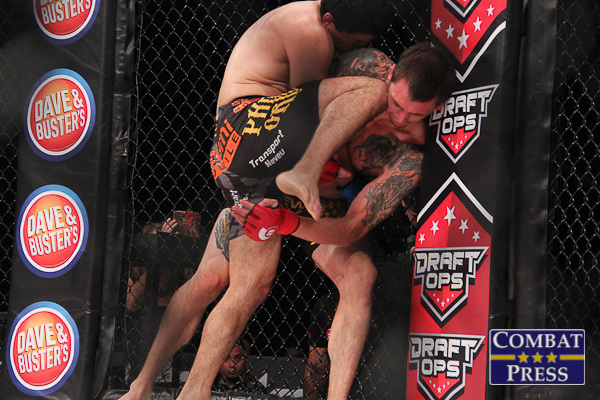 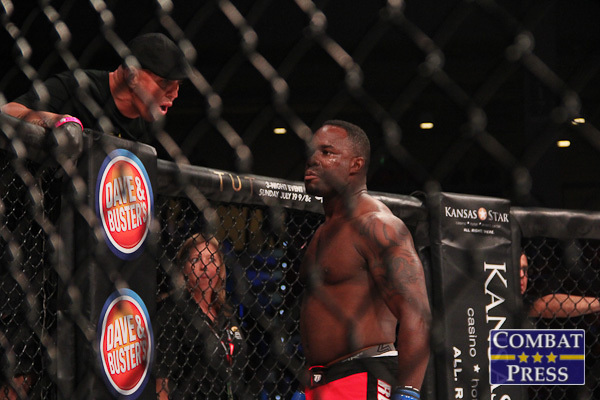 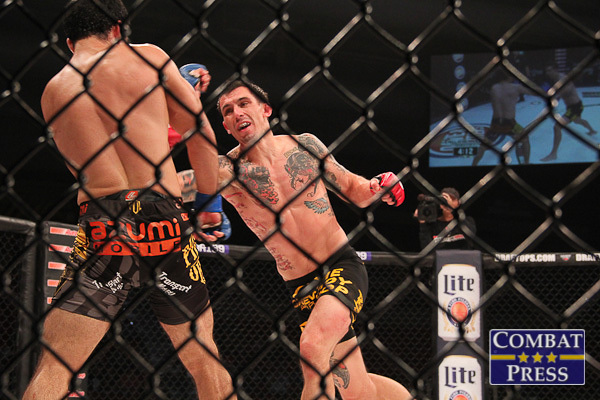 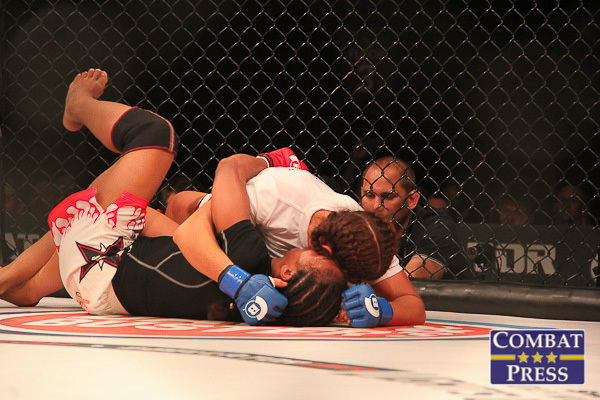 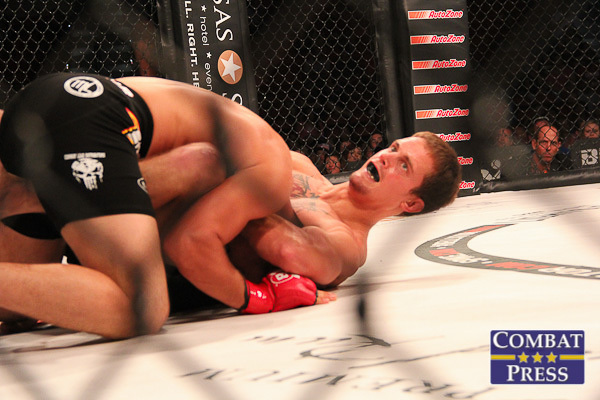 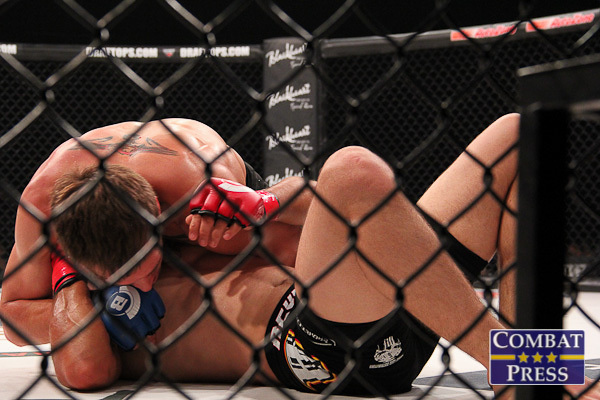 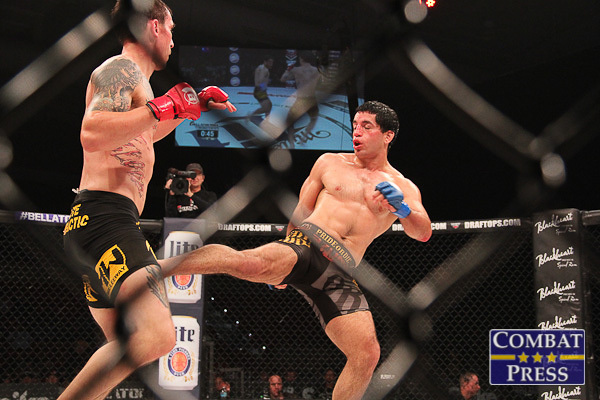 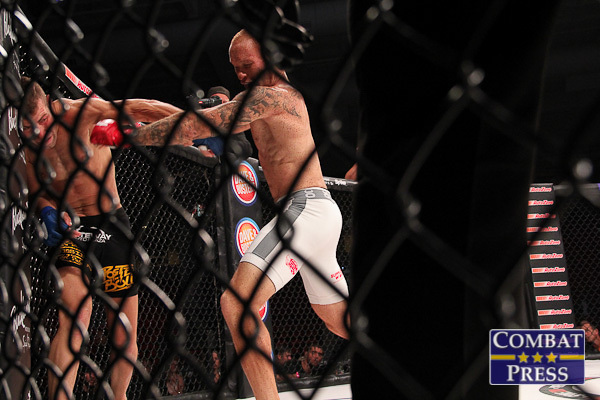 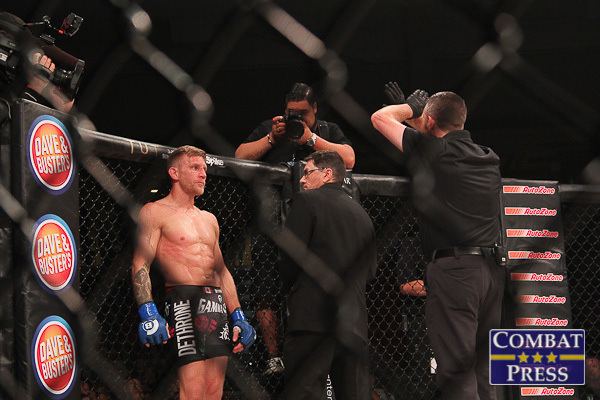 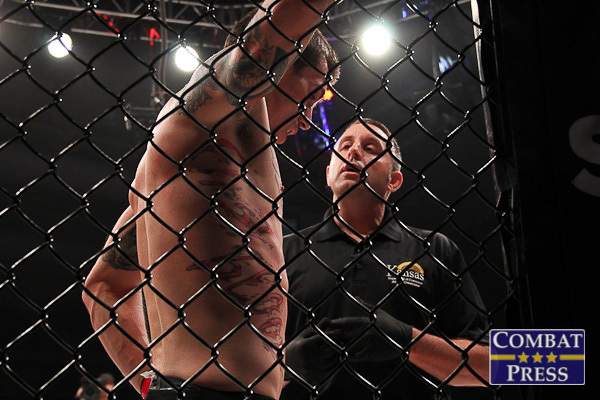 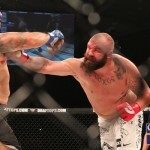 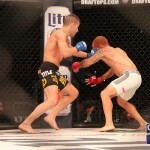 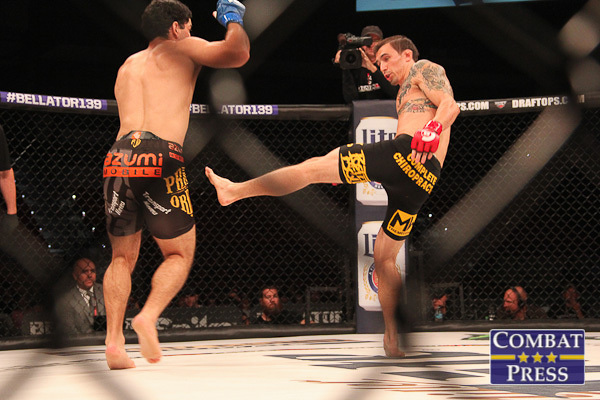 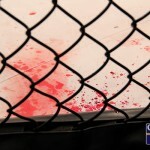 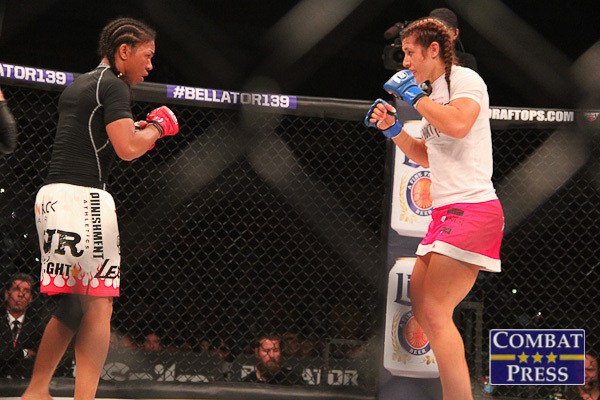 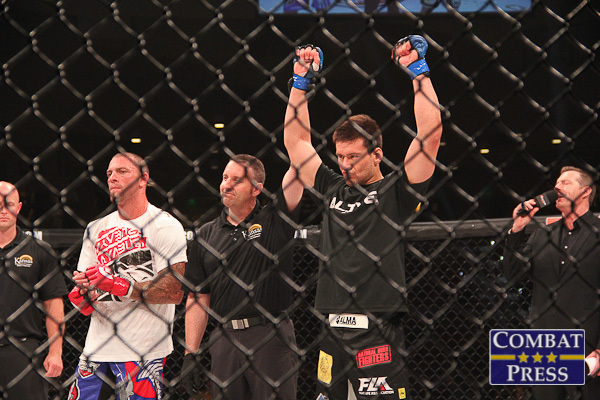 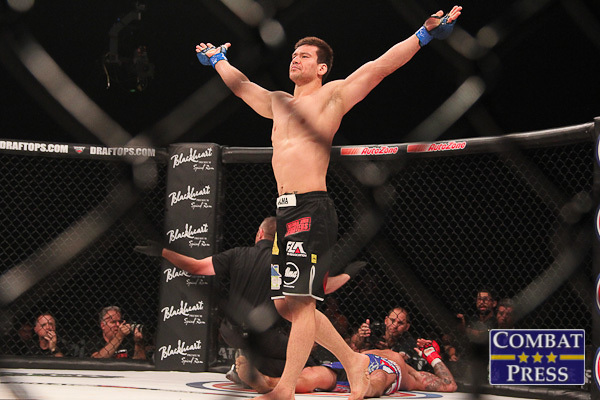 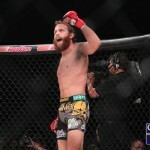 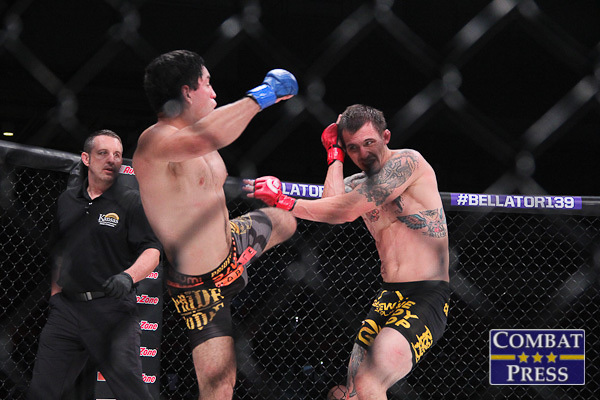 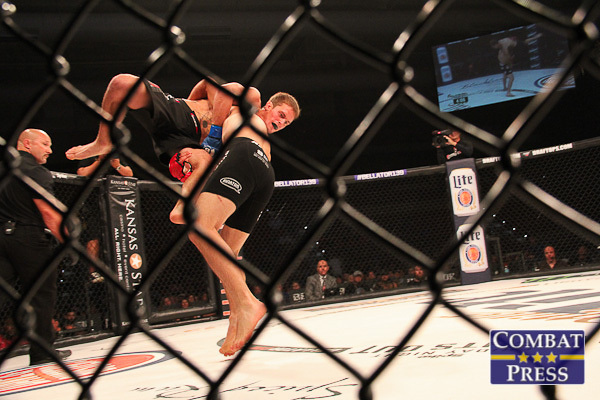 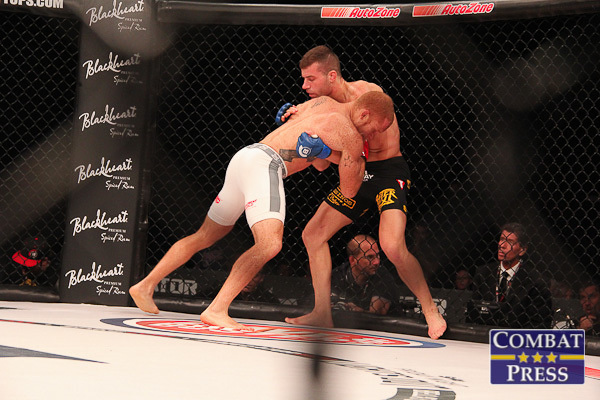 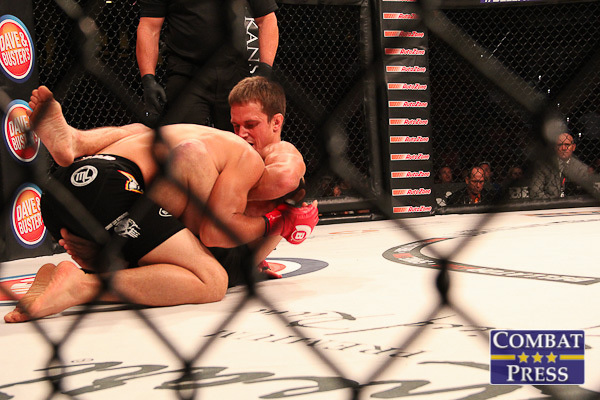 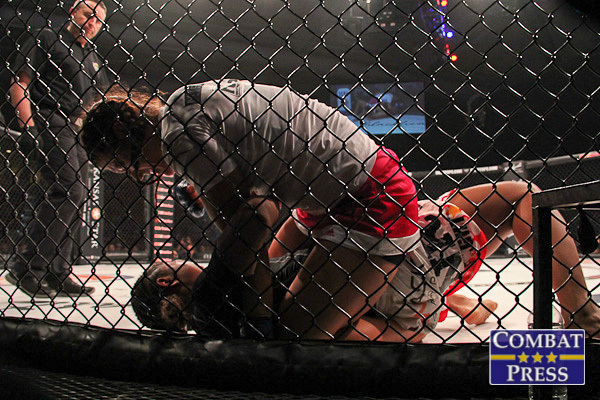 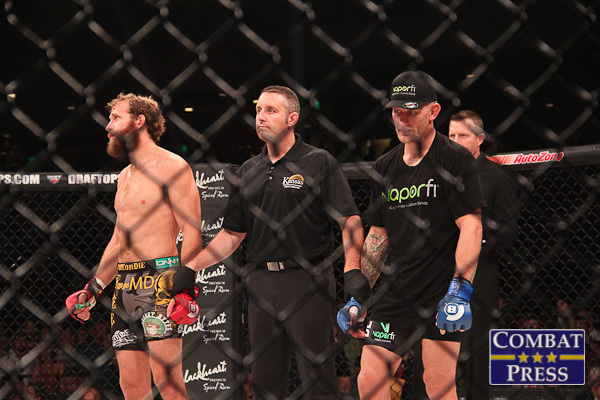 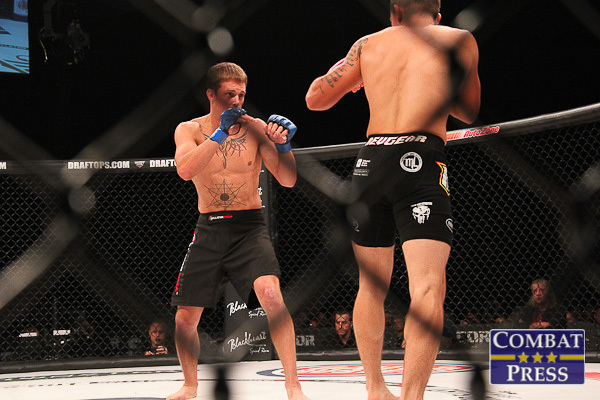 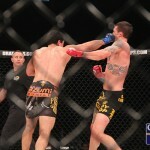 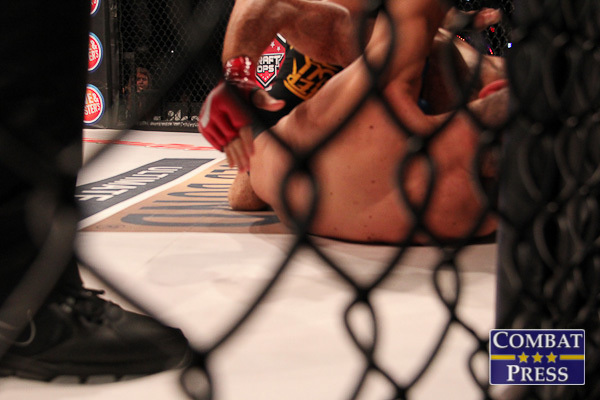 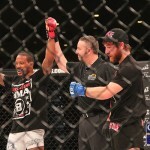 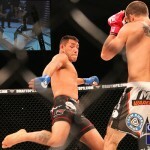 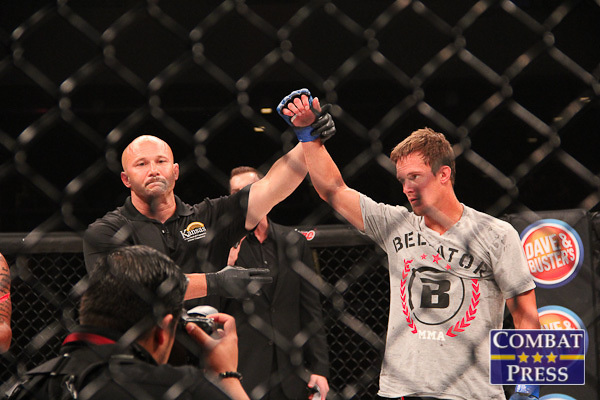 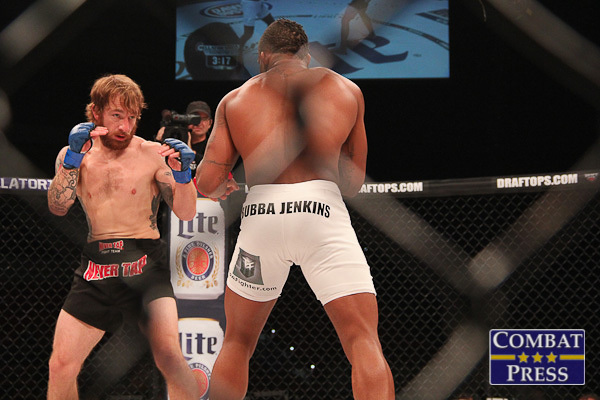 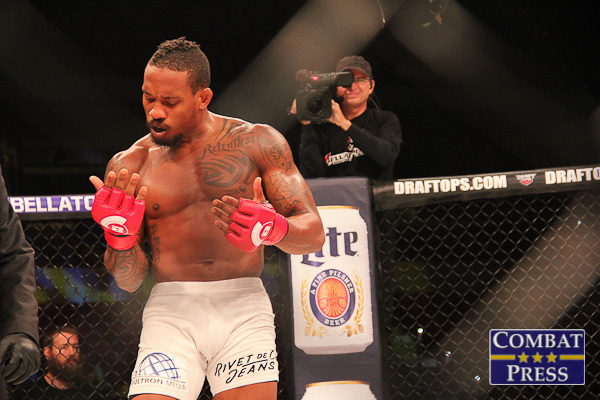 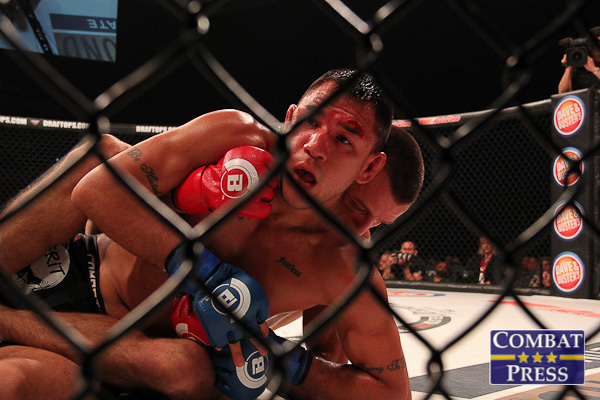 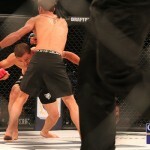 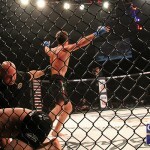 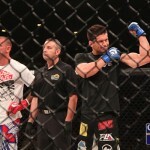 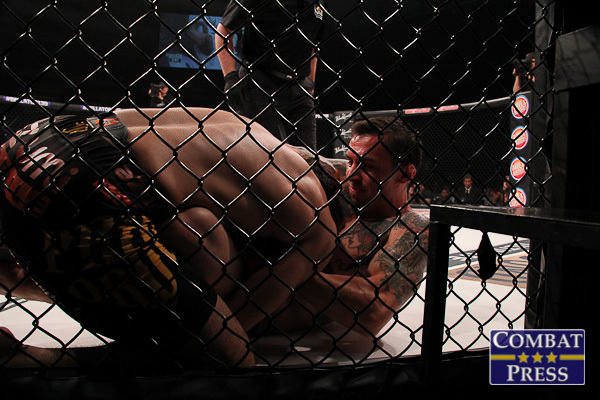 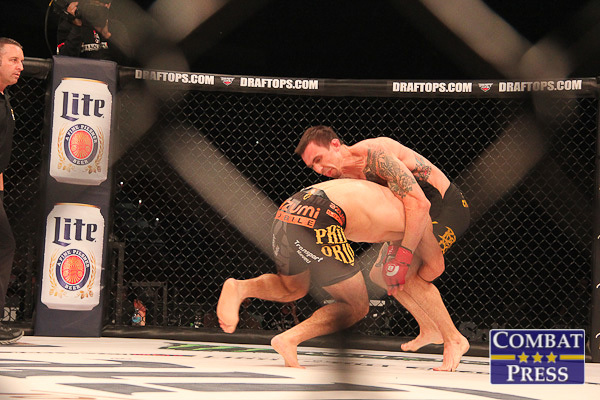 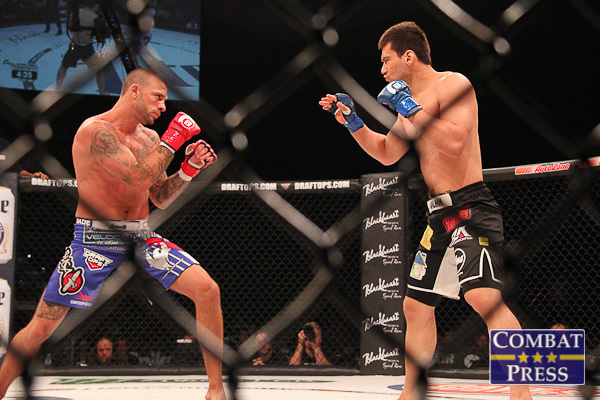 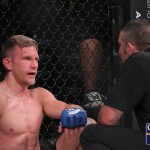 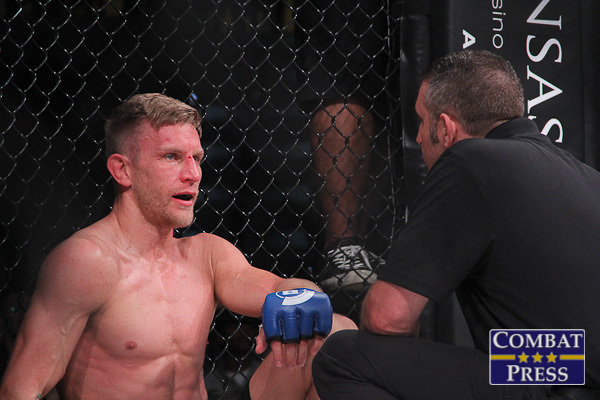 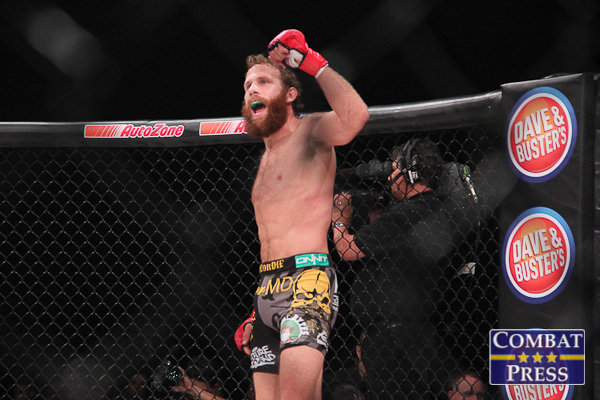 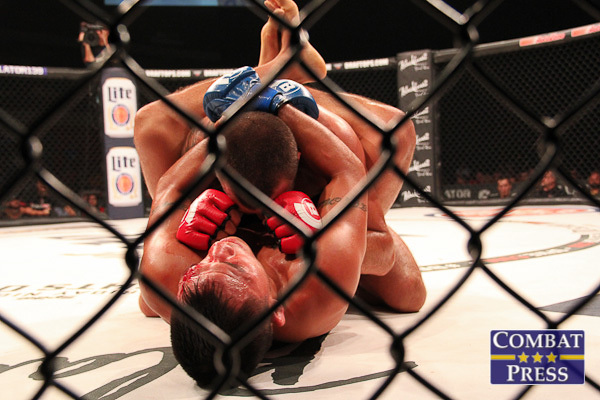 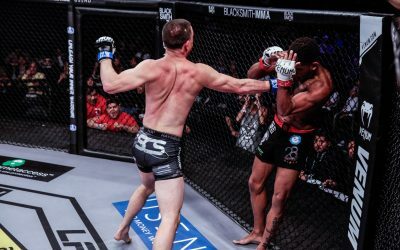 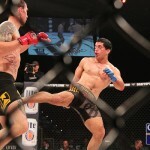 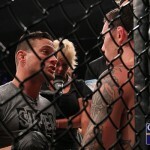 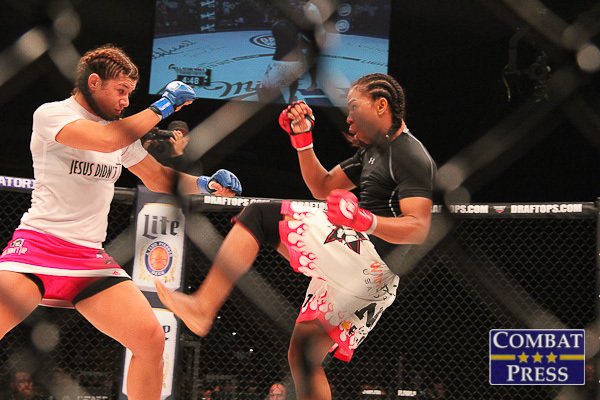 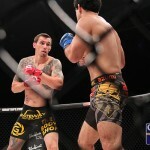 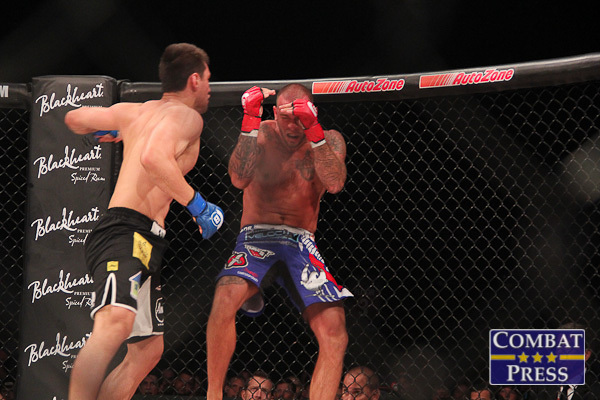 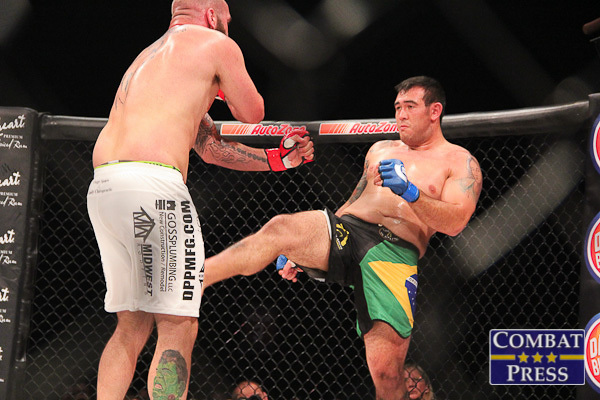 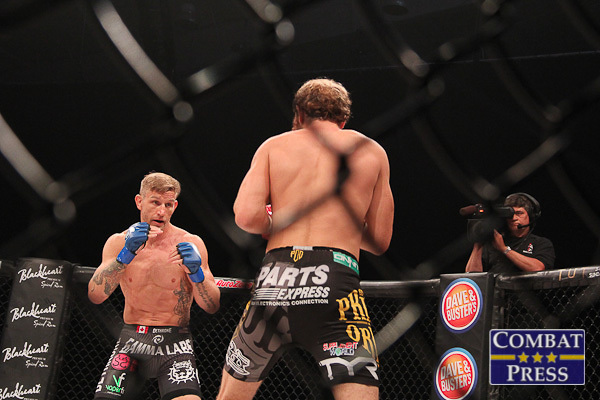 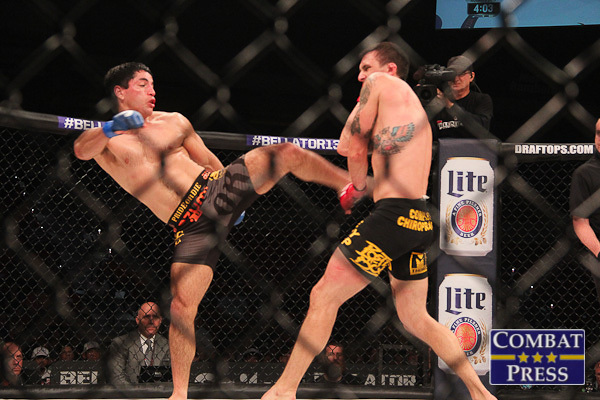 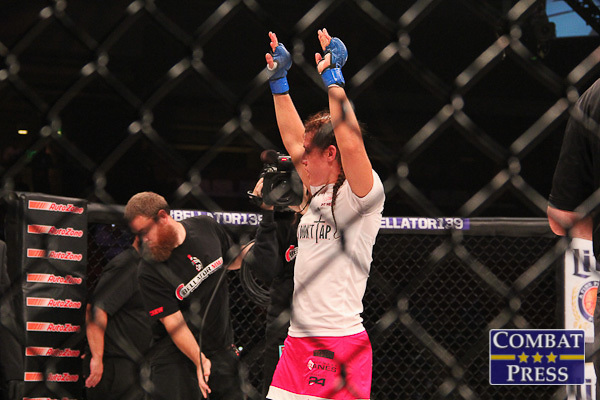 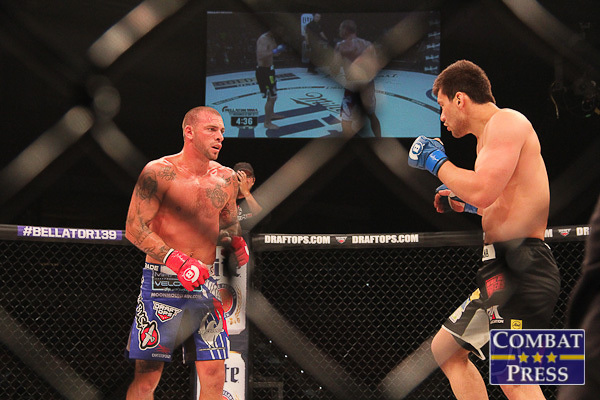 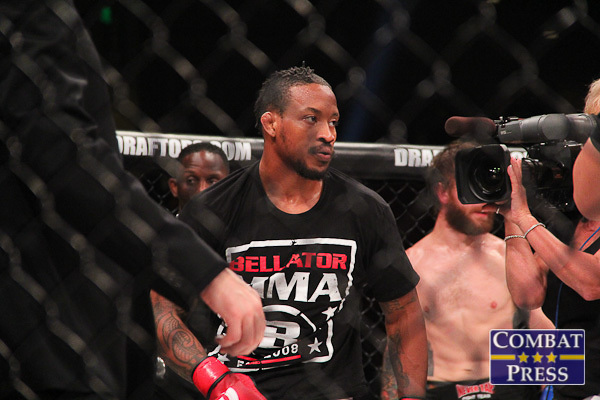 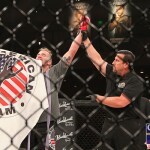 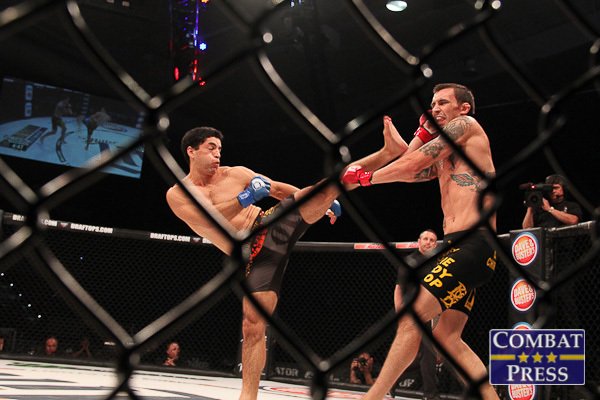 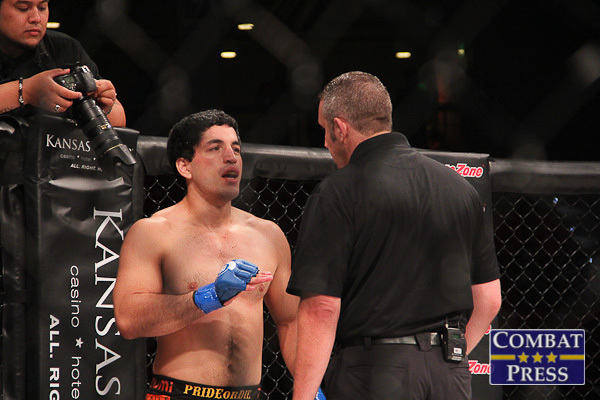 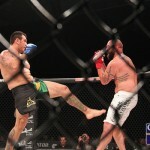 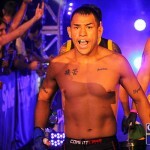 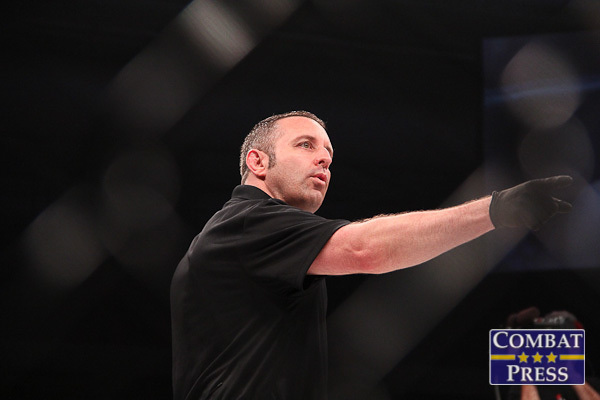 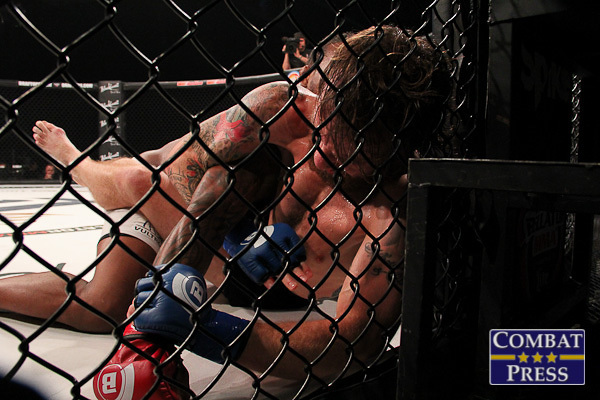 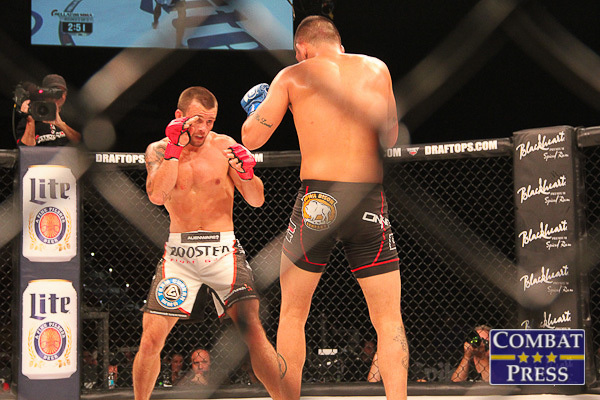 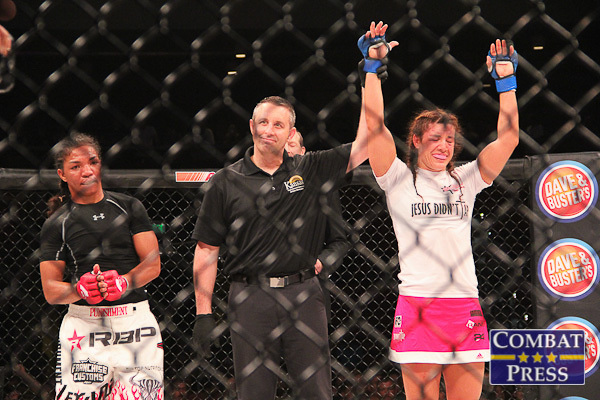 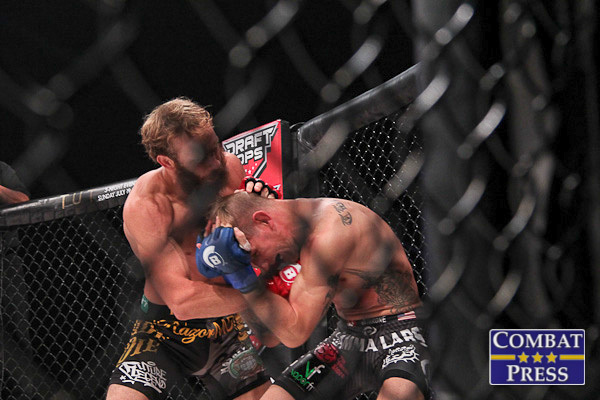 On Friday, June 26, Bellator MMA hosted its 139th event from the Kansas Star Arena in Mulvane, Kan. 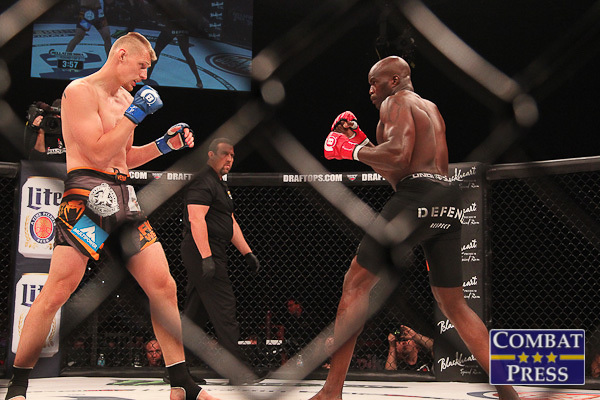 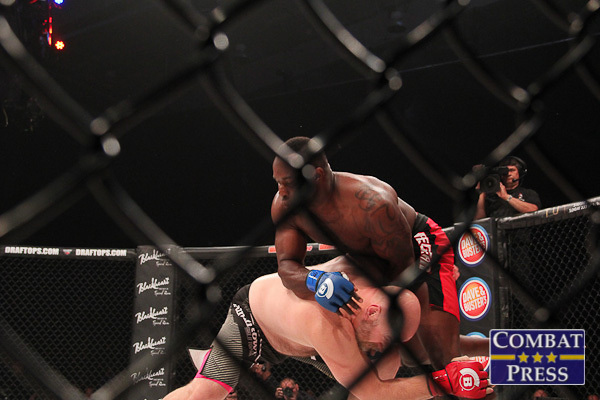 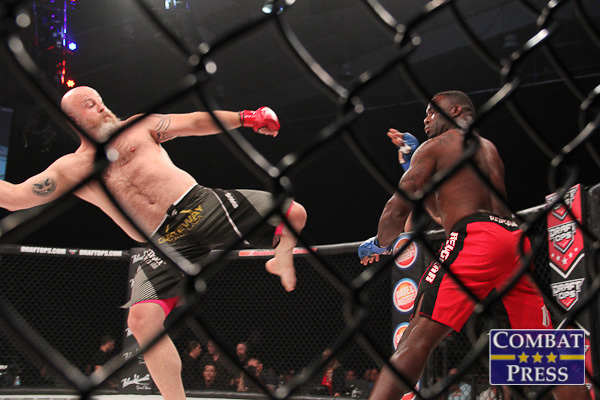 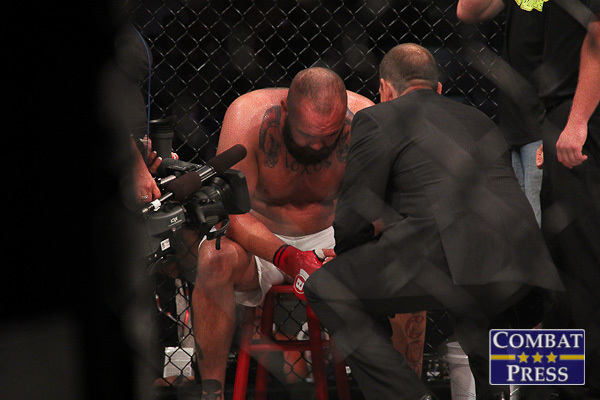 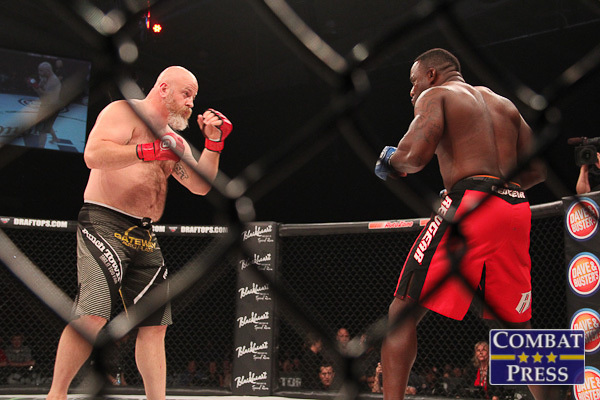 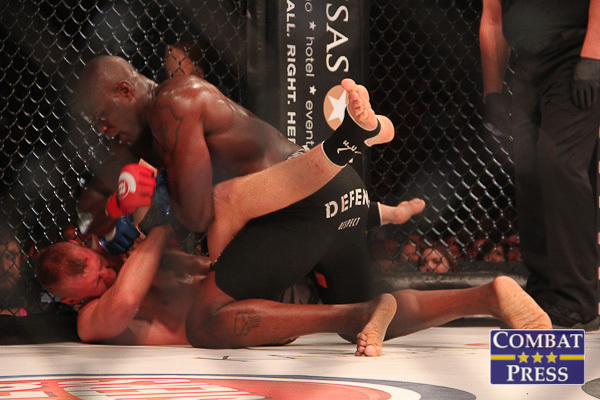 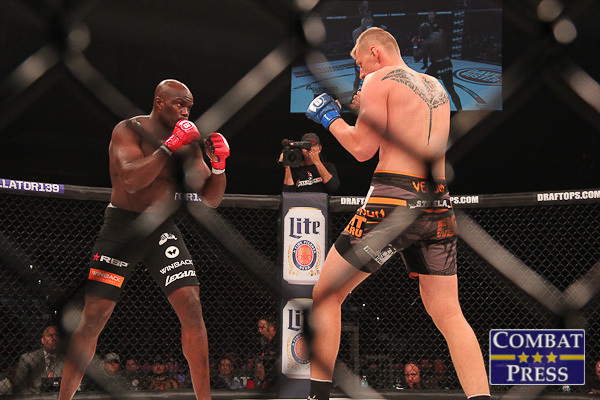 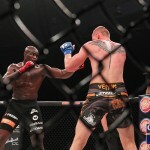 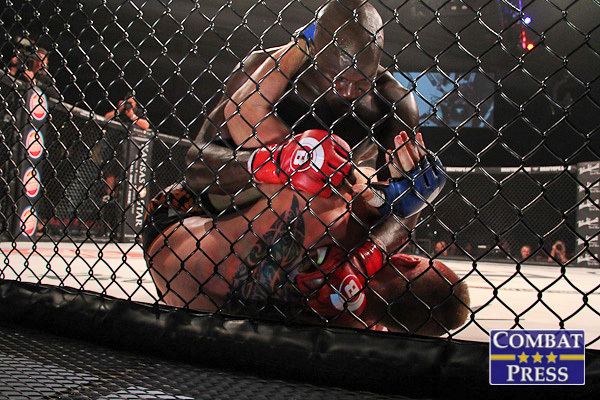 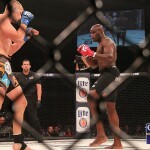 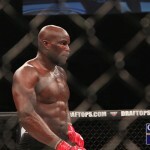 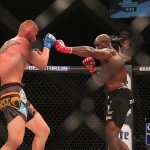 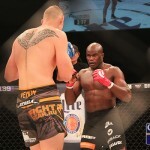 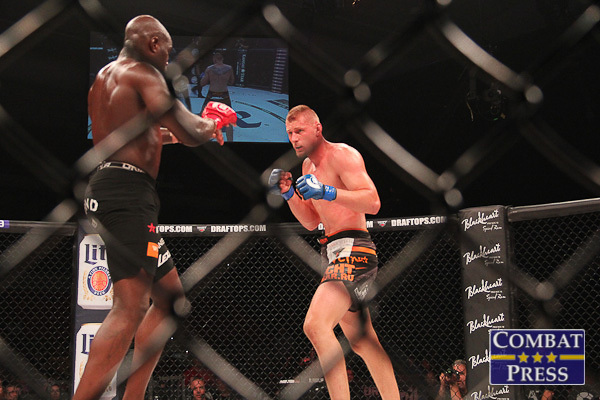 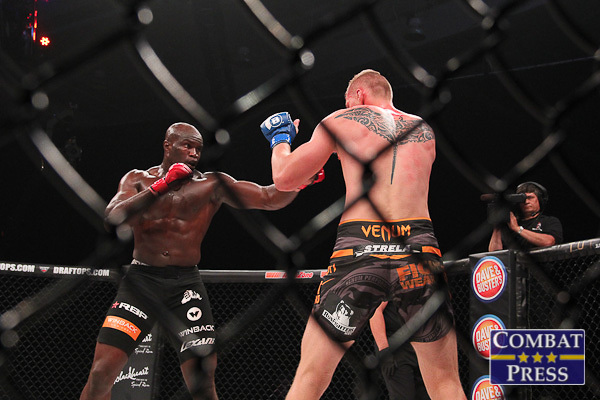 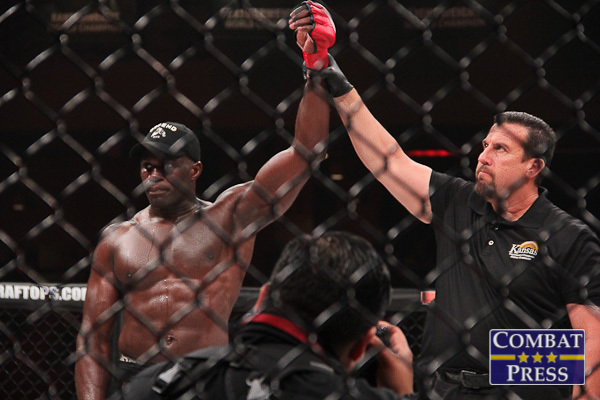 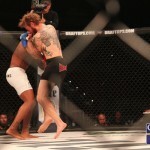 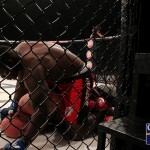 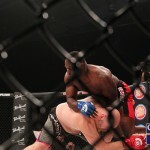 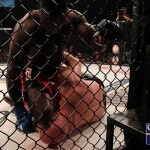 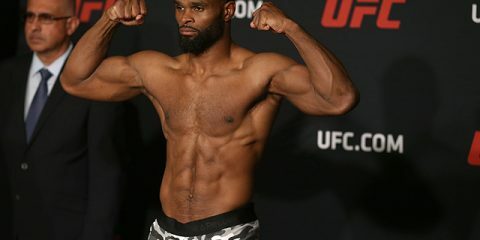 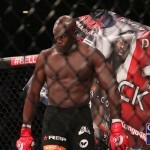 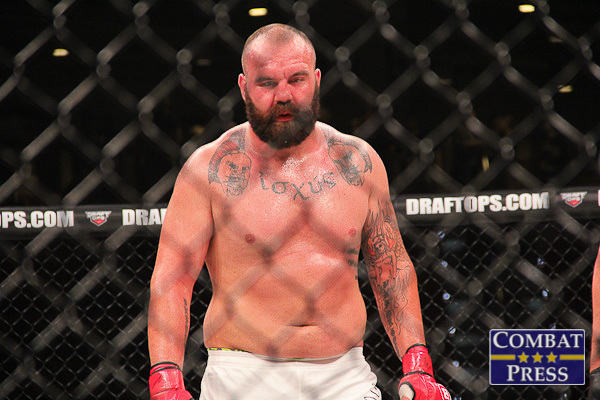 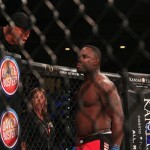 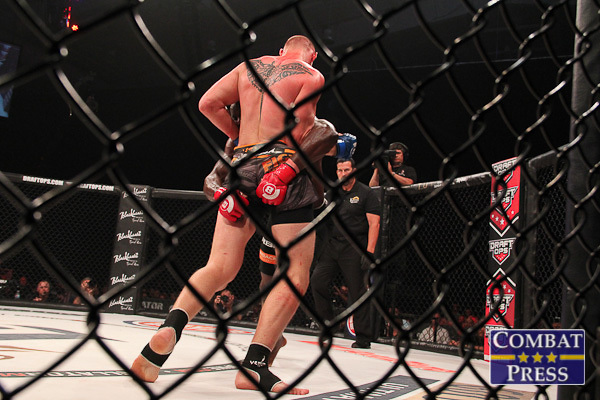 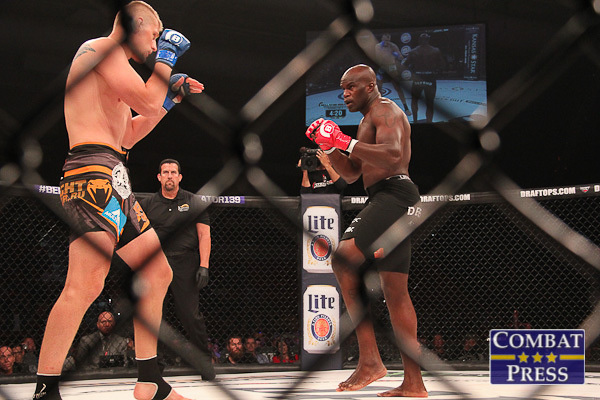 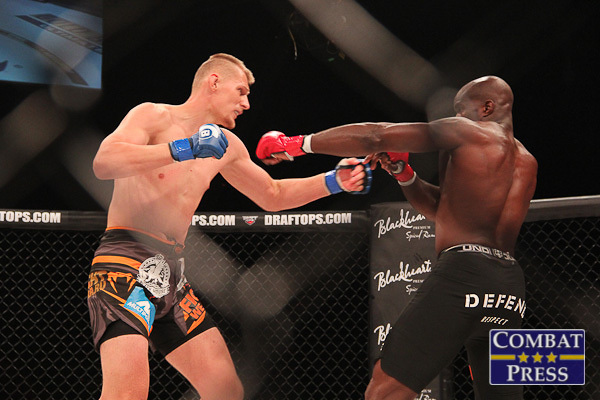 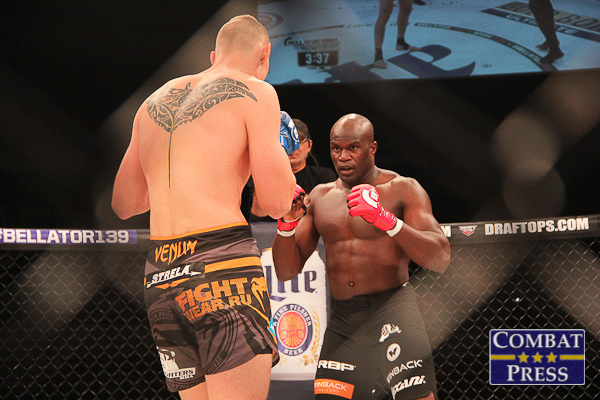 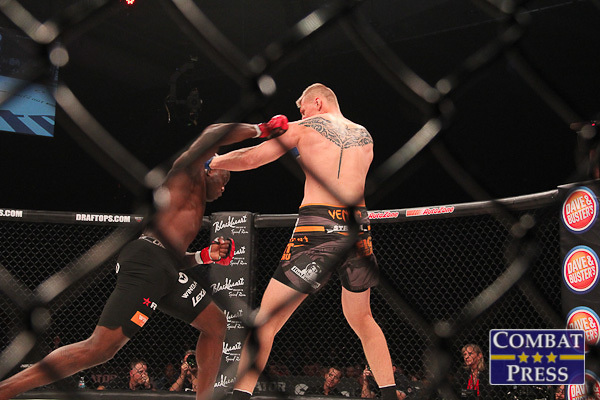 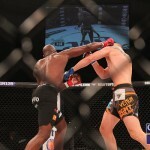 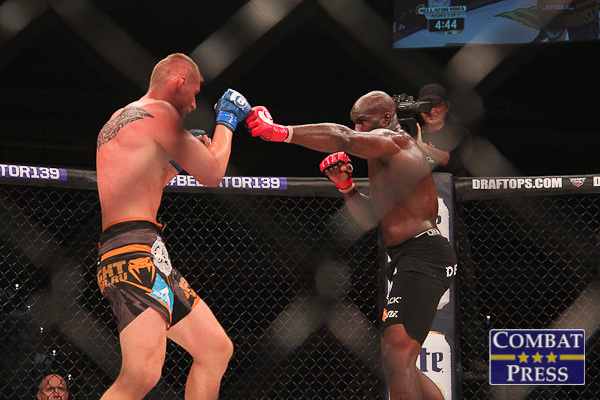 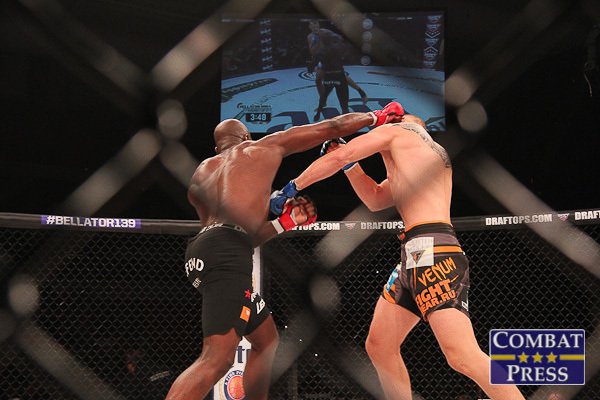 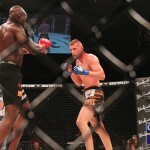 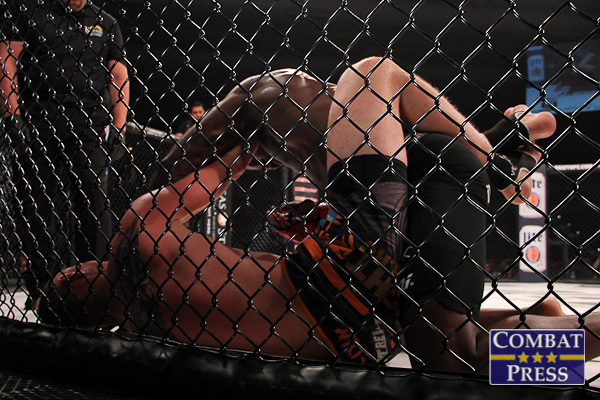 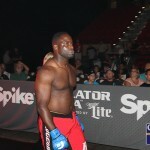 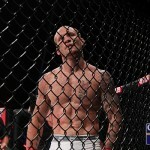 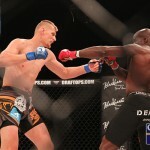 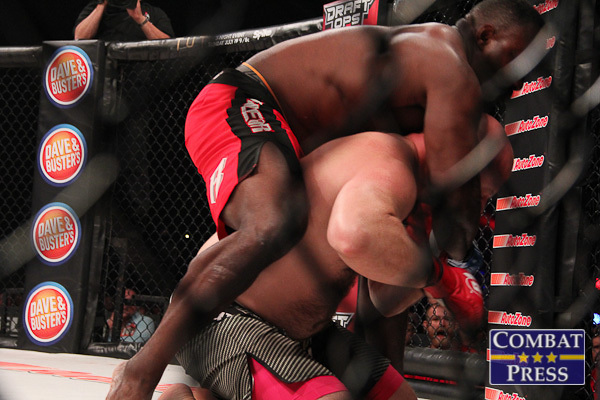 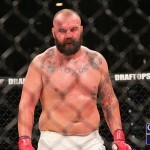 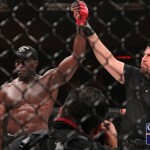 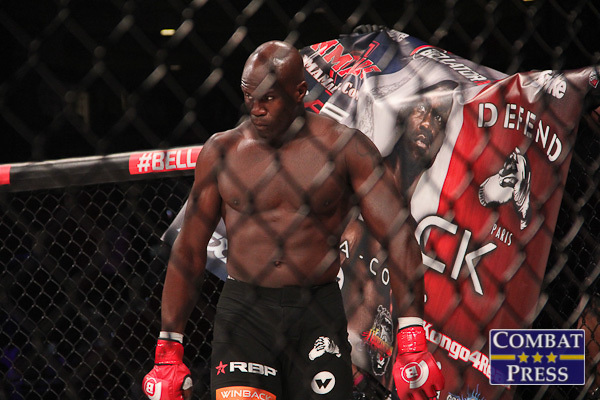 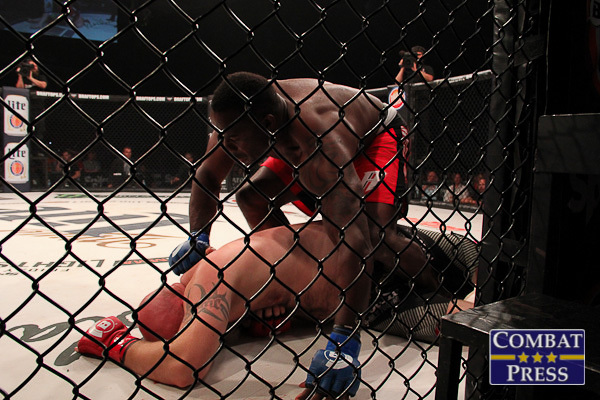 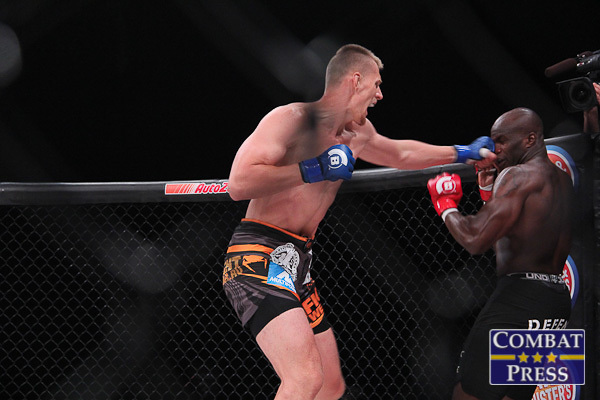 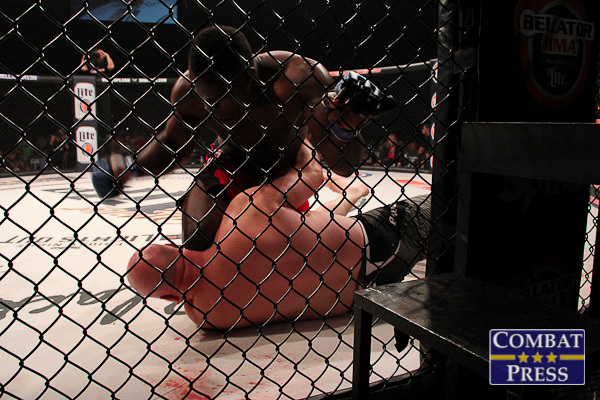 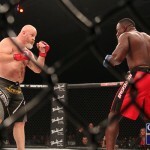 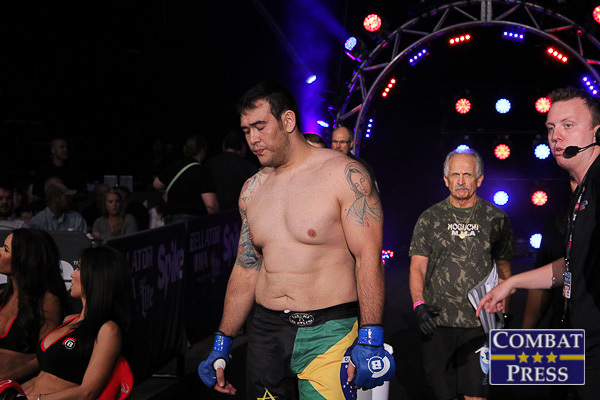 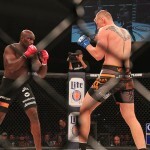 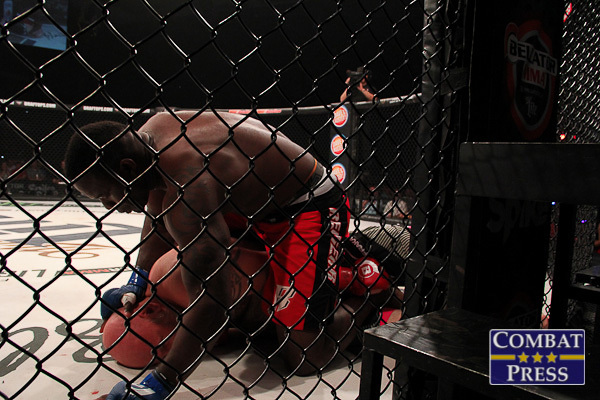 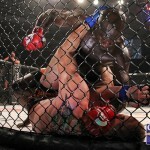 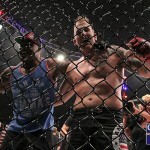 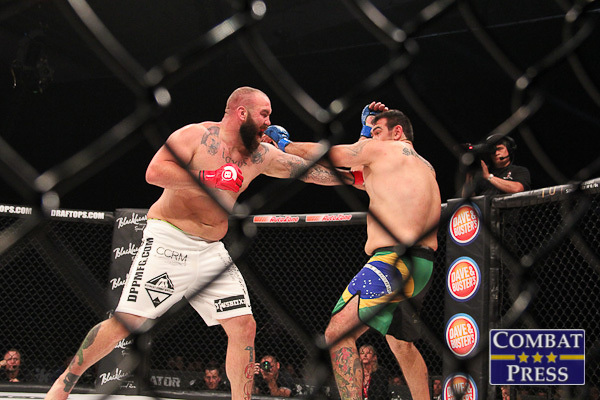 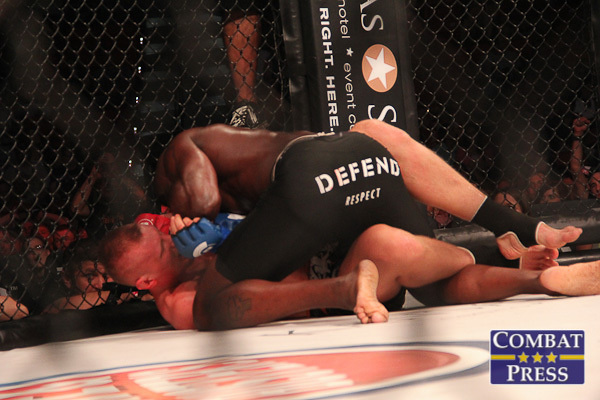 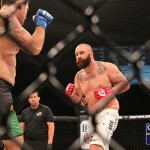 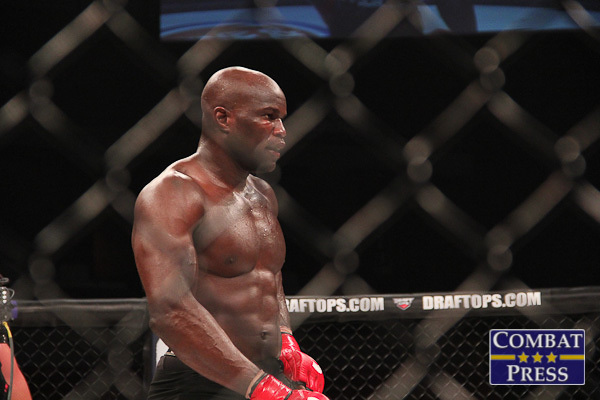 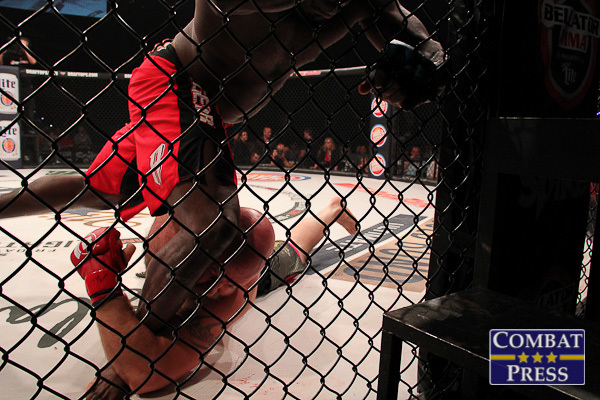 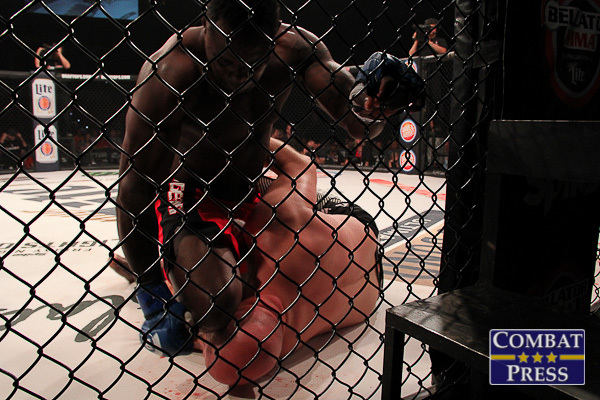 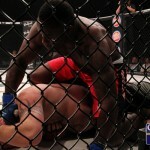 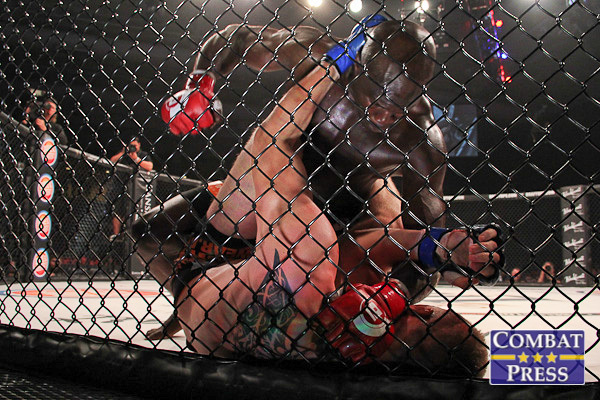 The main event featured a heavyweight clash between former champion Alexander Volkov and former title challenger Cheick Kongo. 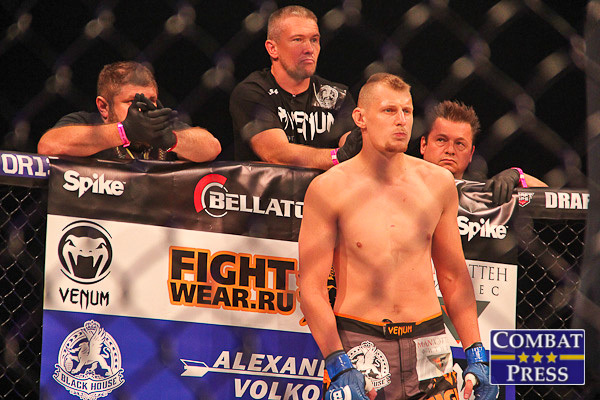 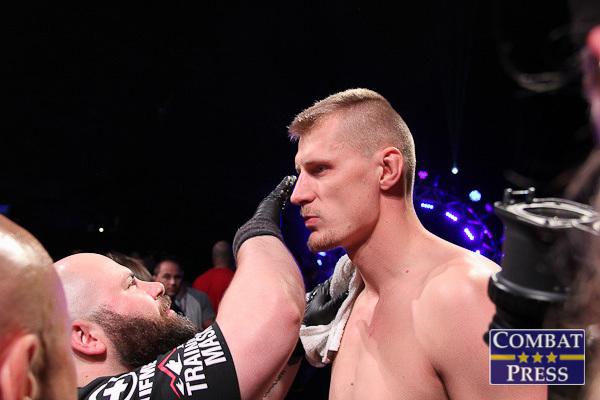 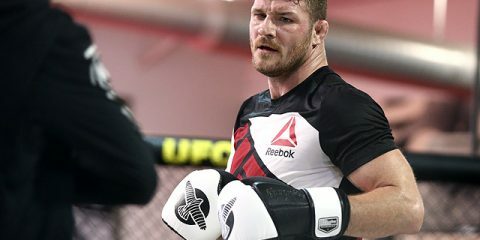 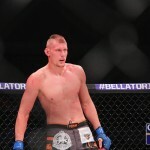 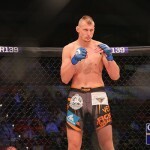 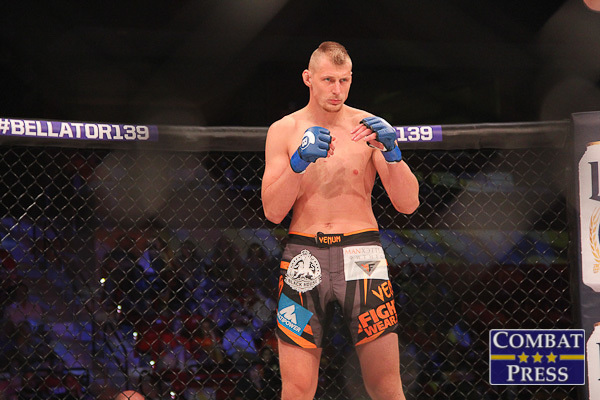 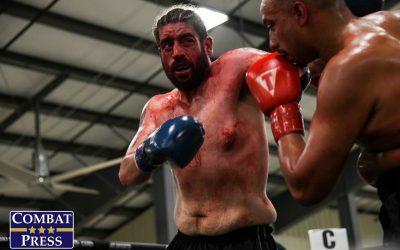 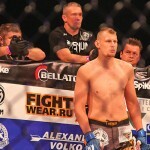 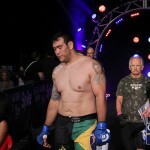 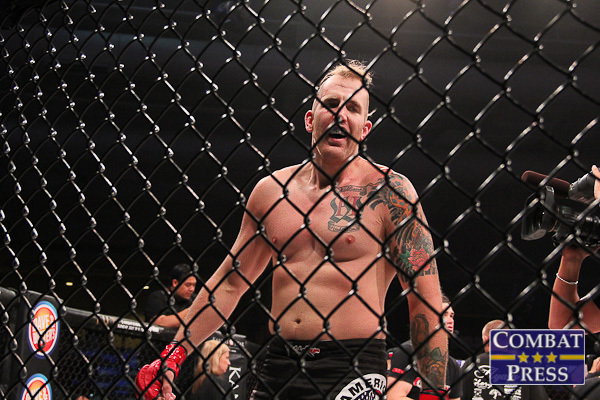 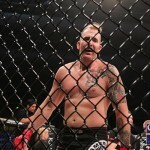 The Russian Volkov saw a five-fight winning streak come to an end in April as he dropped a split decision to Tony Johnson. 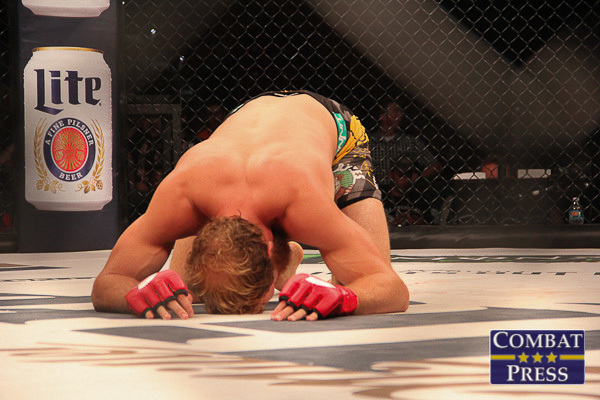 Seventeen of the 26-year-old’s 24 wins had come via knockout. 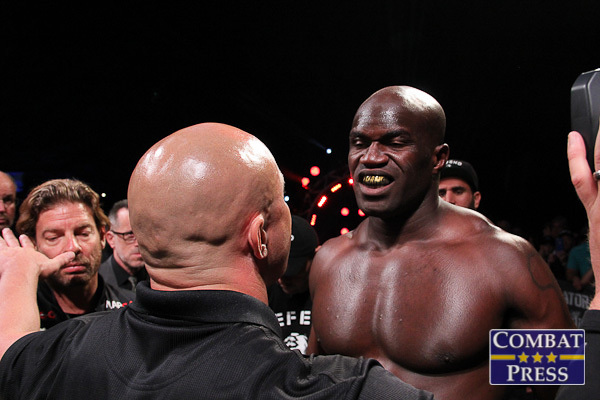 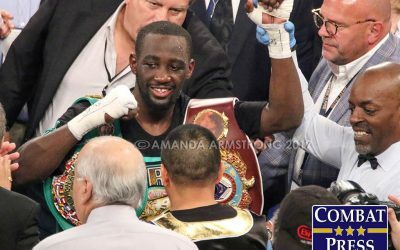 France’s Kongo, meanwhile, also fell on the scorecards in his last outing, dropping a split decision to Muhammed “King Mo” Lawal in February. 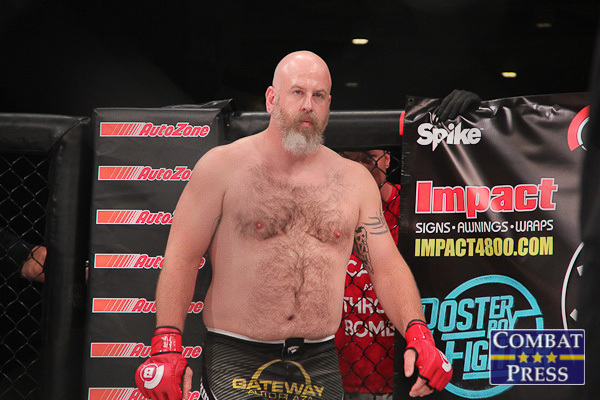 In the co-main event of the evening, another former title challenger, David Rickels, returned to his native Kansas to take on well-traveled veteran John Alessio. 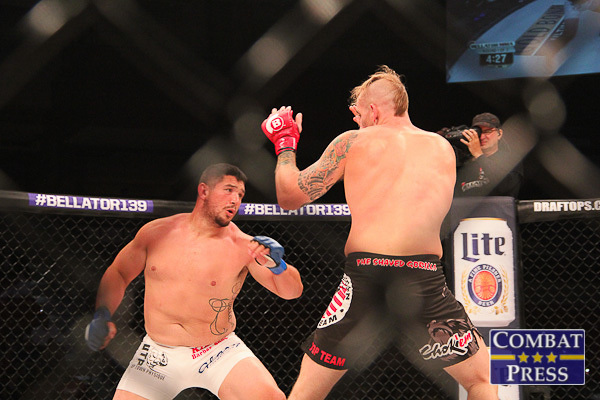 Rickels aimed to climb back into title contention after alternating wins and losses in his last four outings. 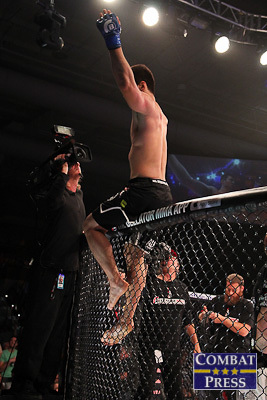 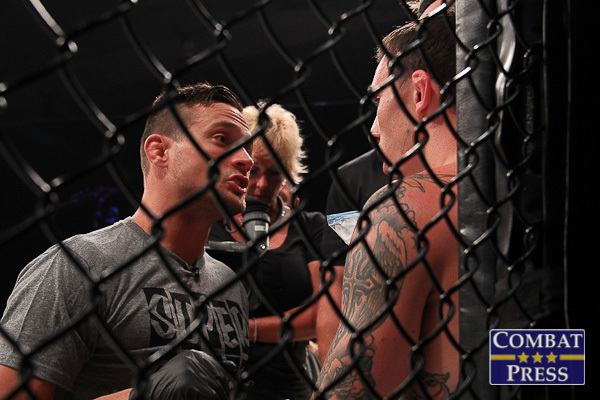 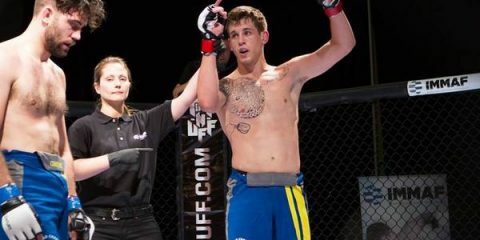 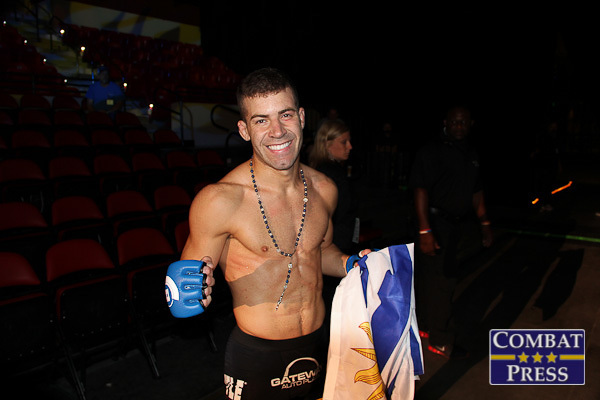 Canada’s Alessio stepped into the cage for the first time since May of last year when he picked up a decision win over Eric Wisely. 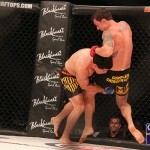 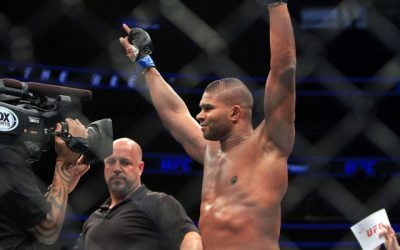 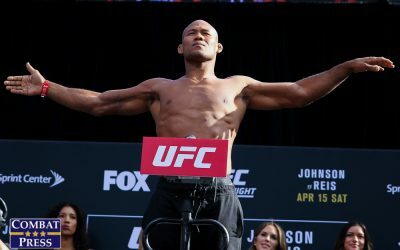 The event kicked off Friday with a preliminary card stream on Spike.com. 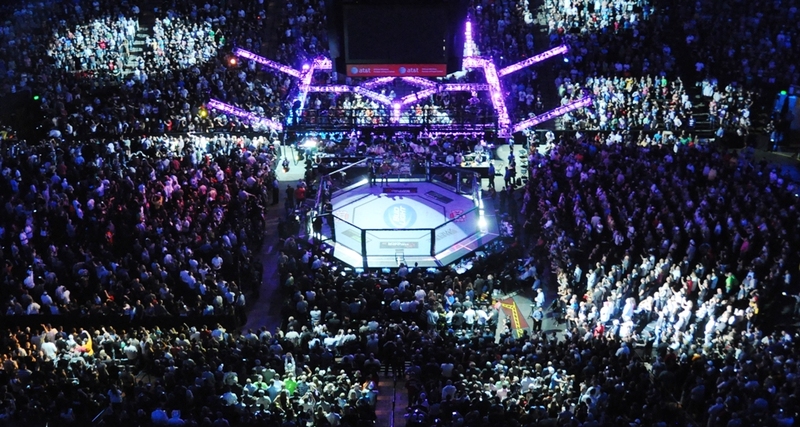 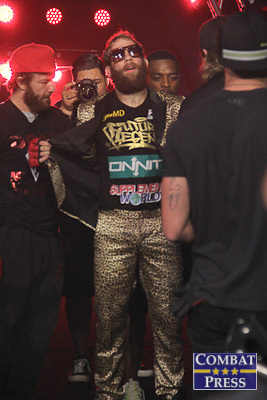 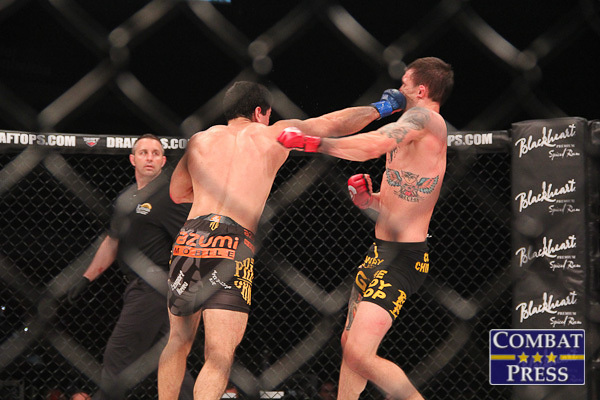 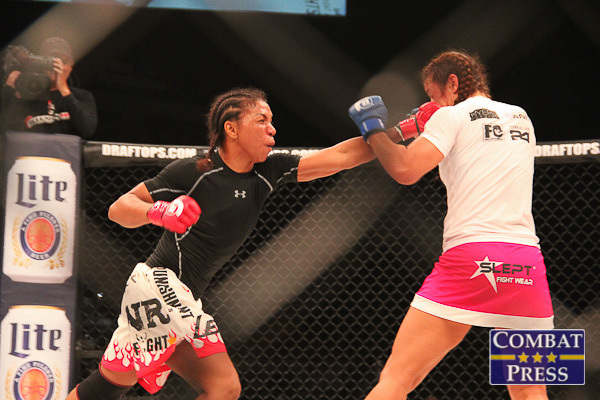 The four-fight main card followed on Spike.